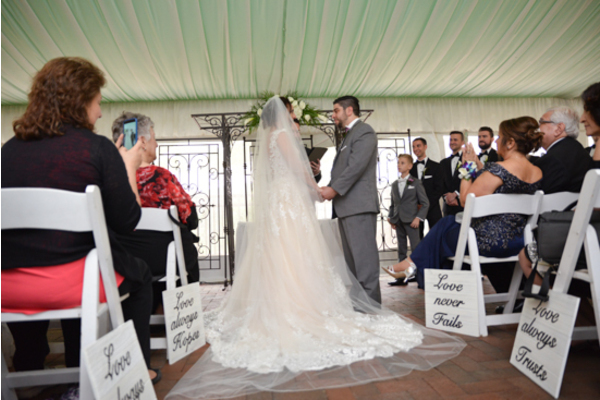 Congratulations to Fawn and Matt on their recent marriage! 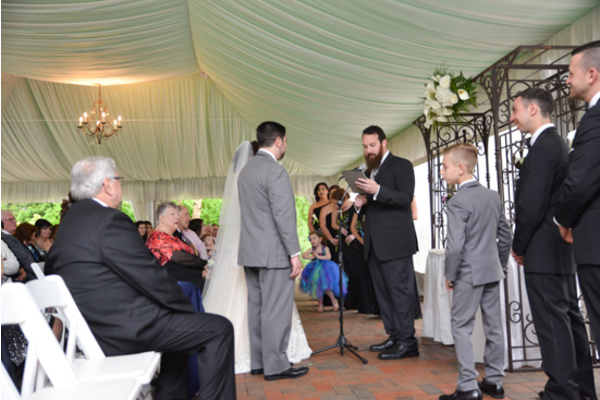 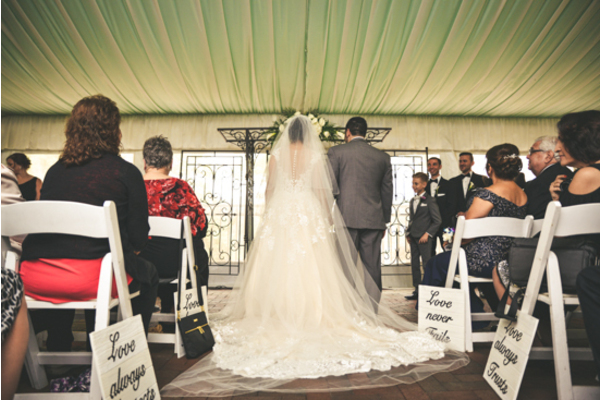 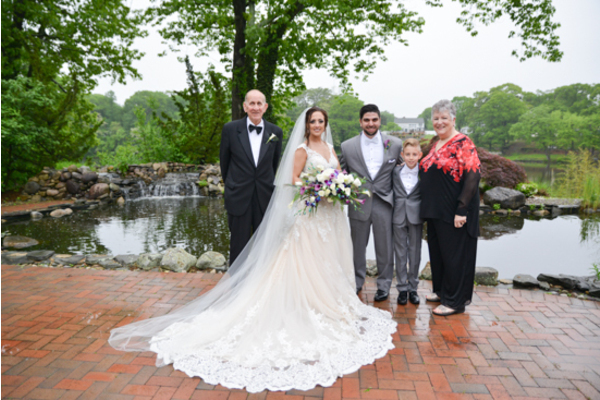 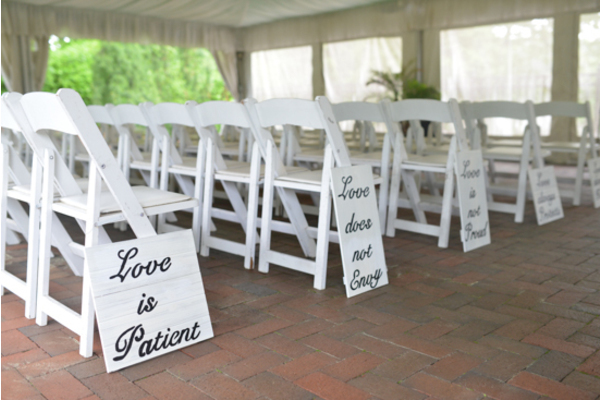 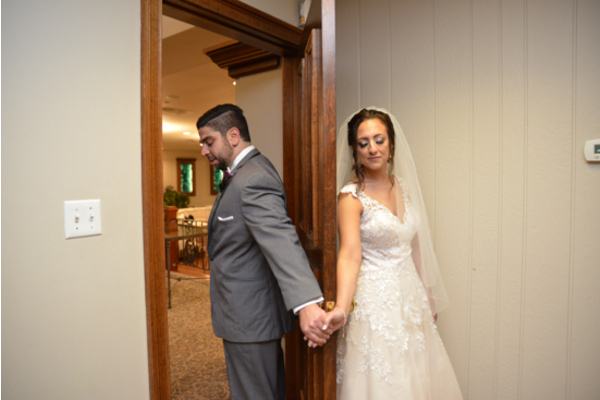 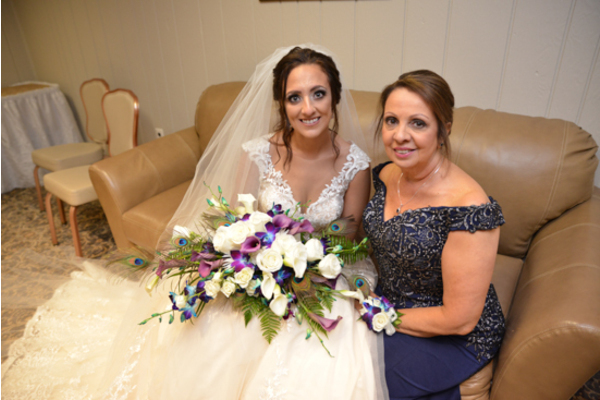 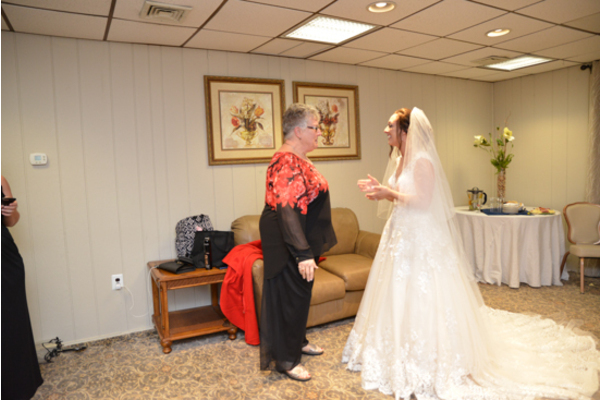 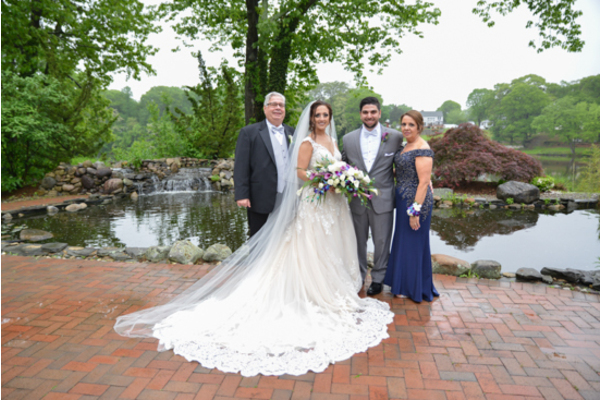 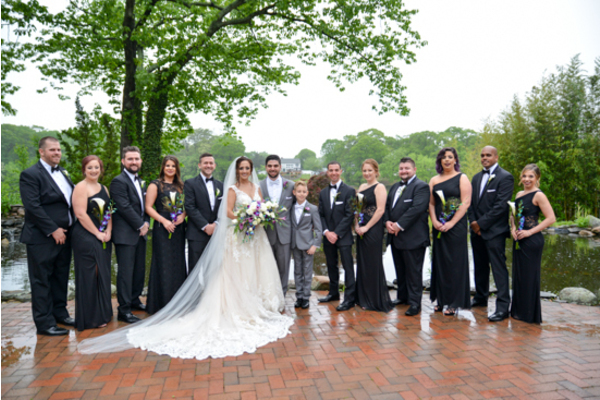 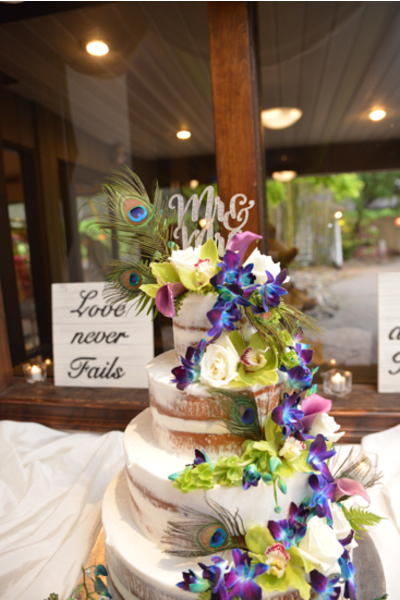 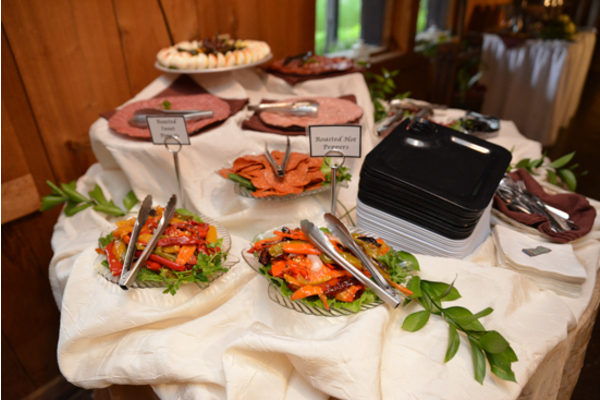 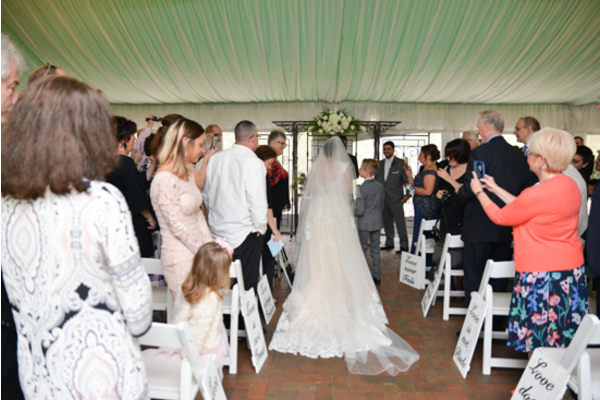 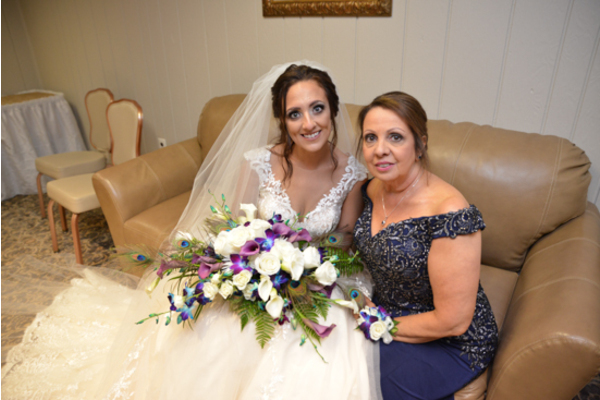 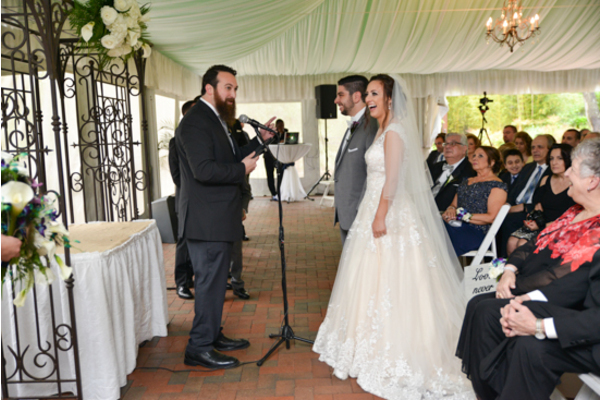 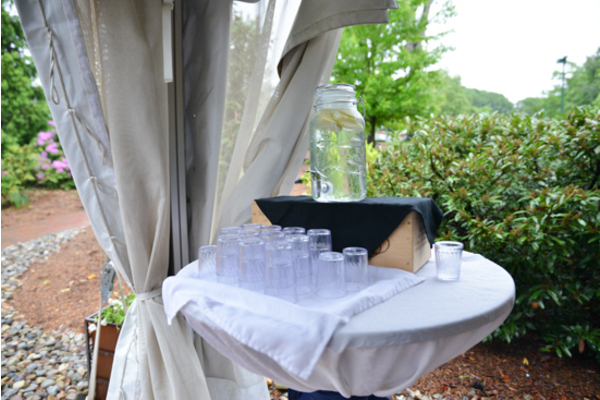 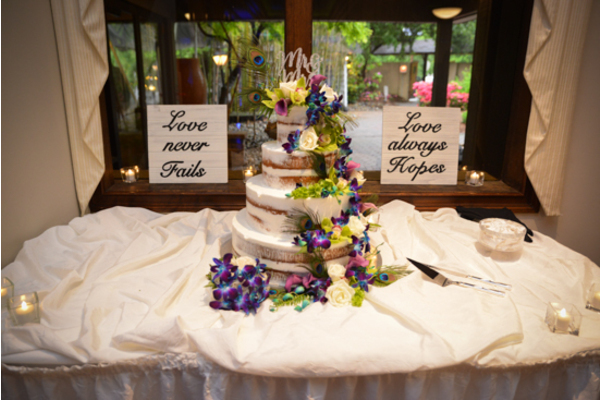 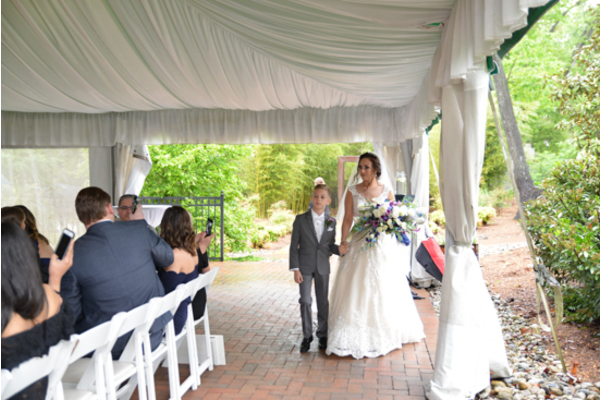 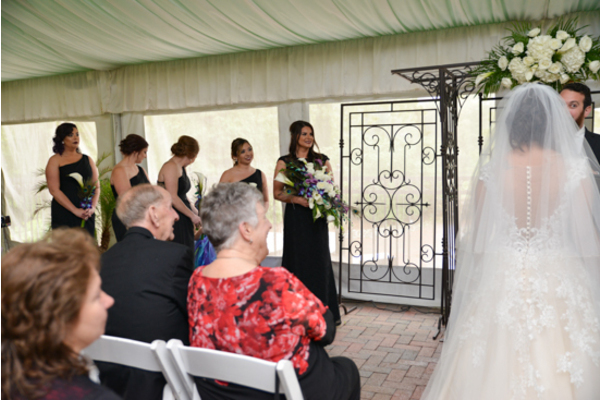 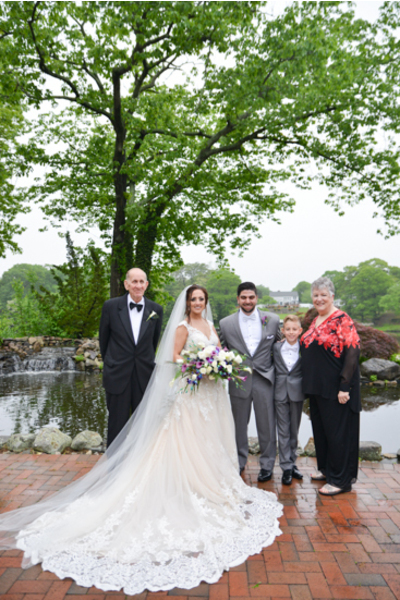 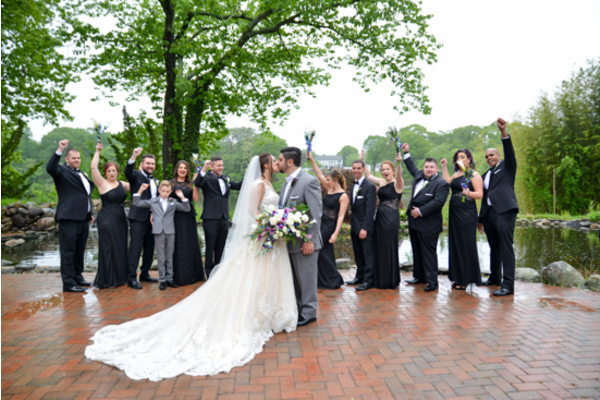 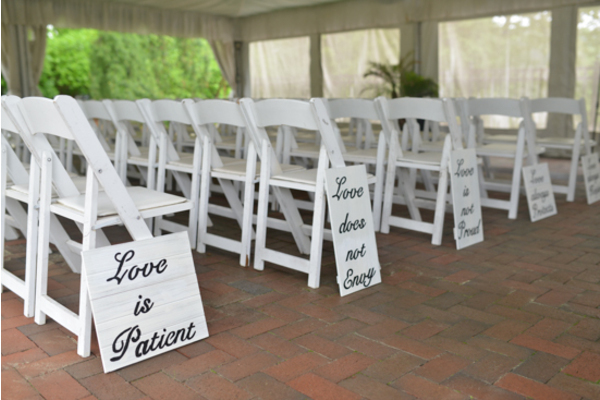 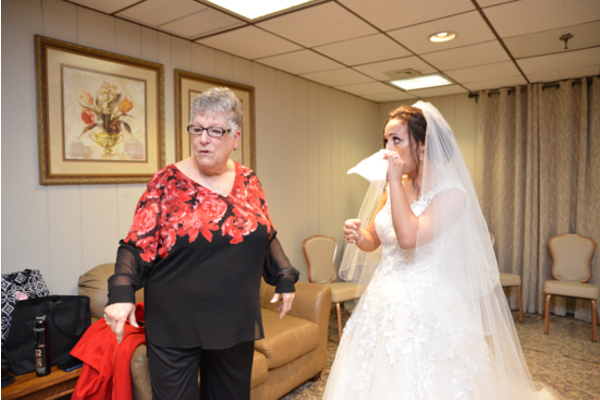 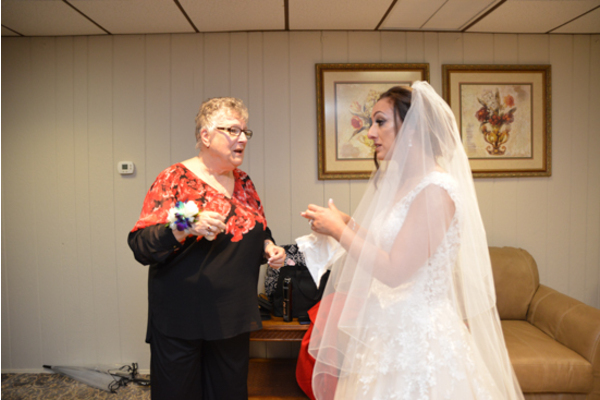 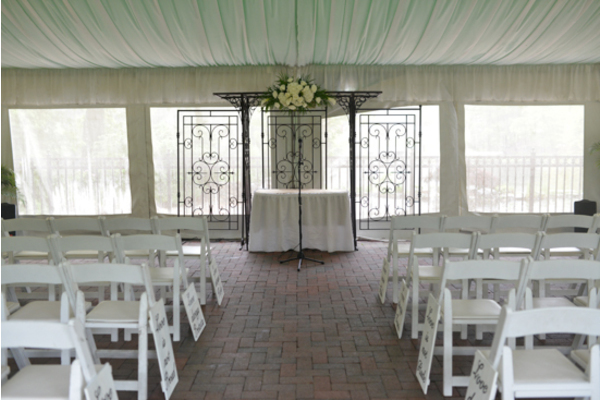 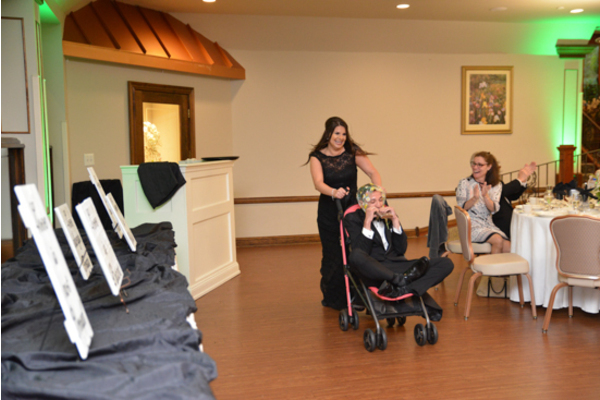 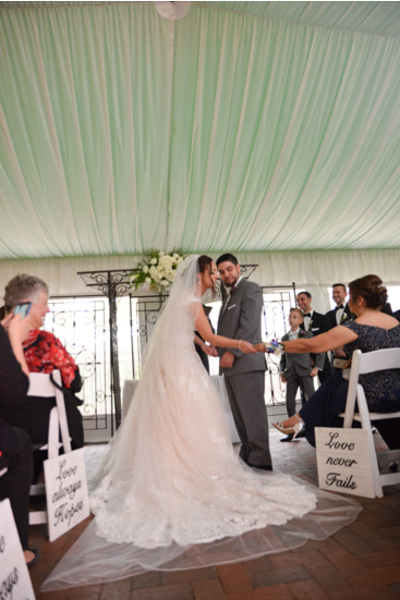 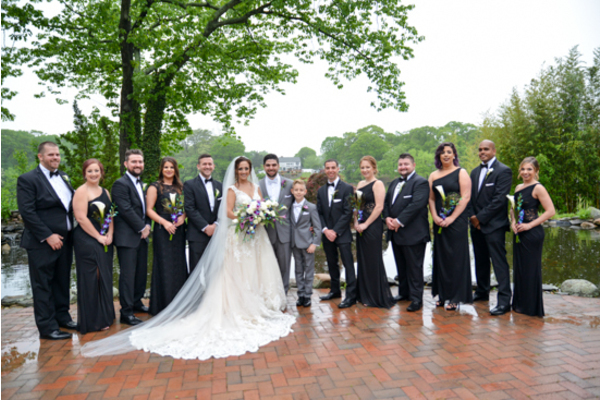 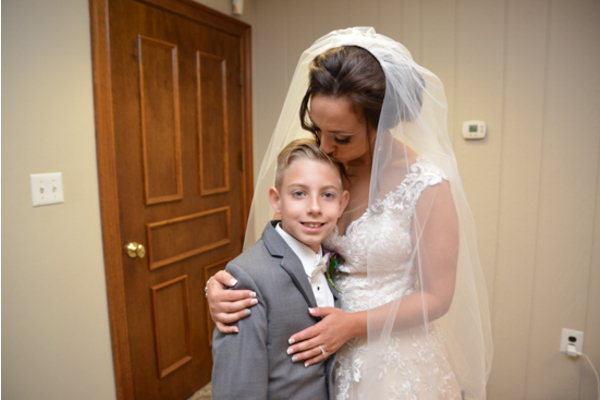 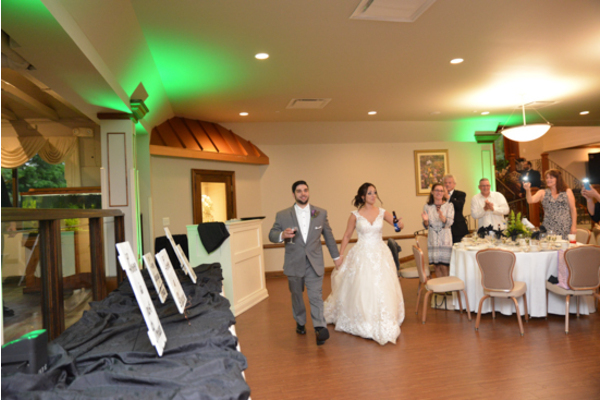 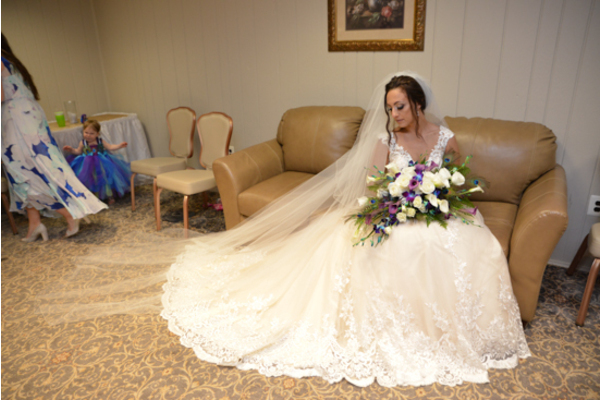 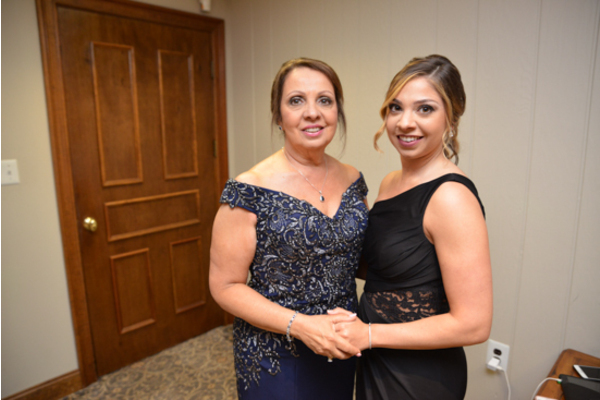 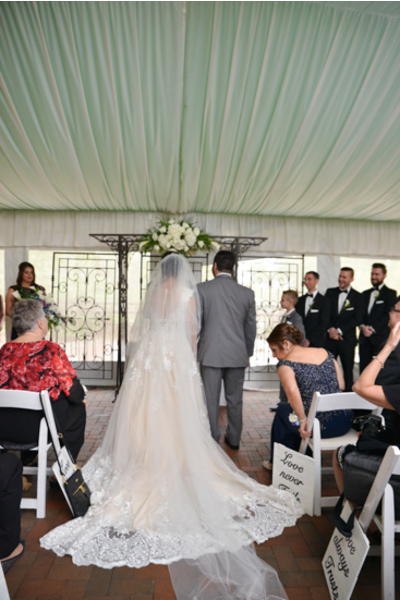 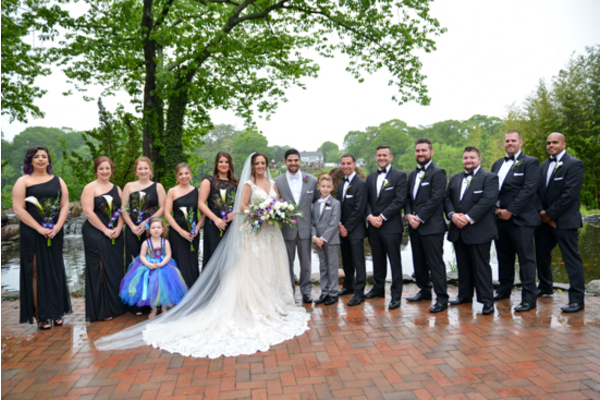 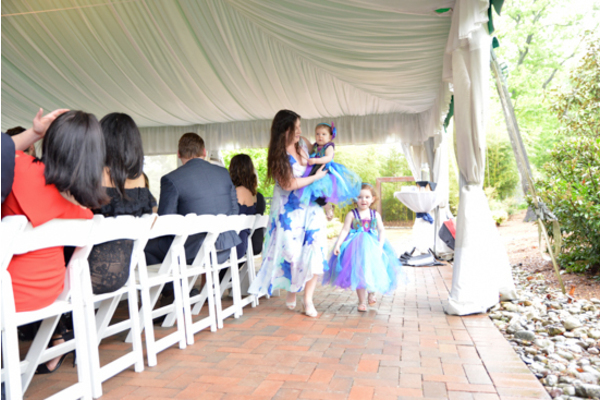 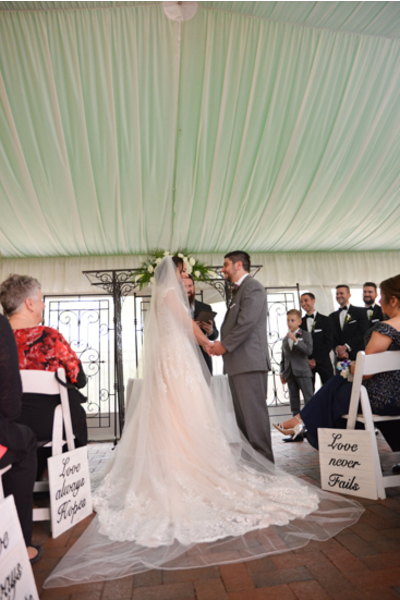 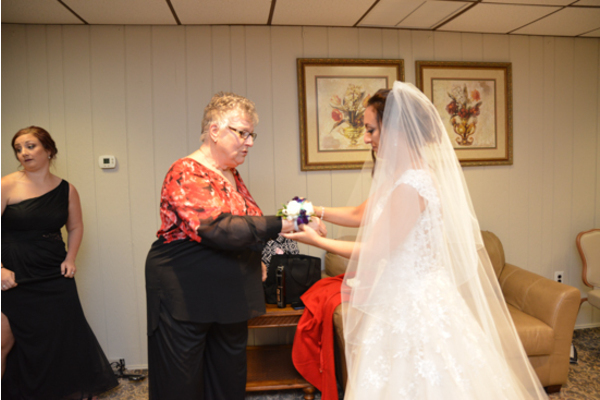 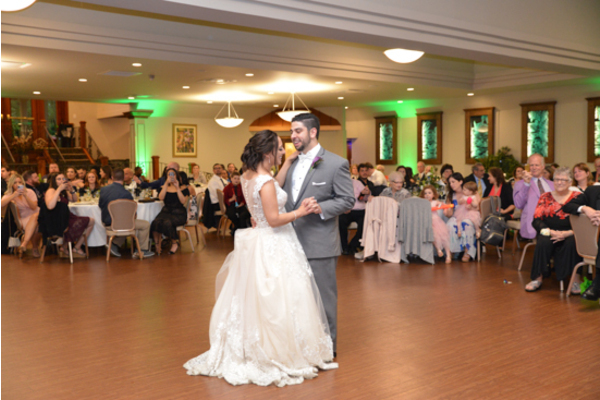 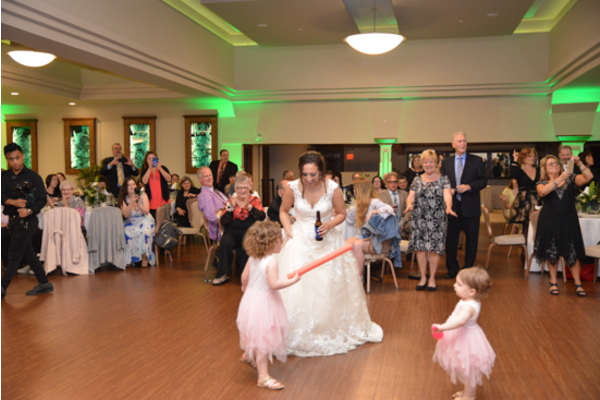 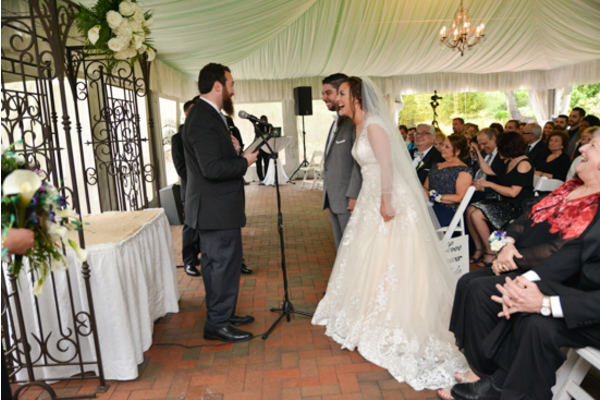 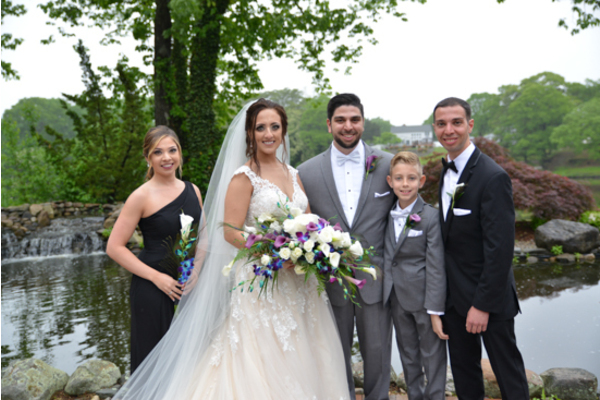 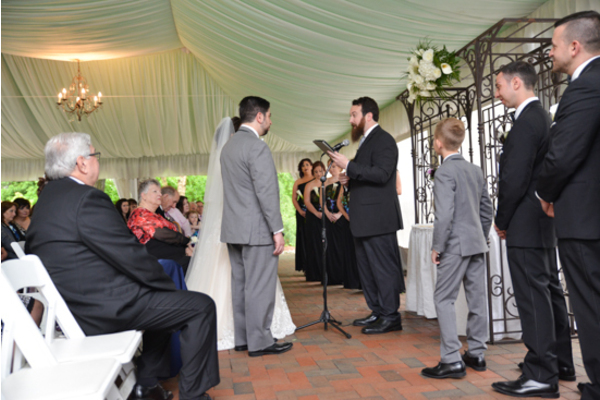 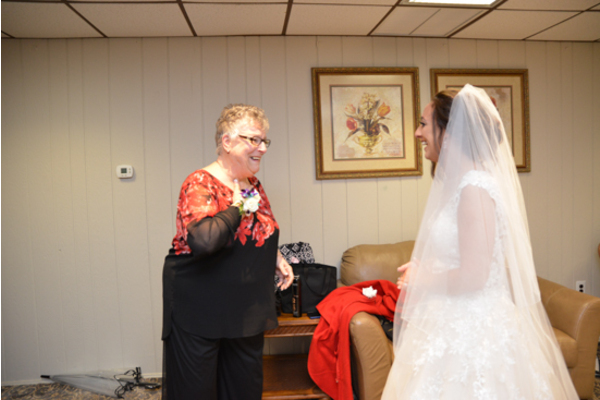 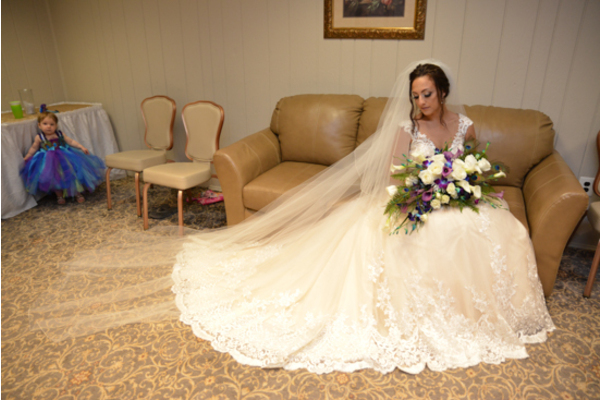 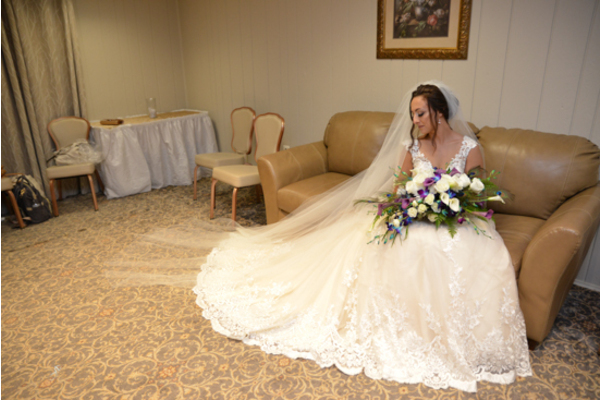 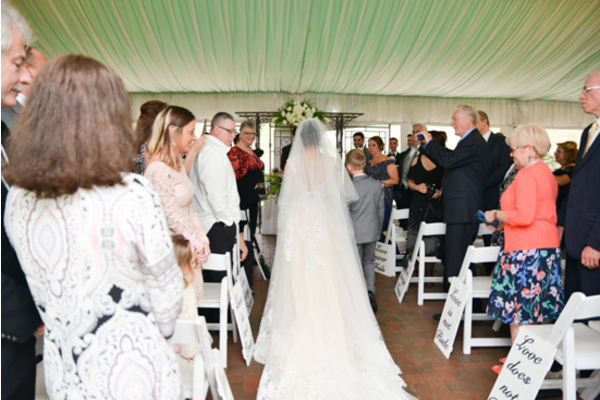 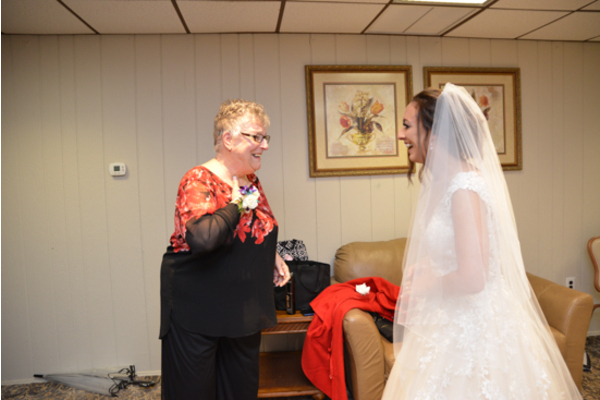 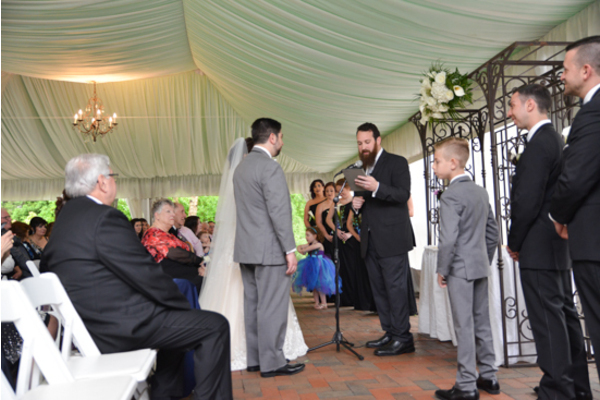 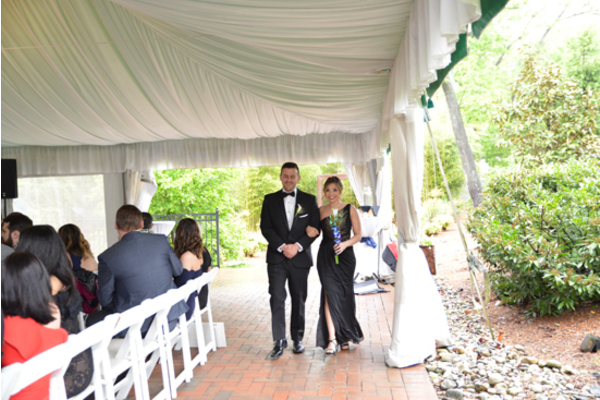 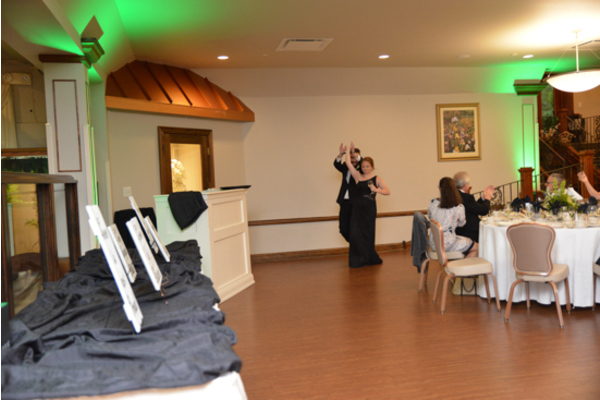 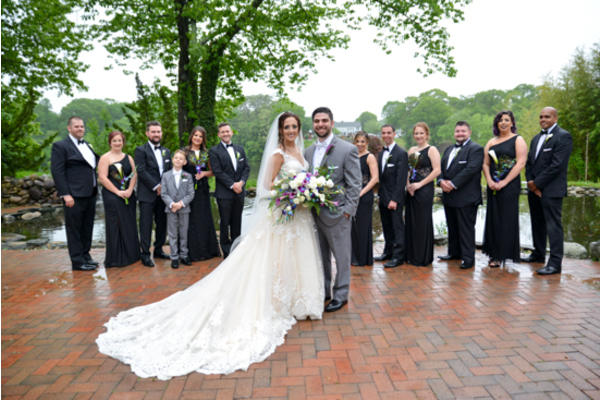 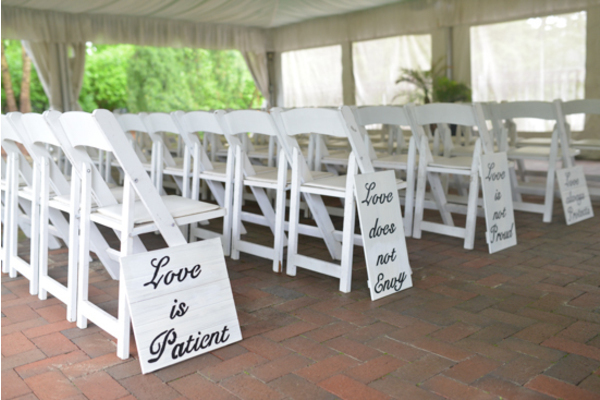 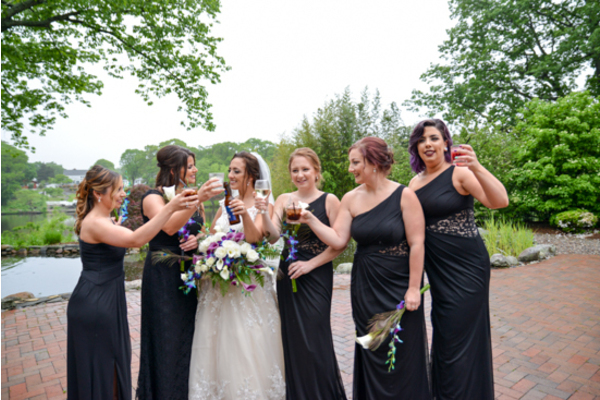 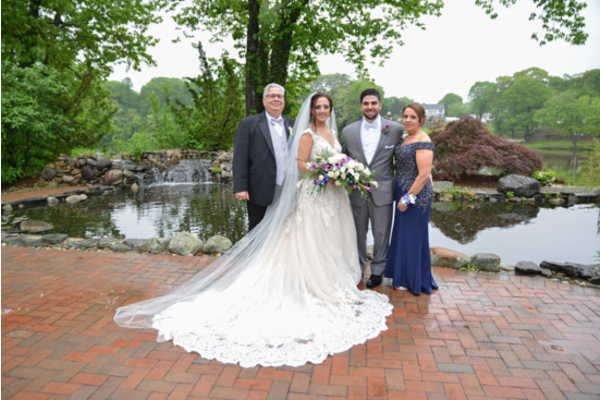 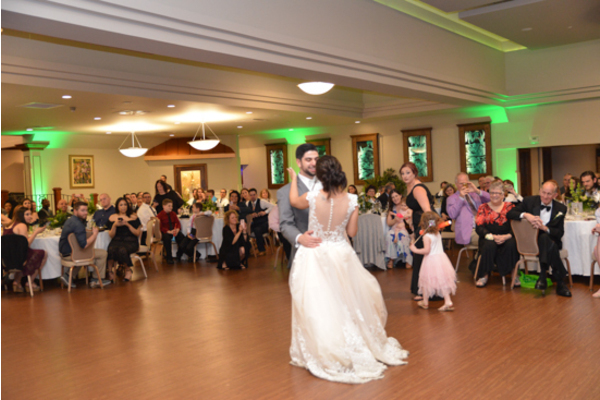 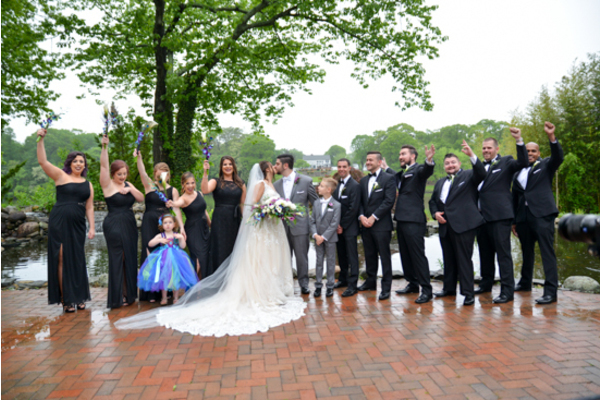 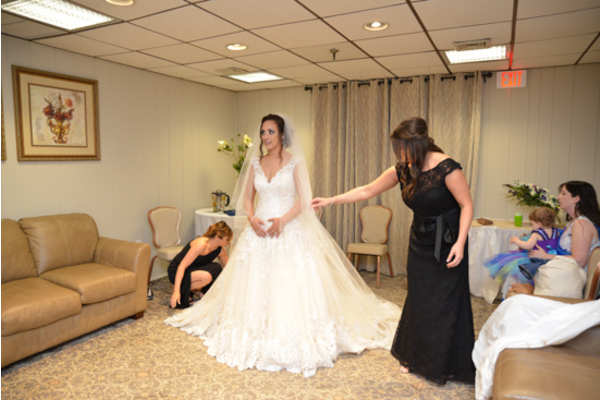 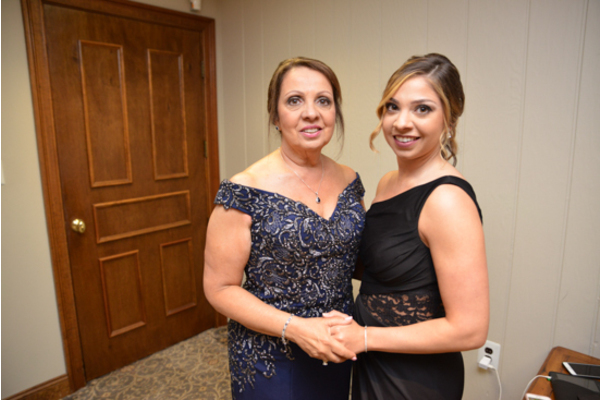 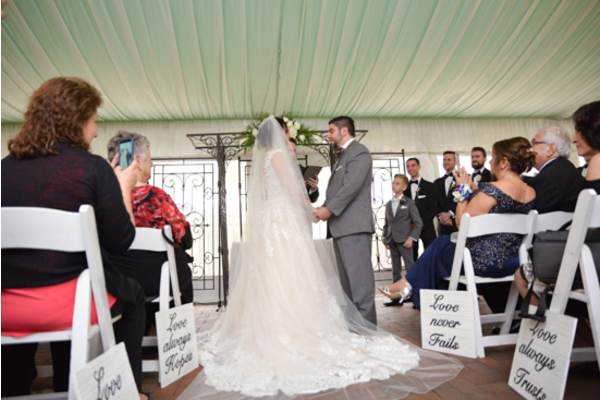 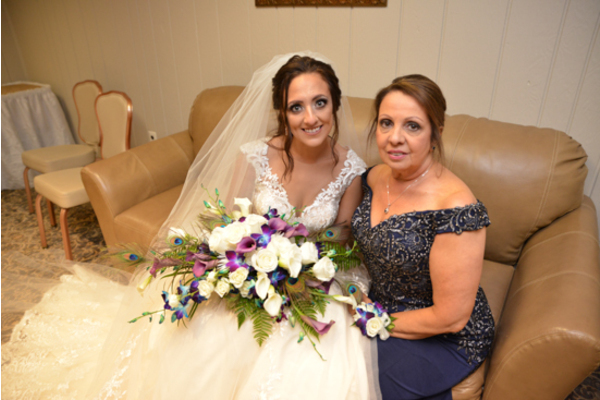 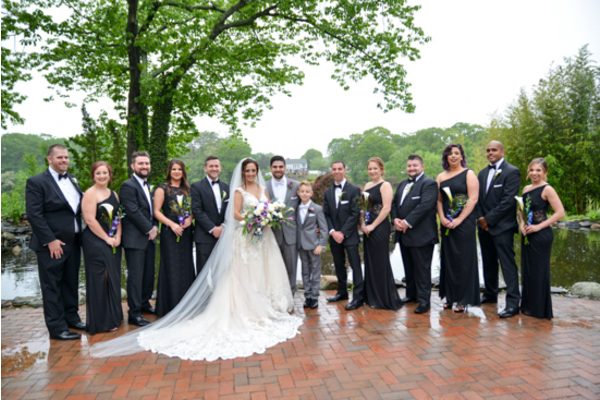 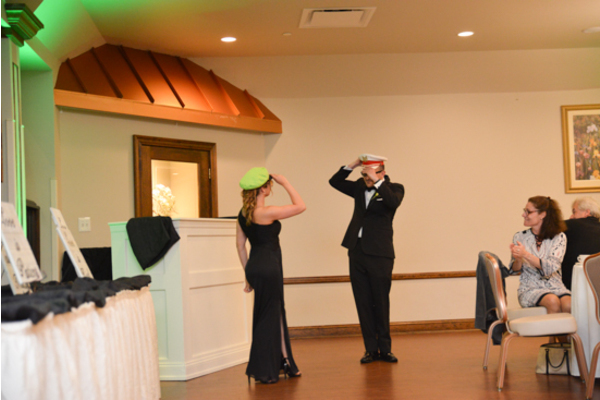 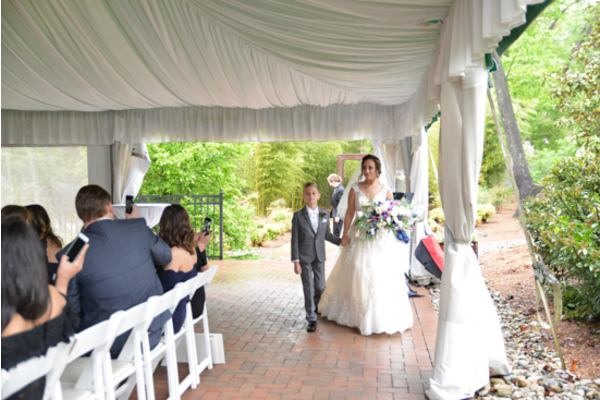 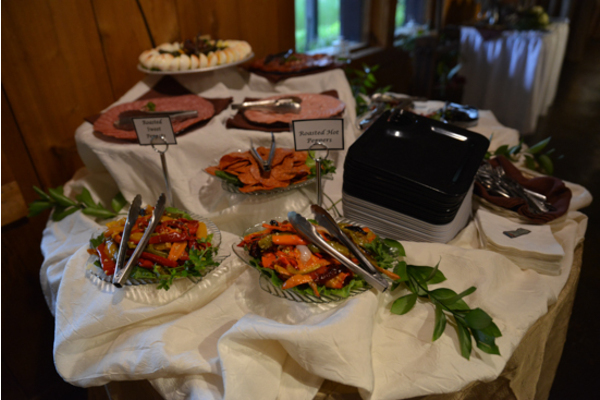 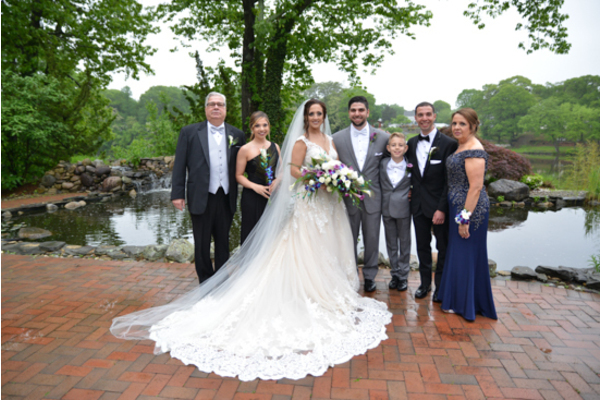 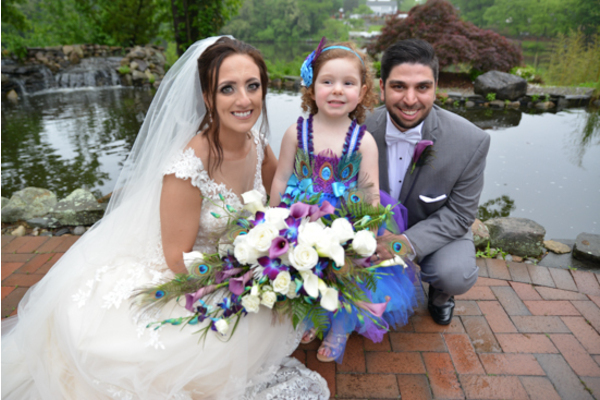 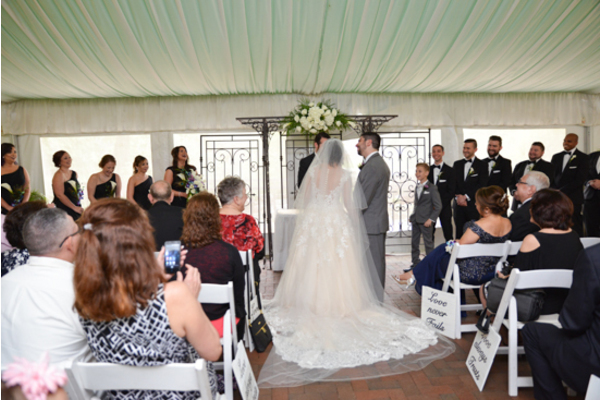 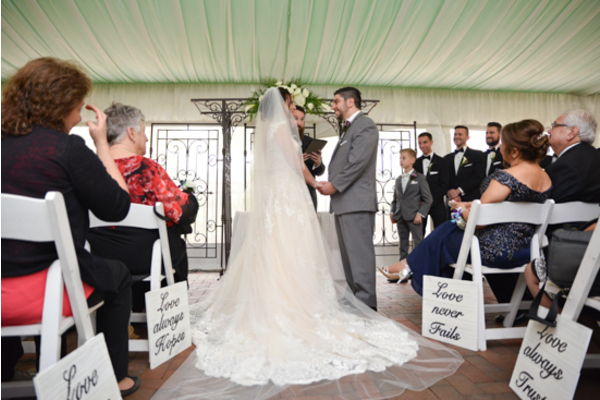 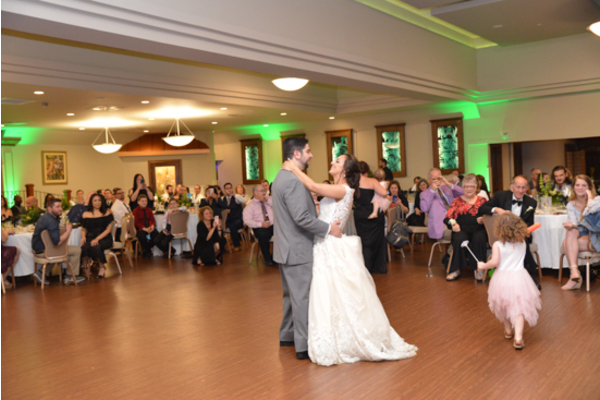 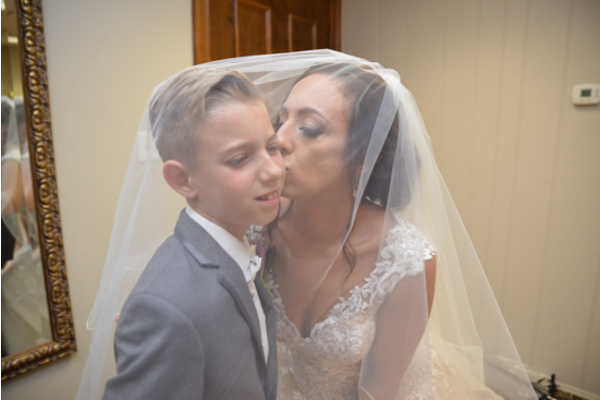 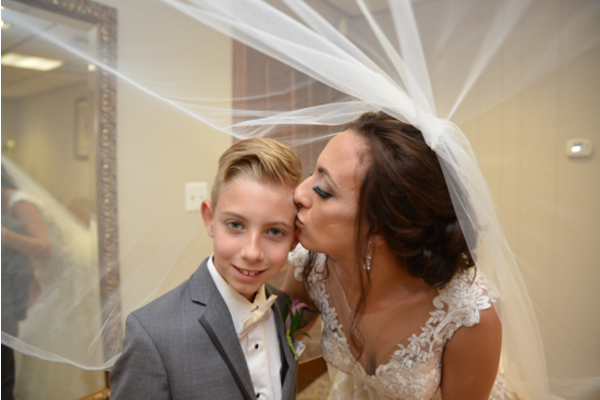 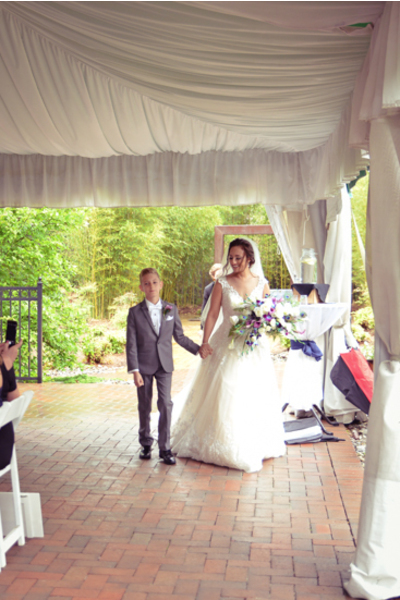 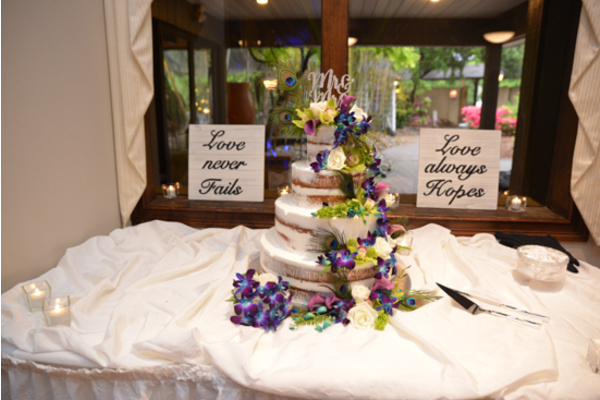 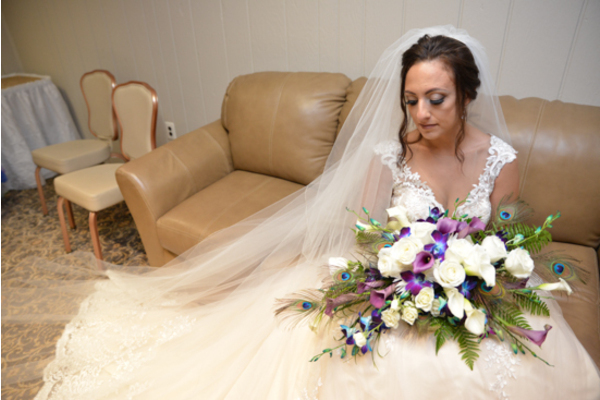 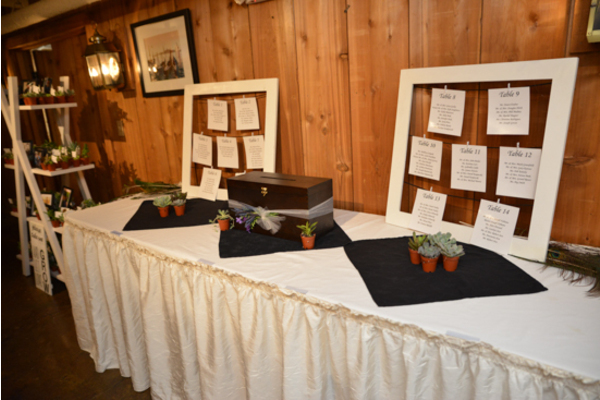 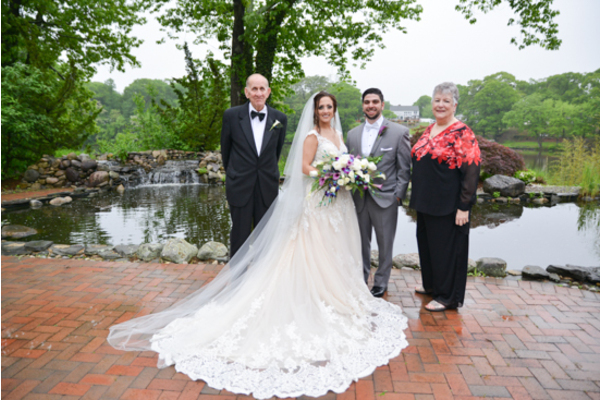 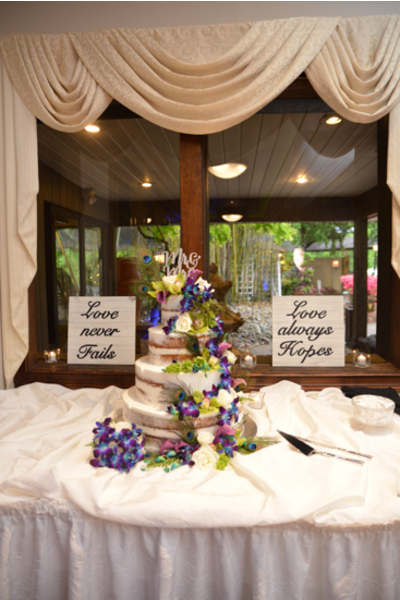 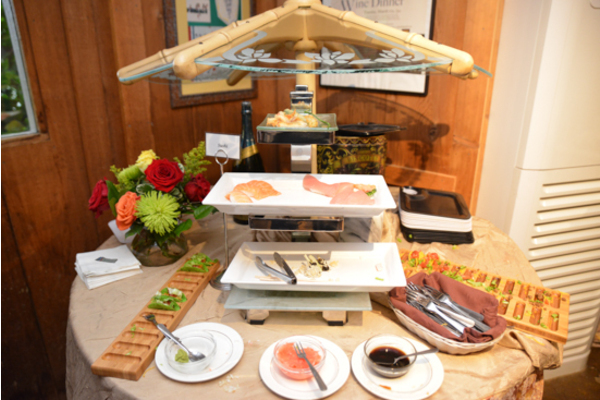 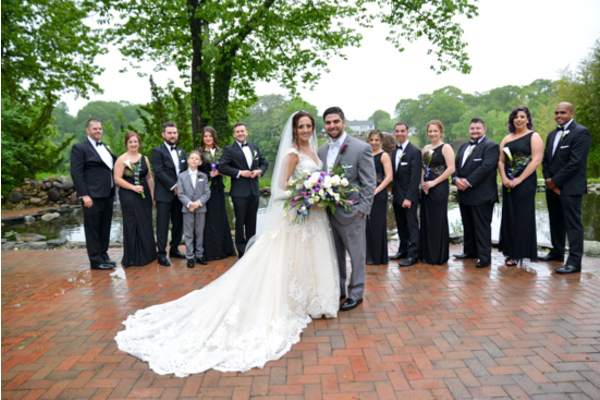 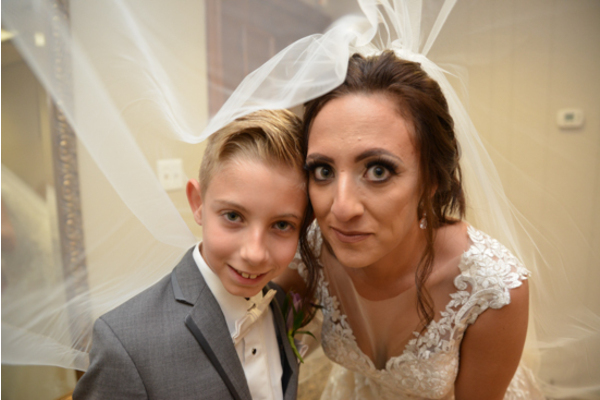 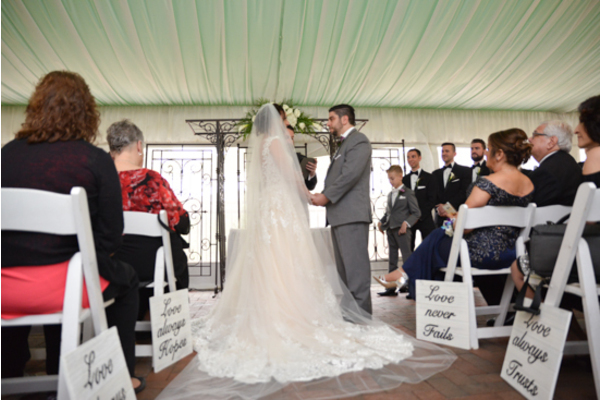 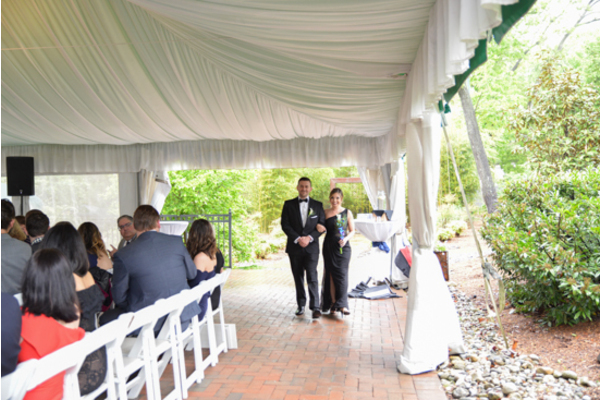 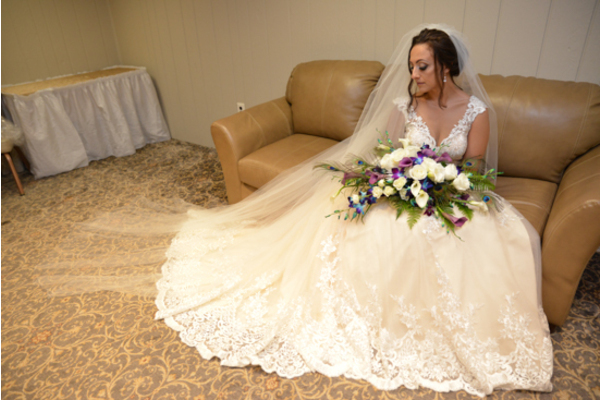 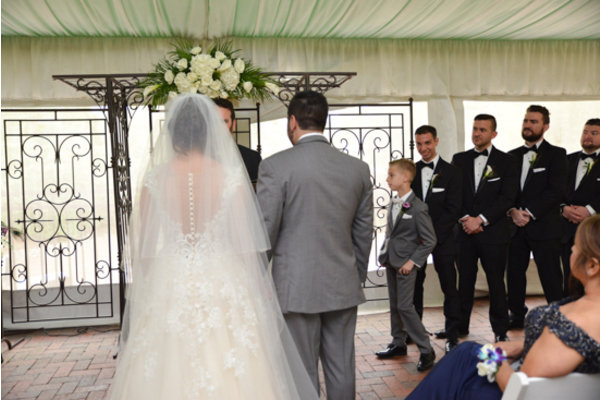 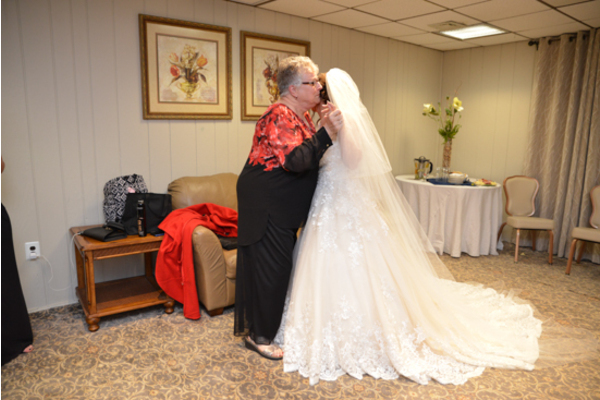 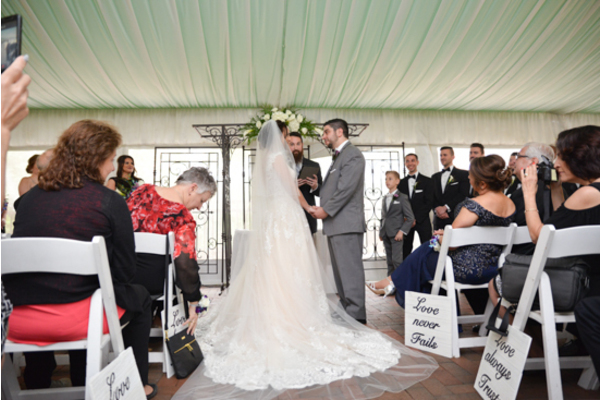 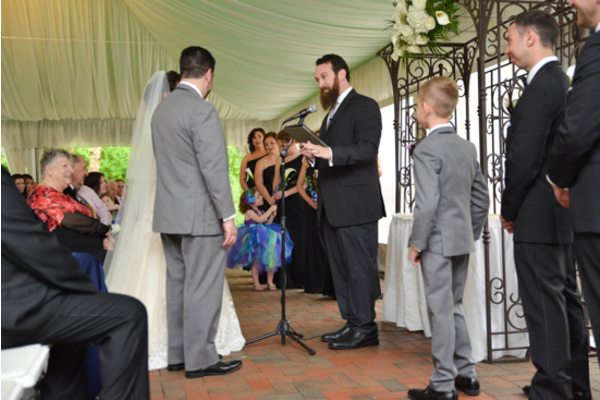 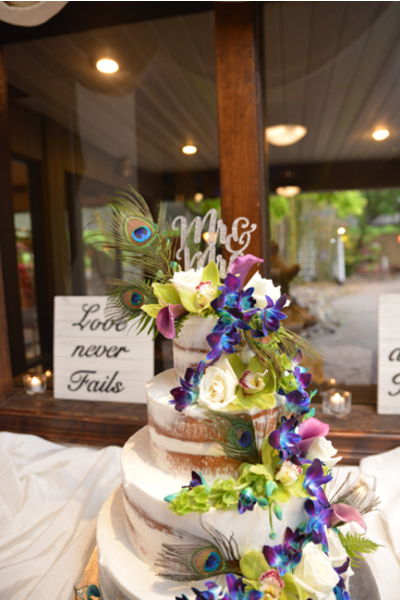 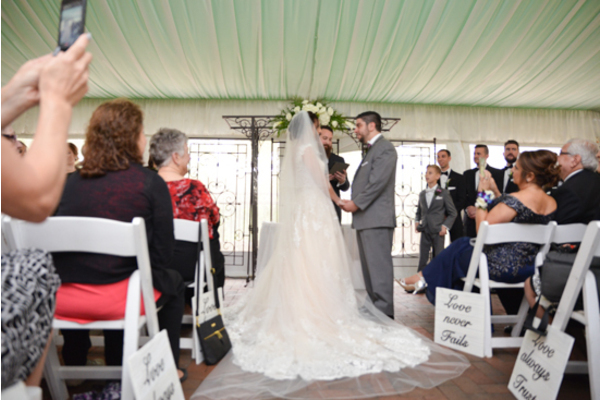 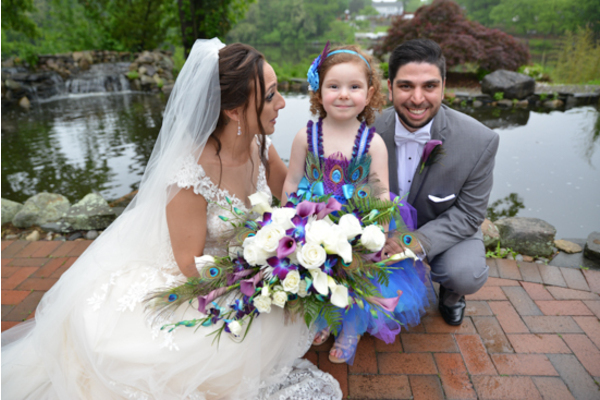 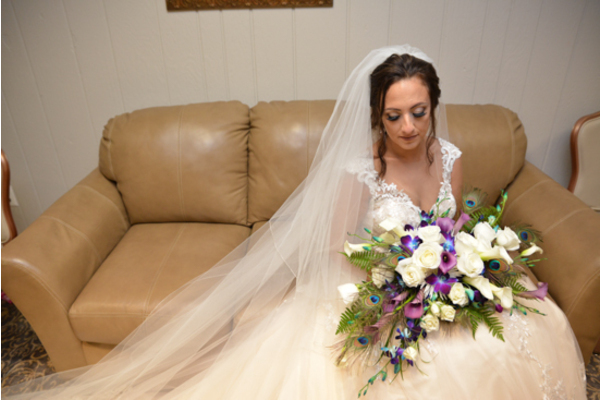 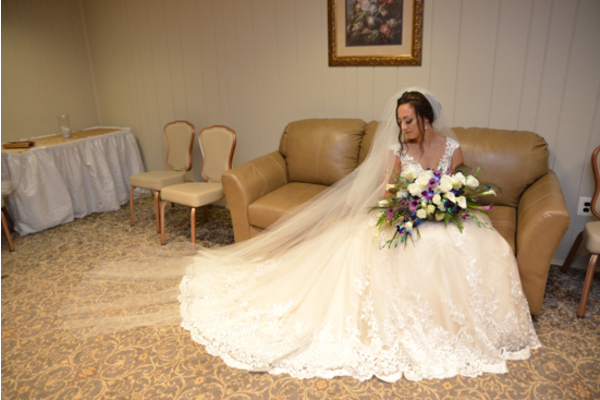 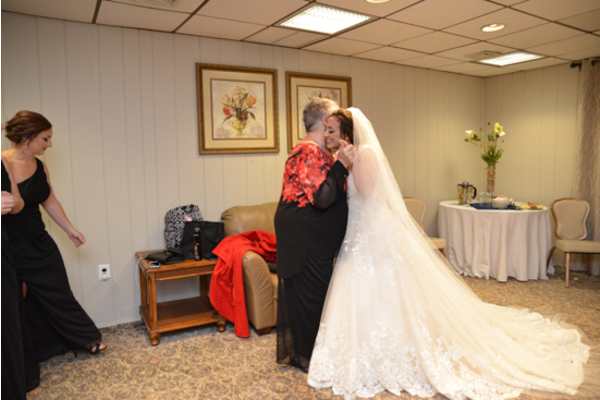 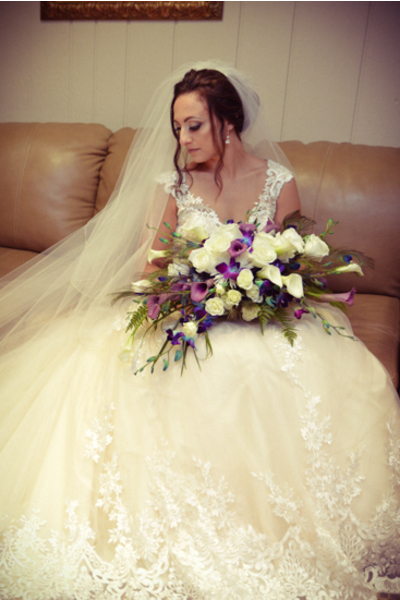 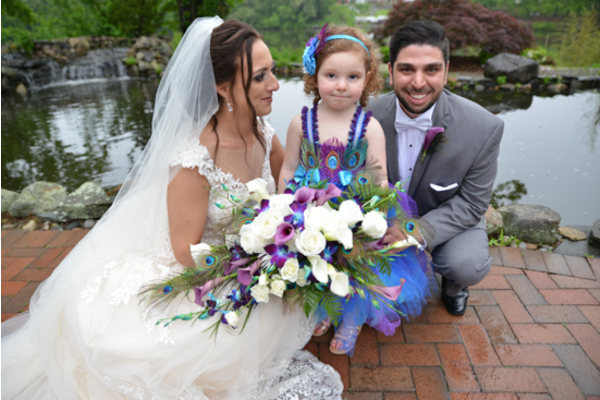 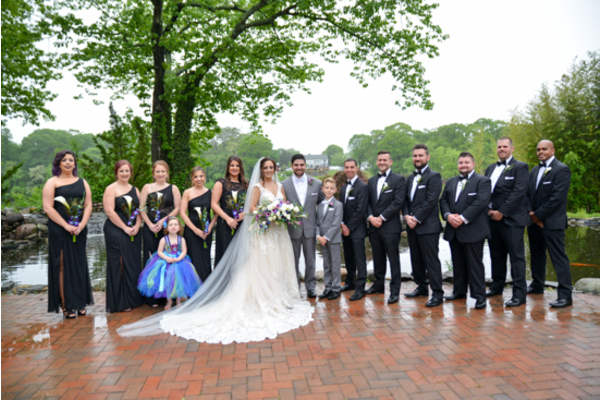 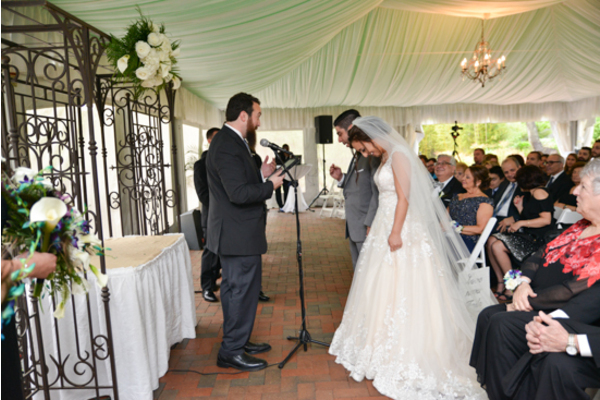 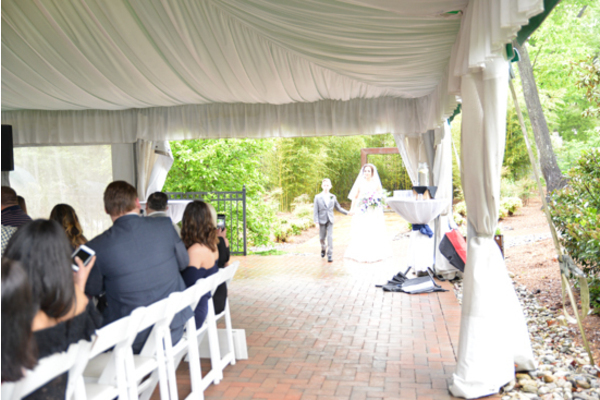 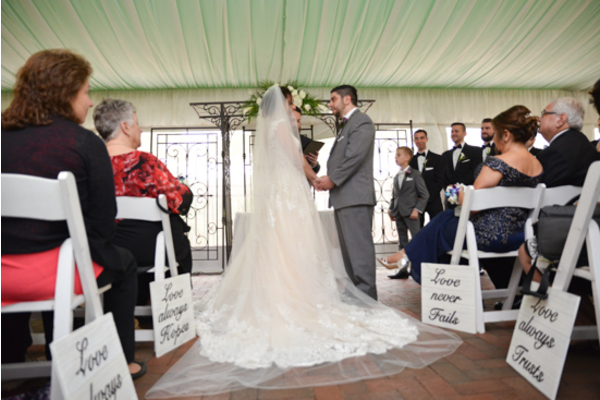 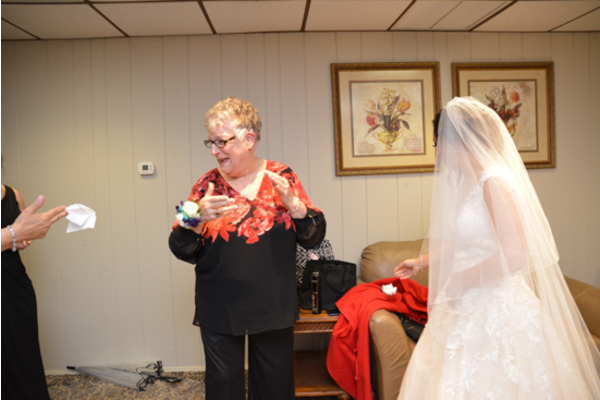 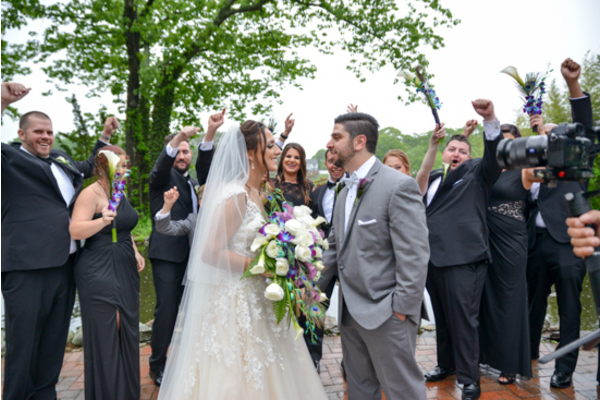 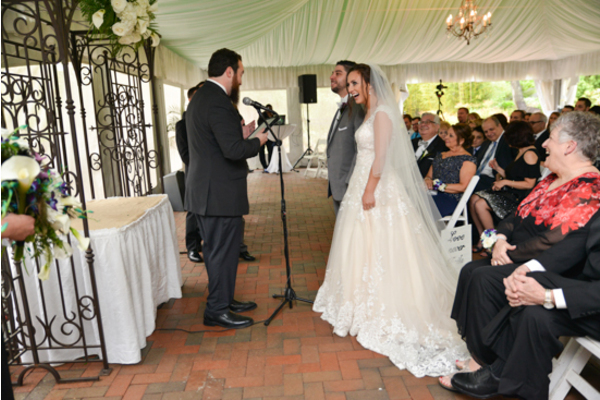 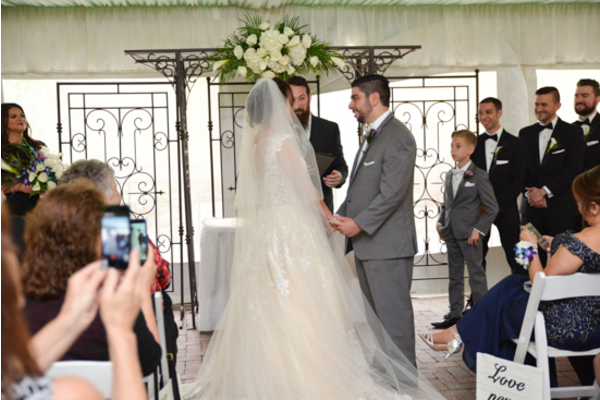 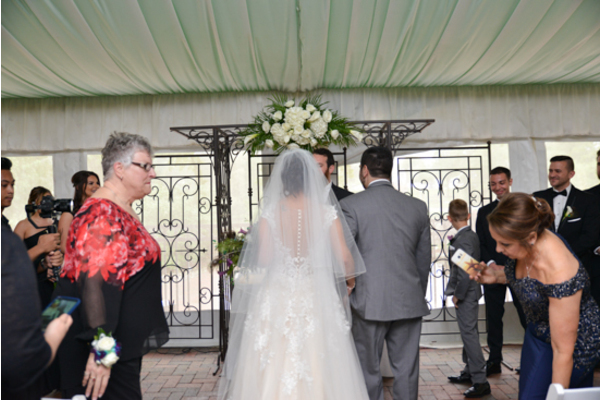 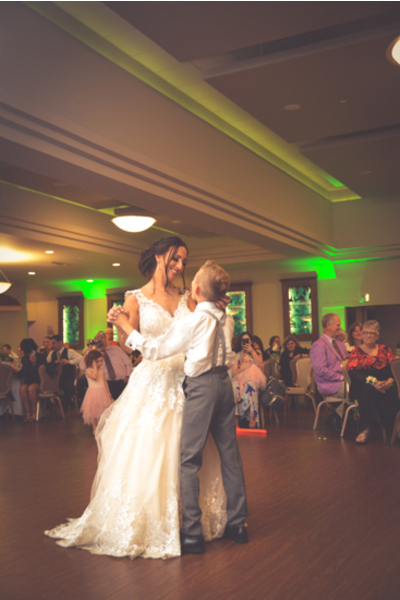 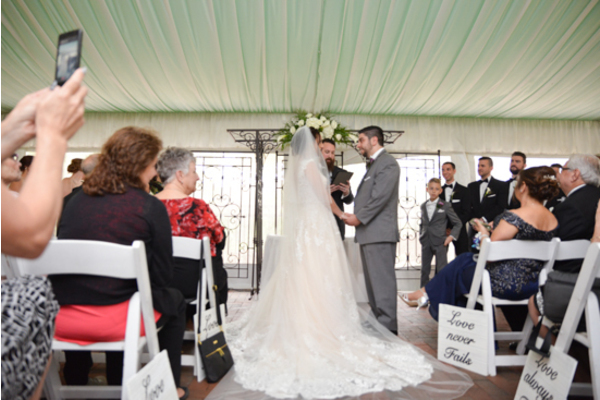 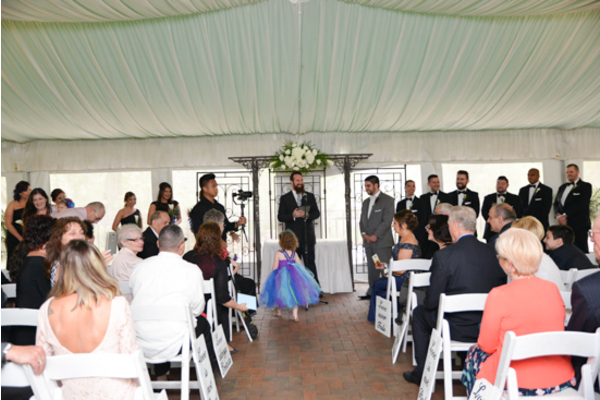 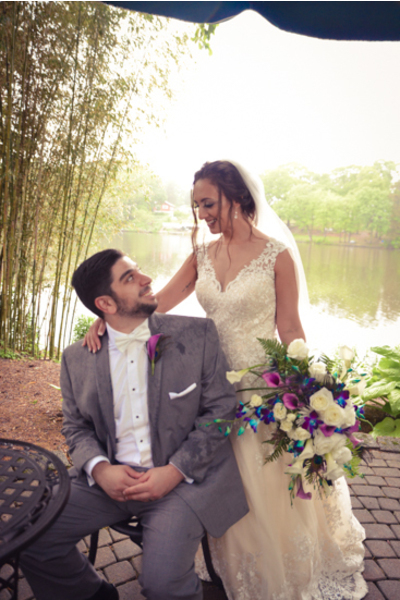 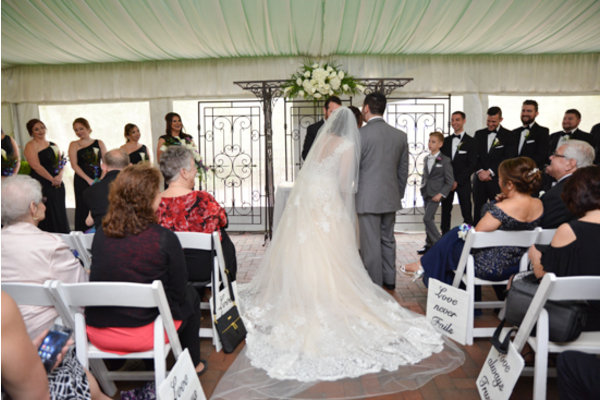 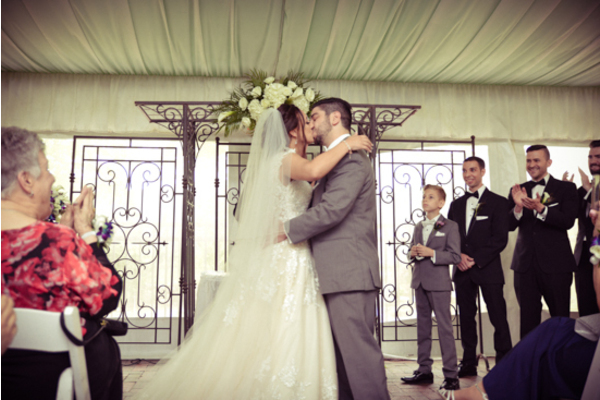 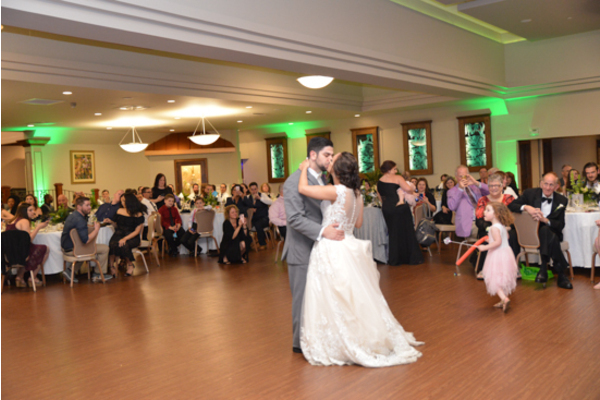 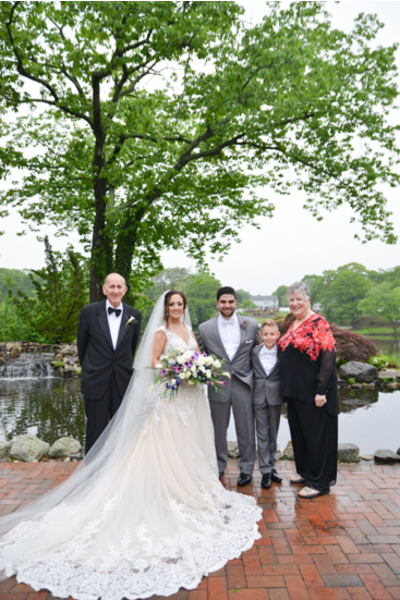 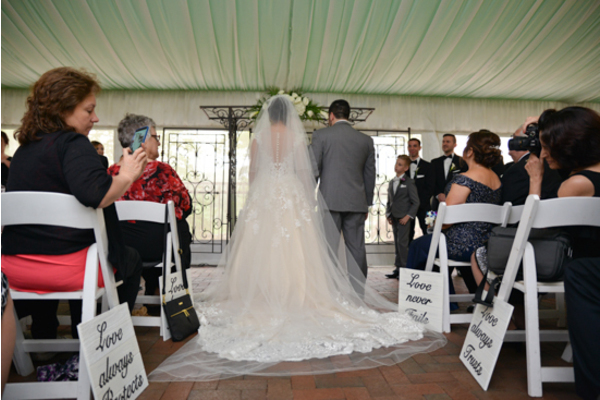 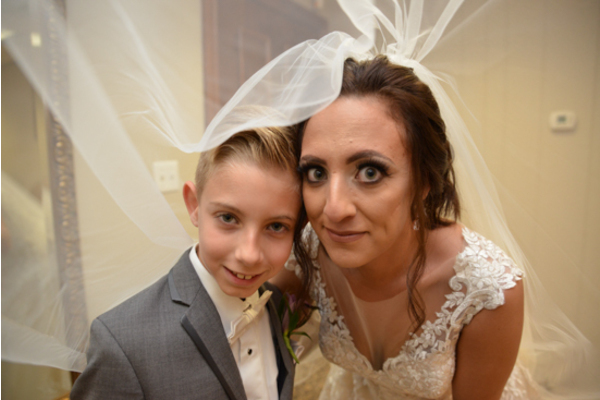 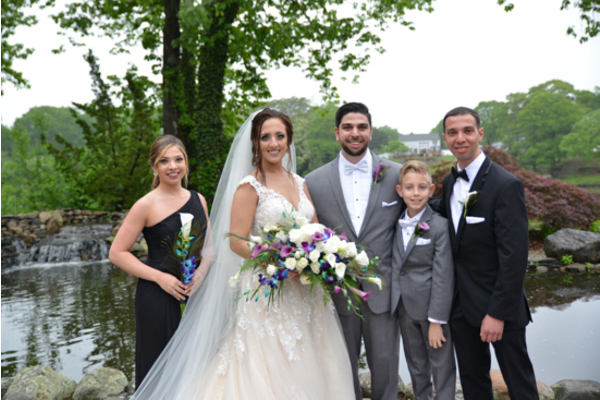 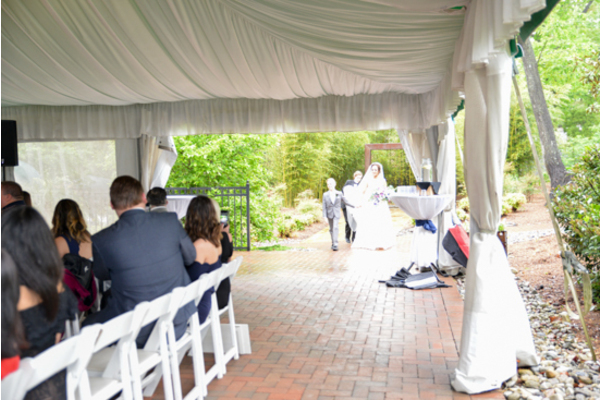 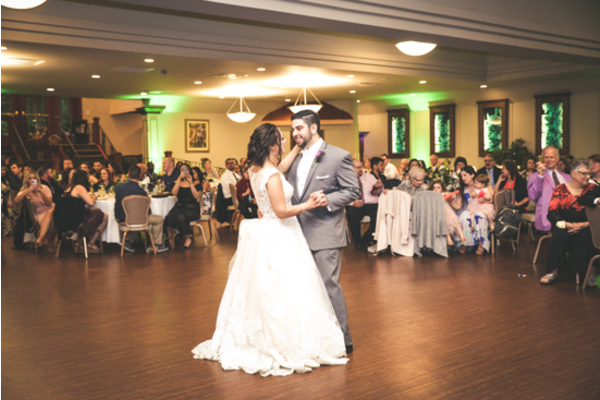 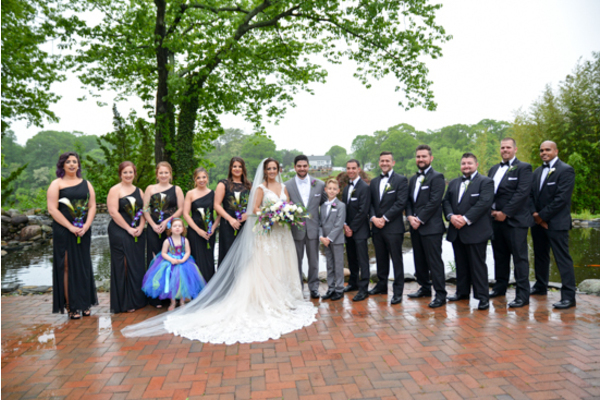 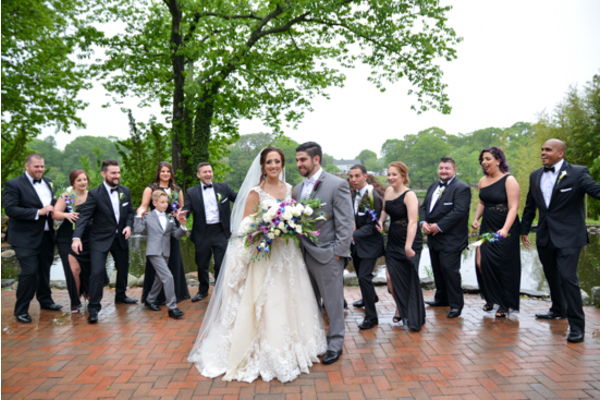 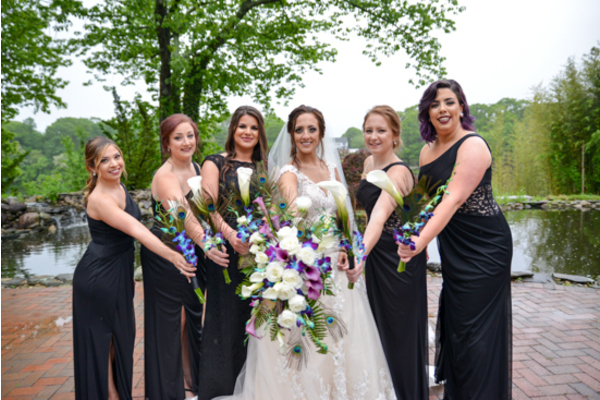 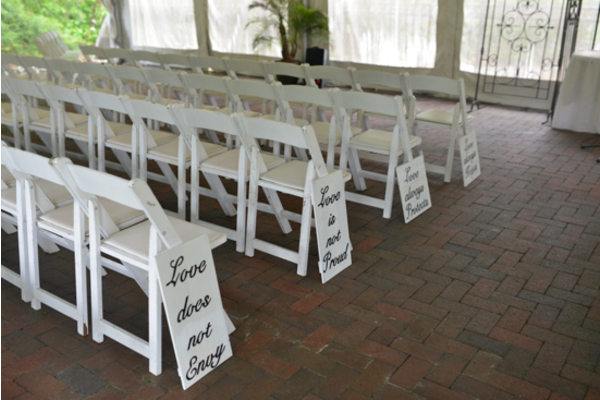 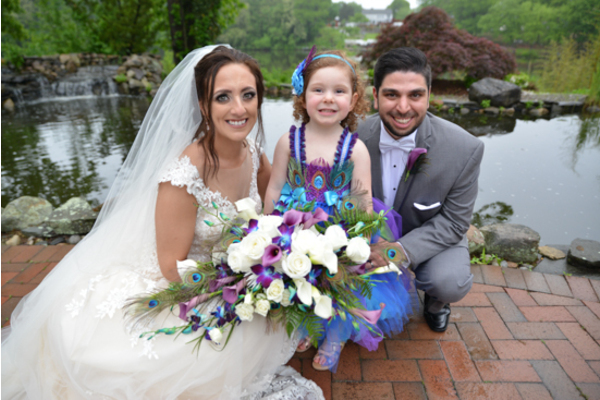 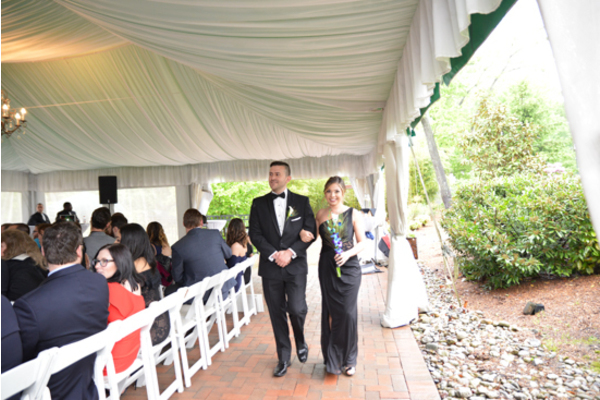 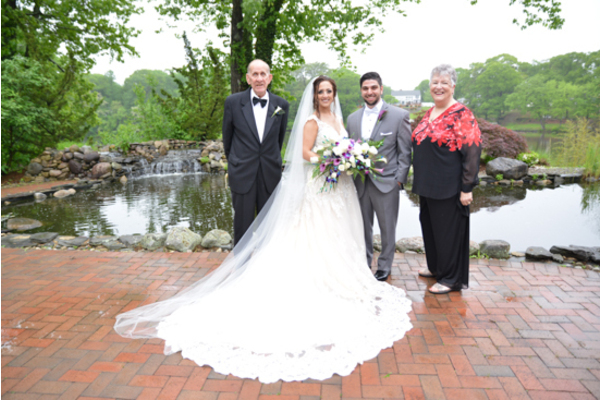 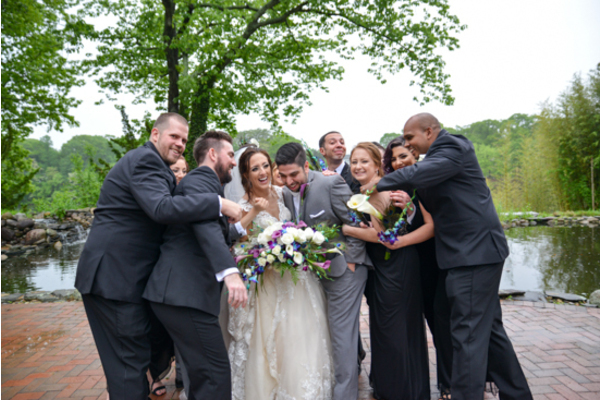 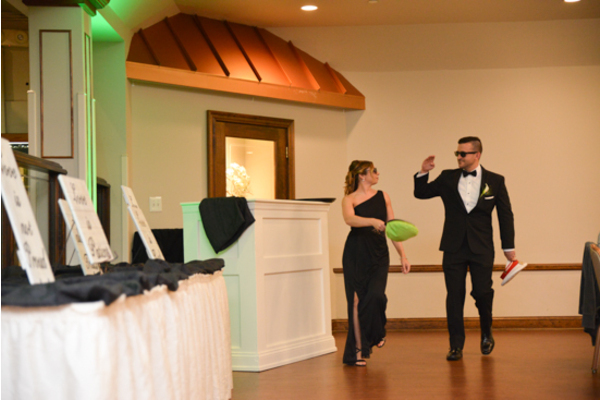 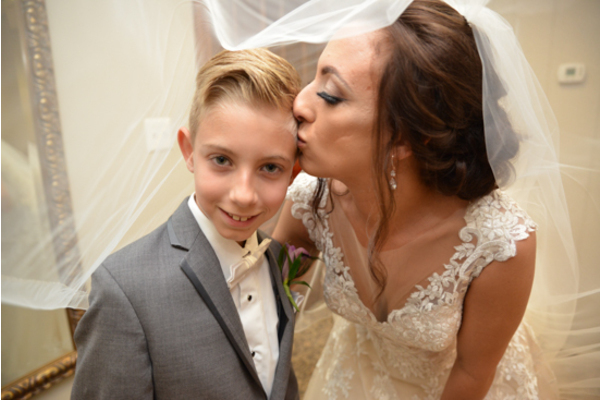 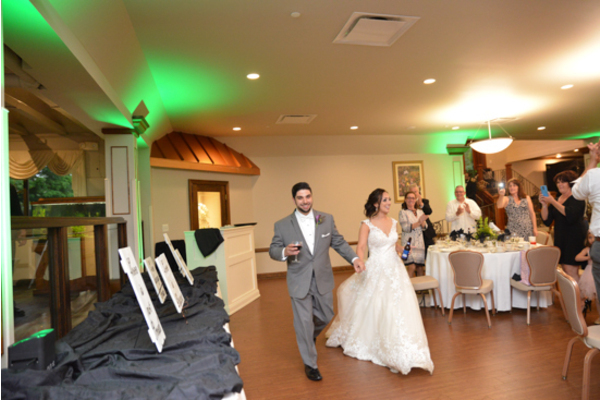 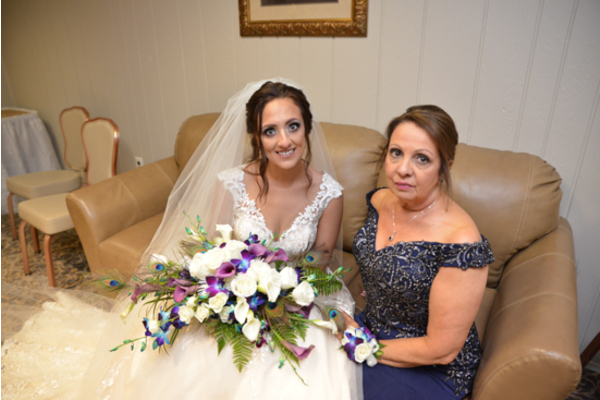 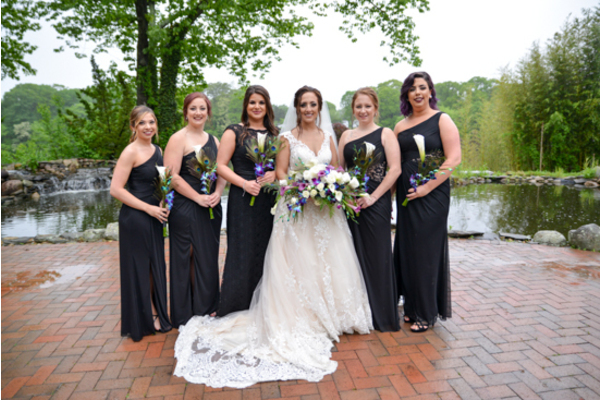 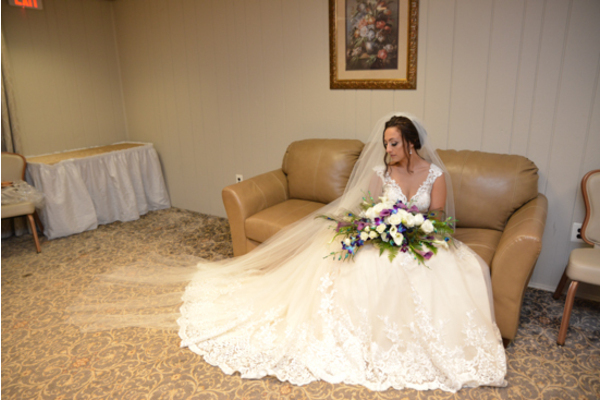 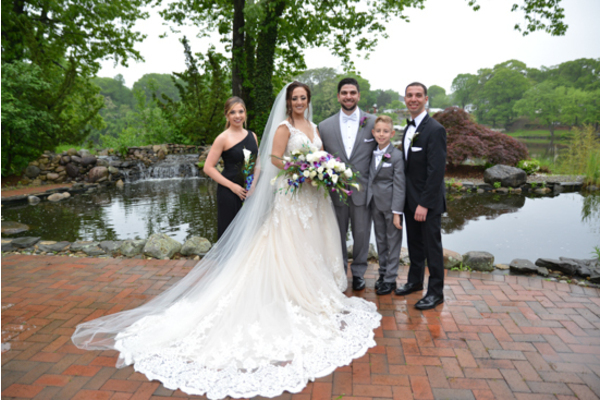 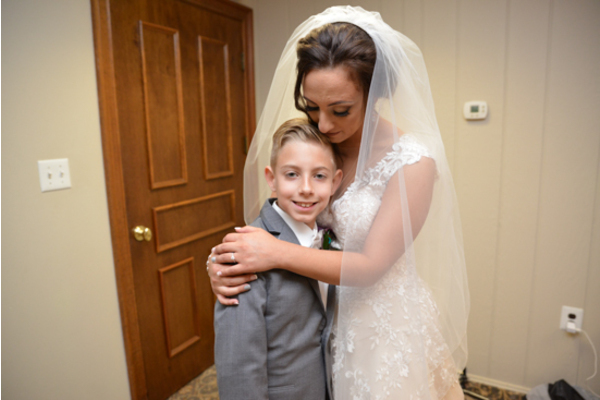 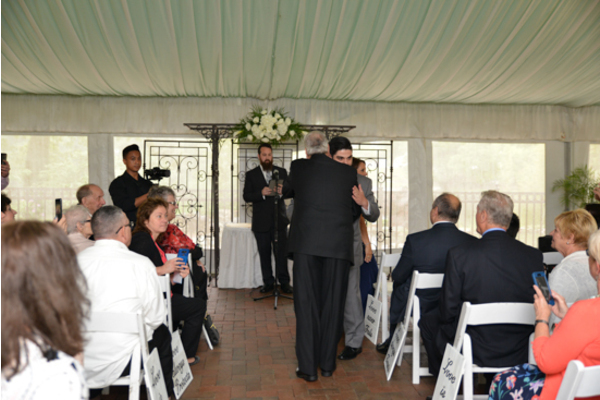 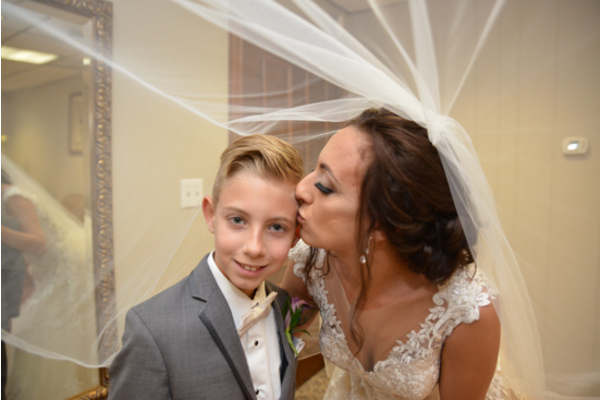 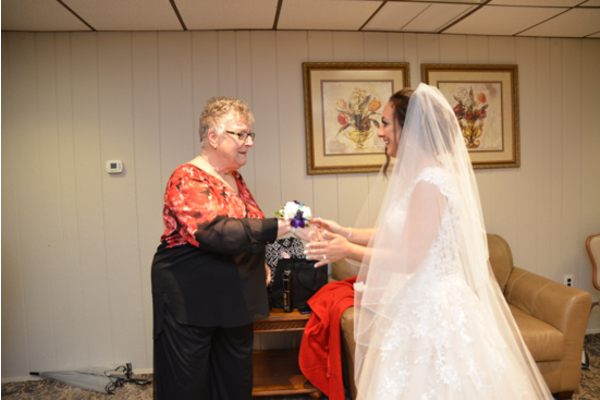 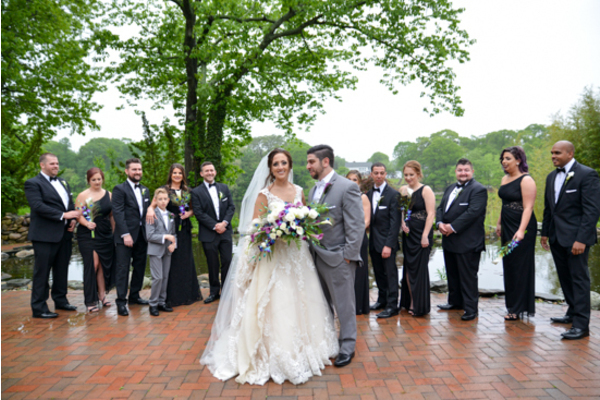 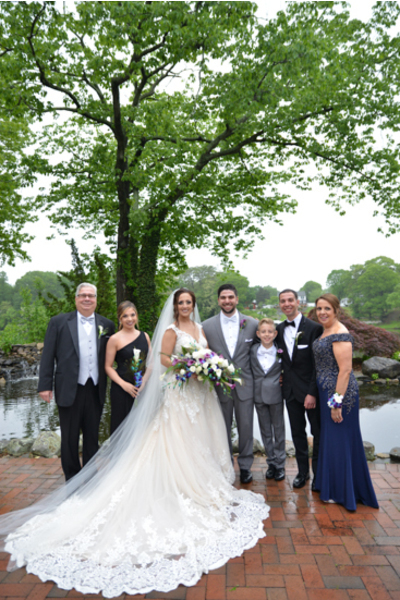 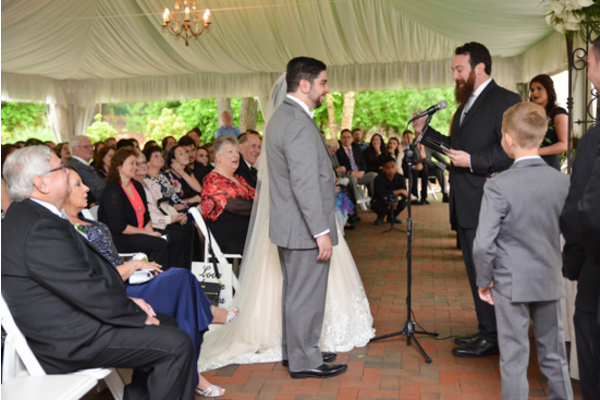 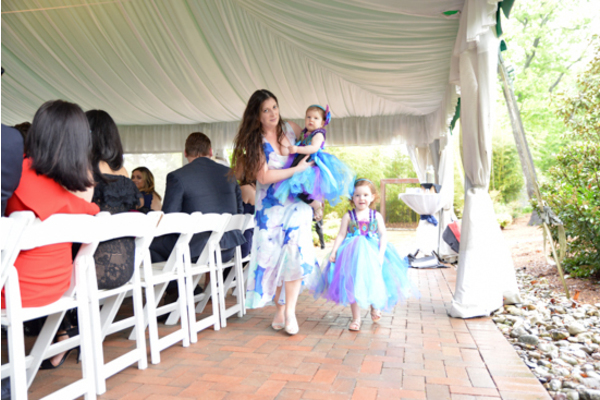 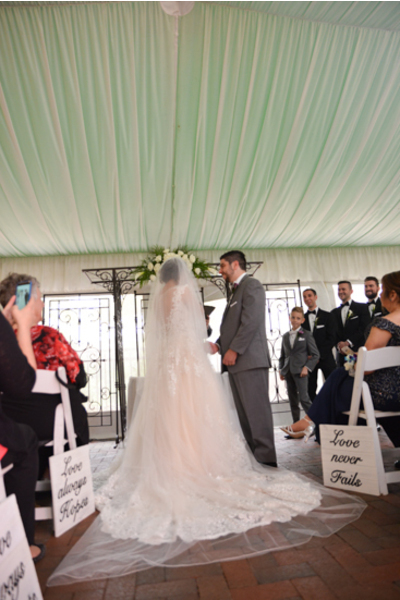 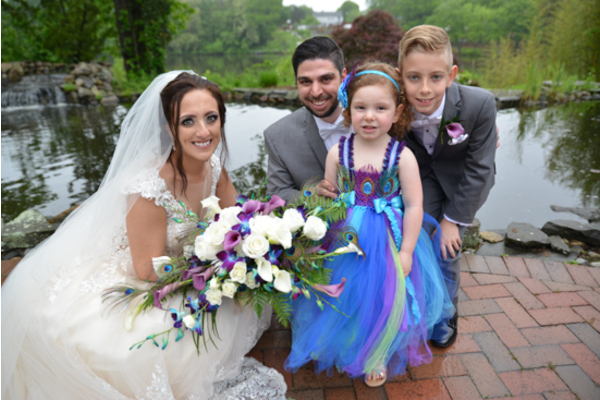 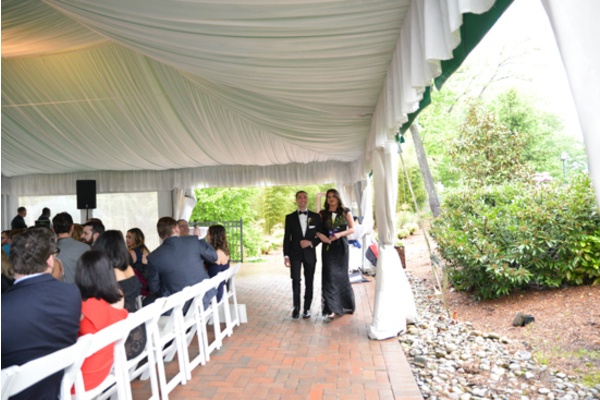 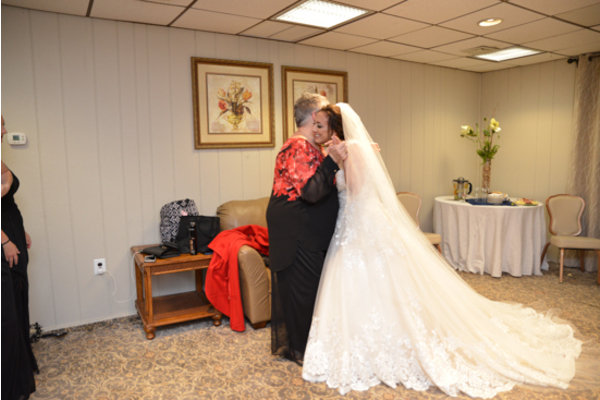 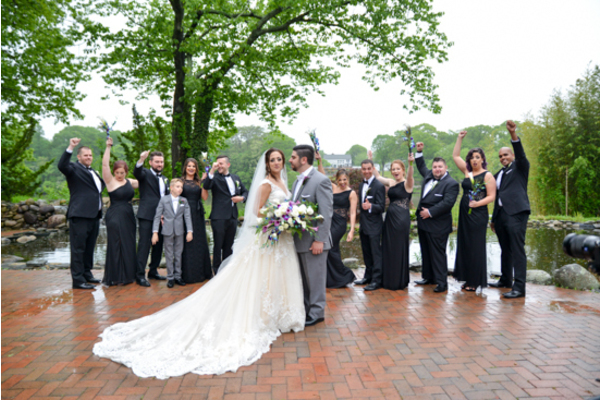 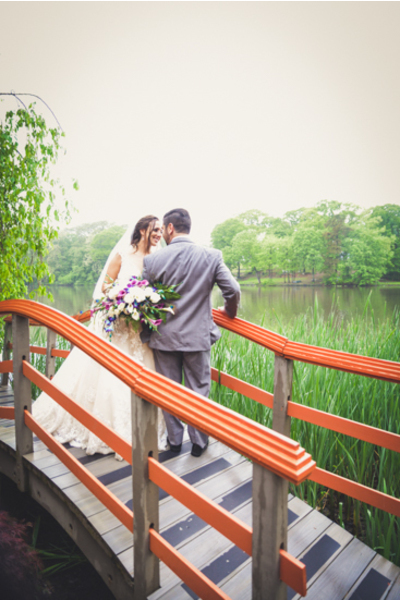 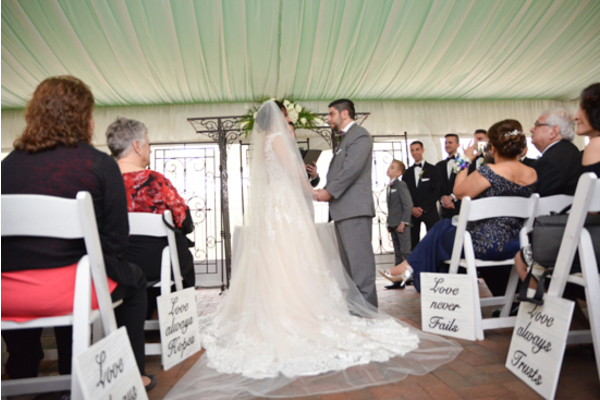 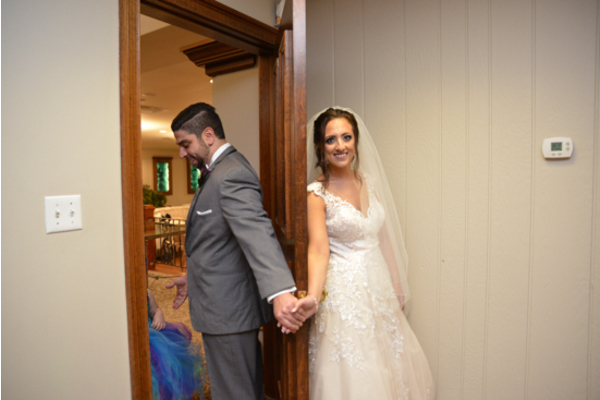 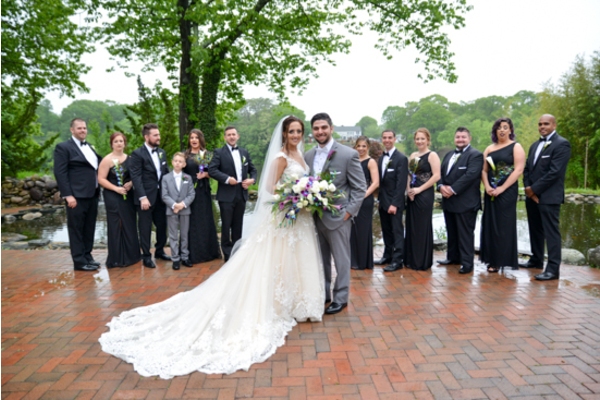 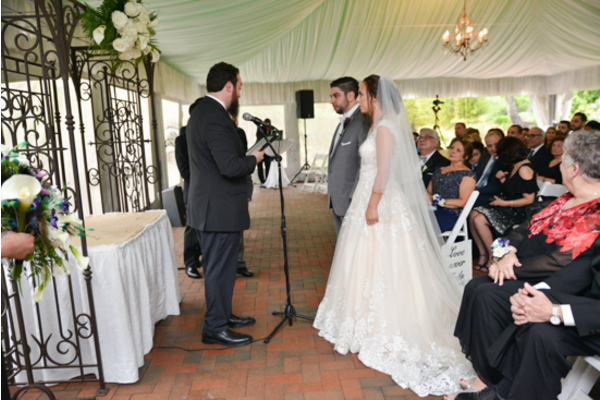 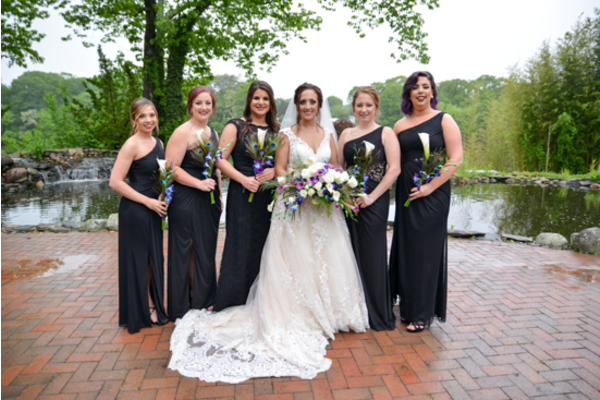 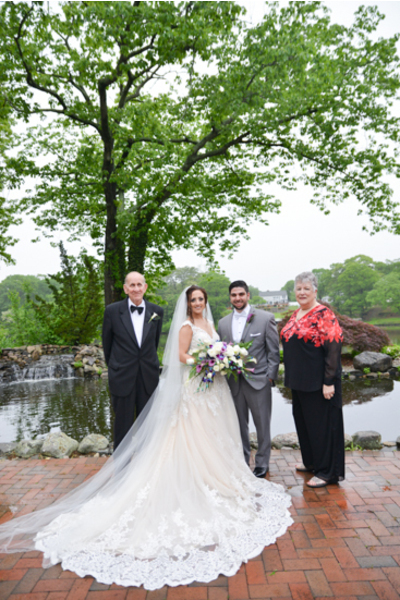 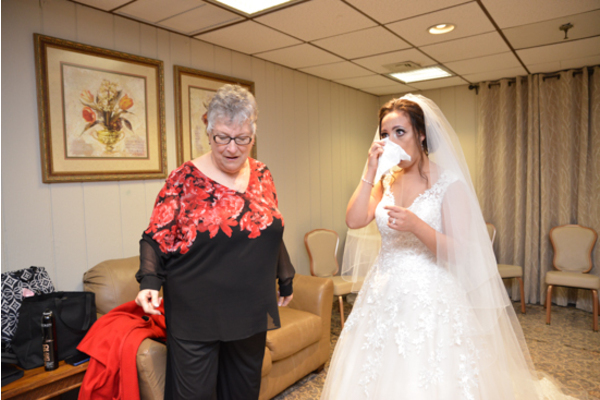 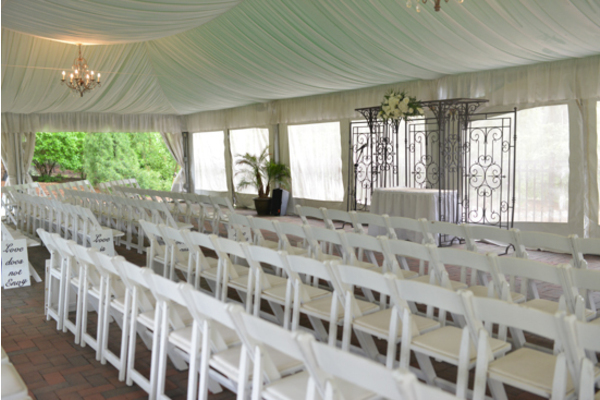 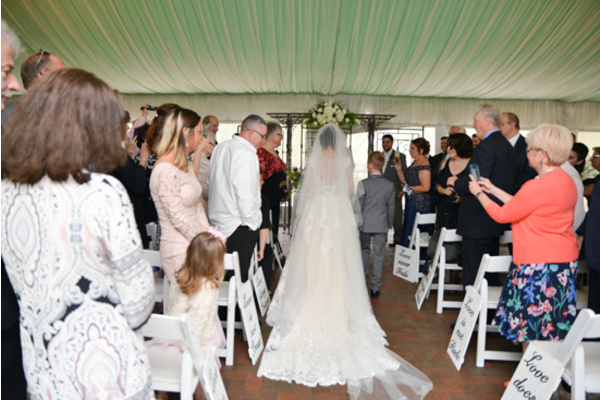 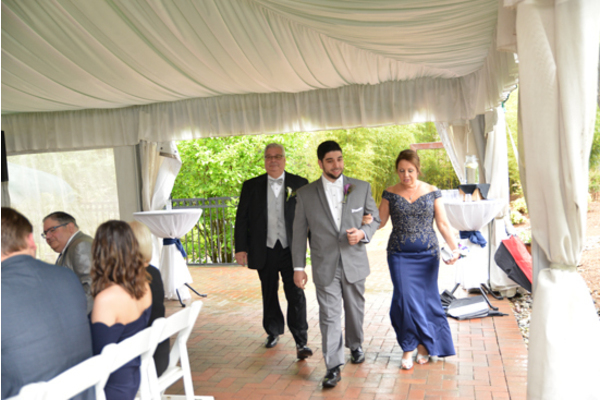 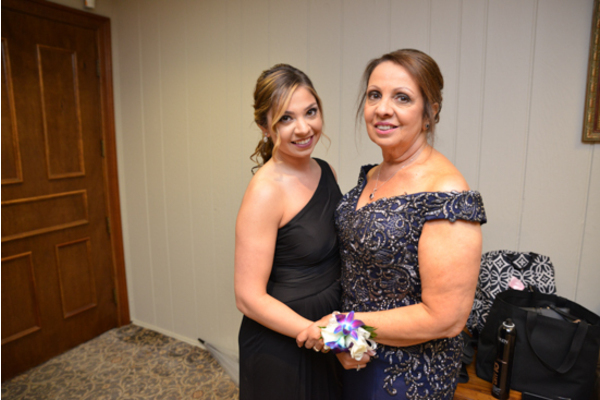 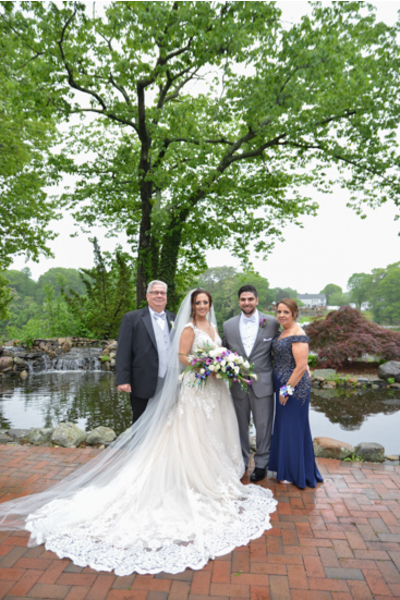 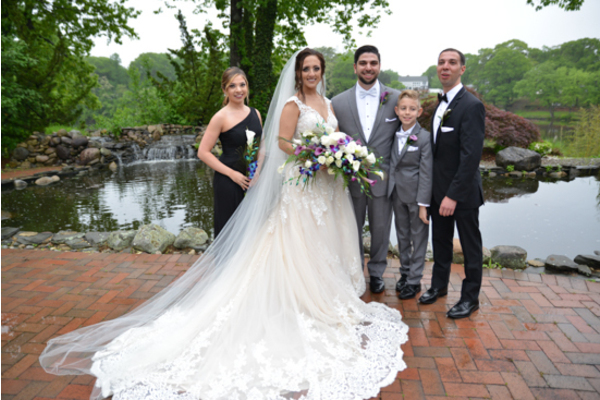 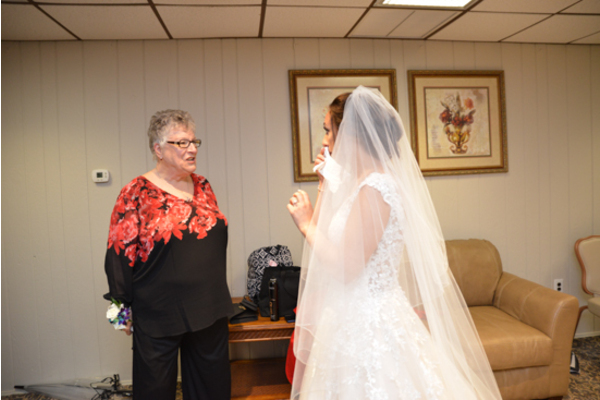 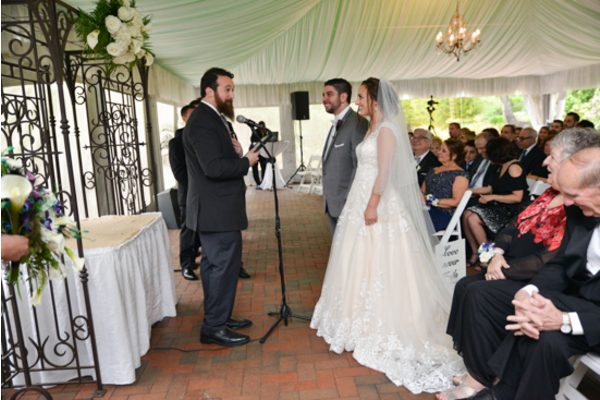 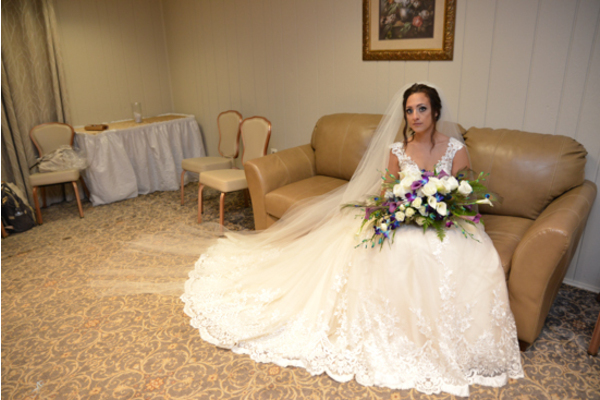 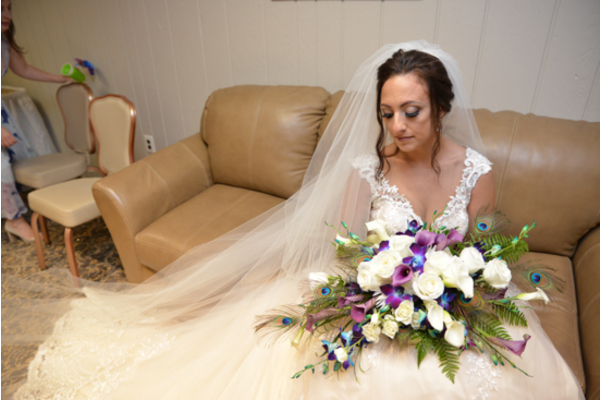 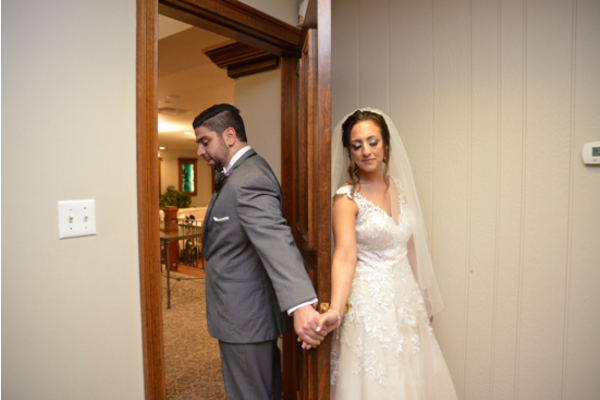 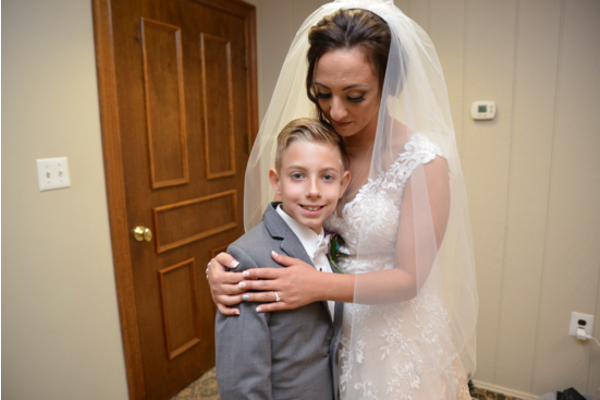 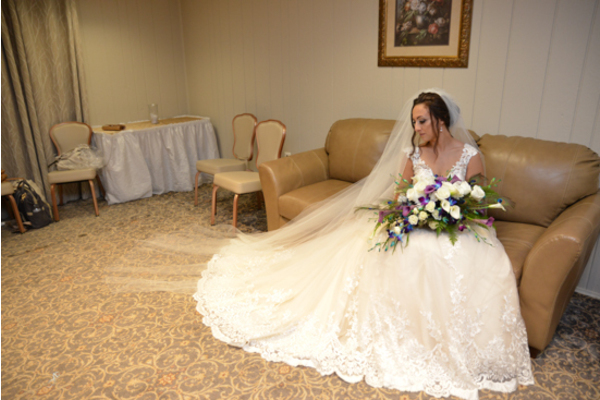 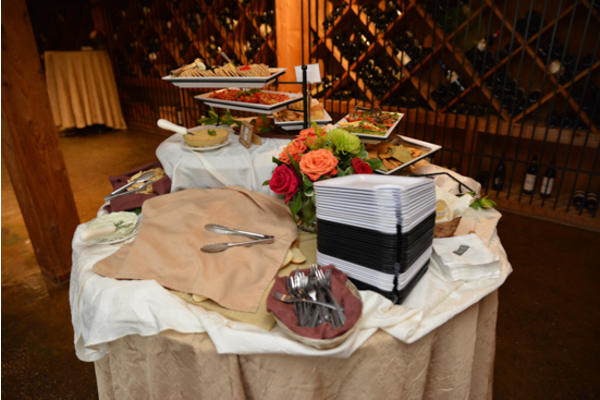 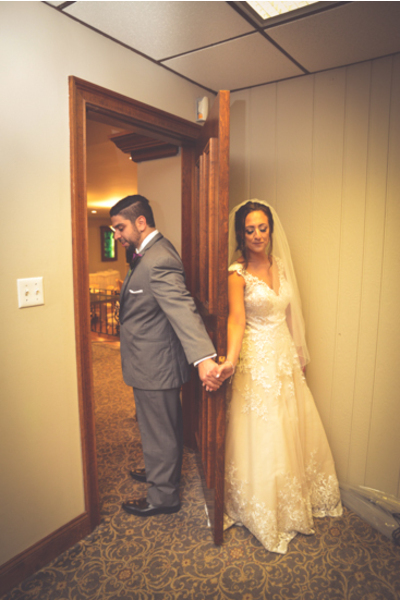 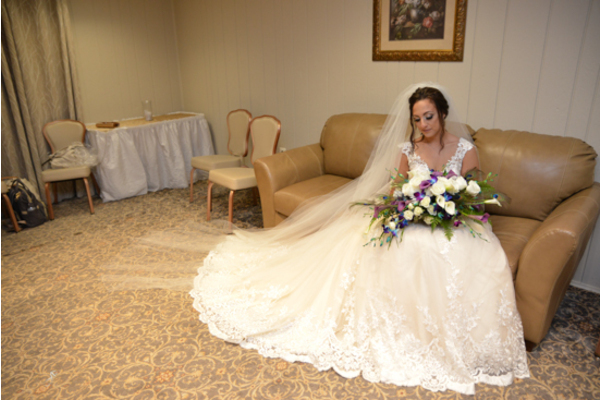 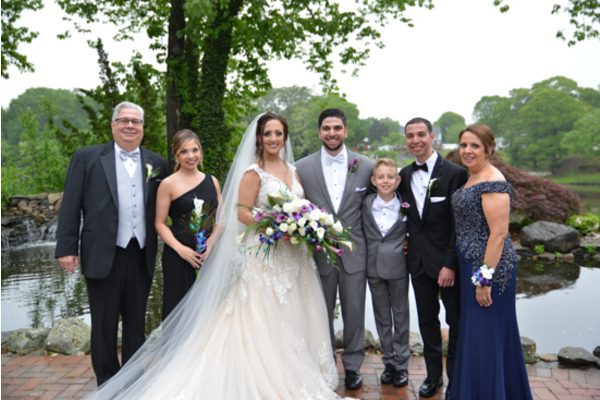 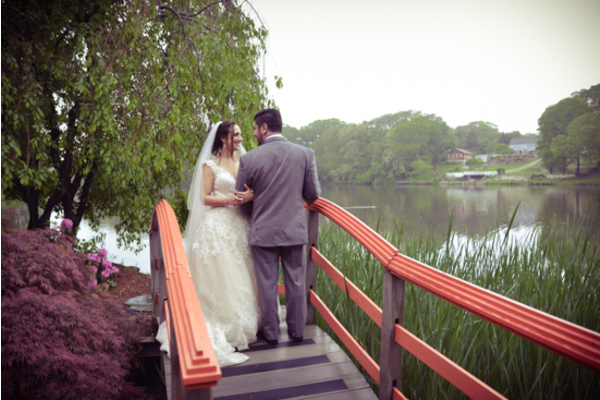 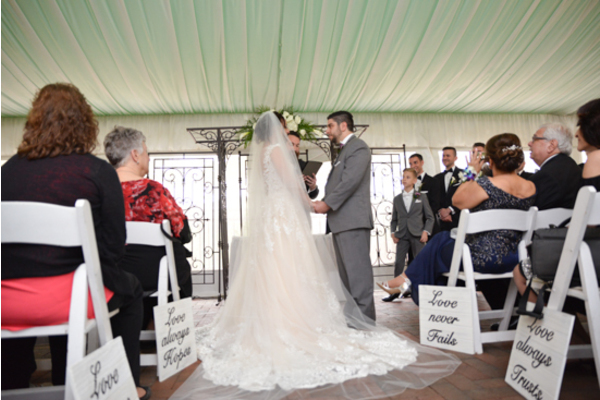 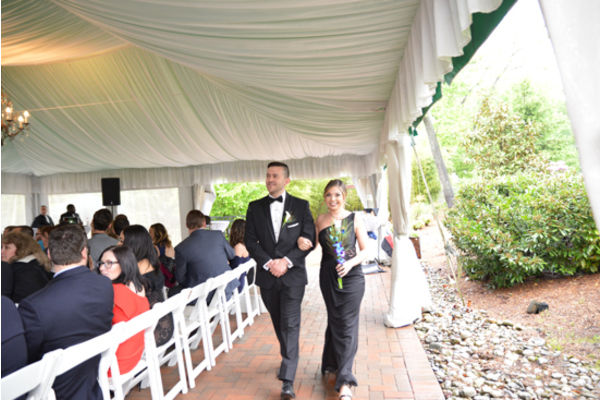 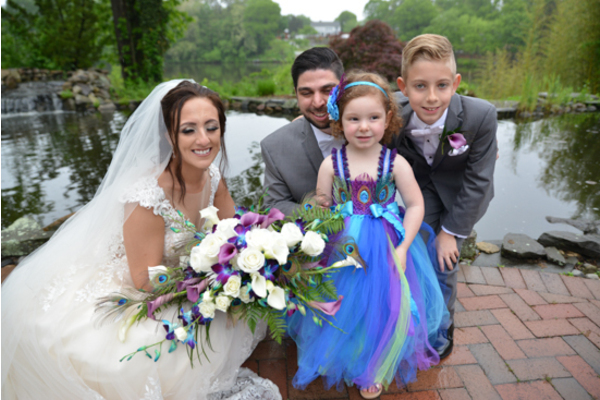 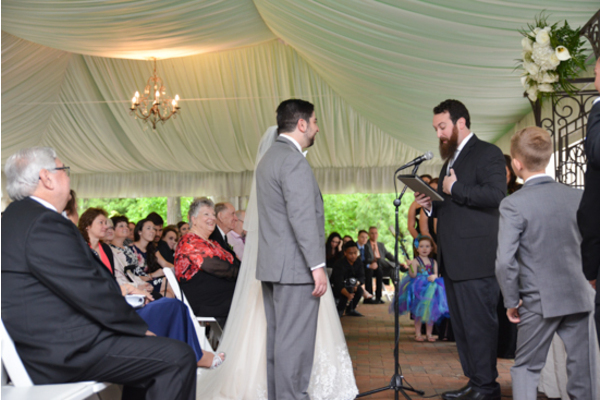 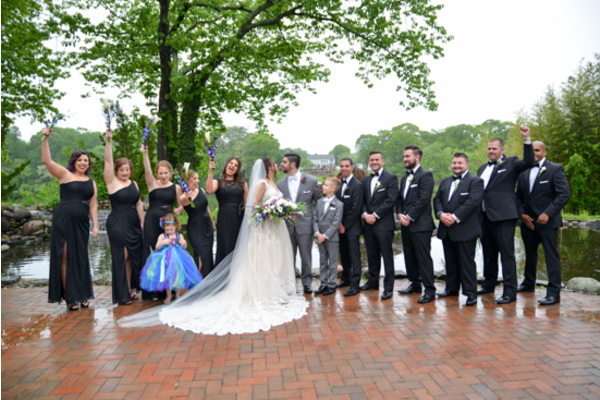 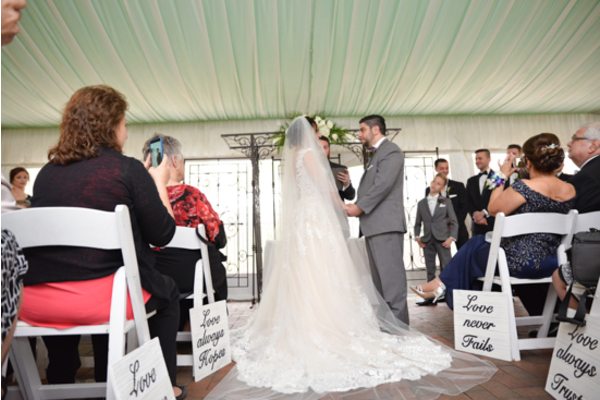 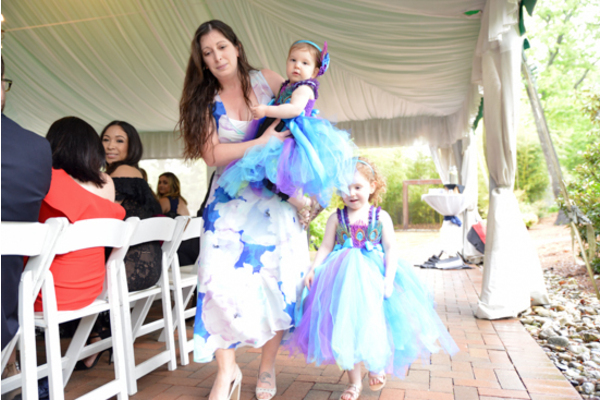 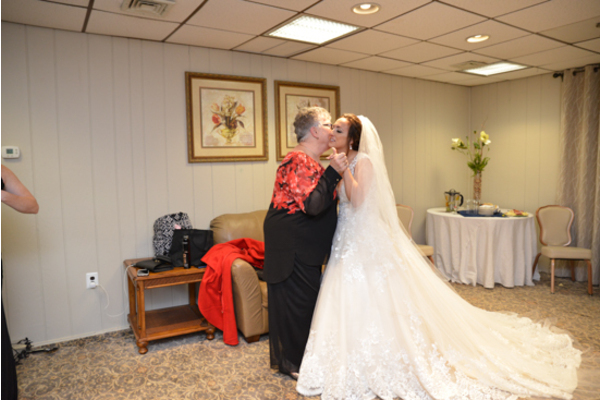 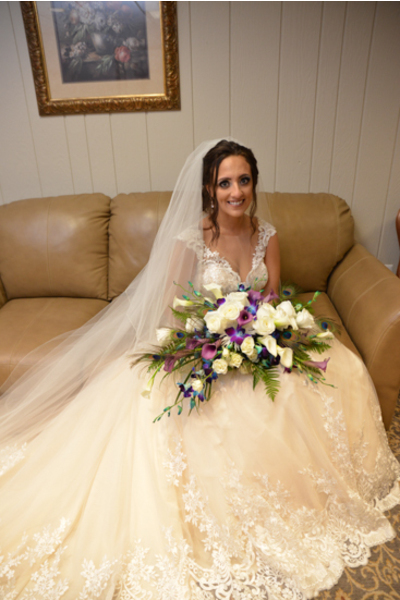 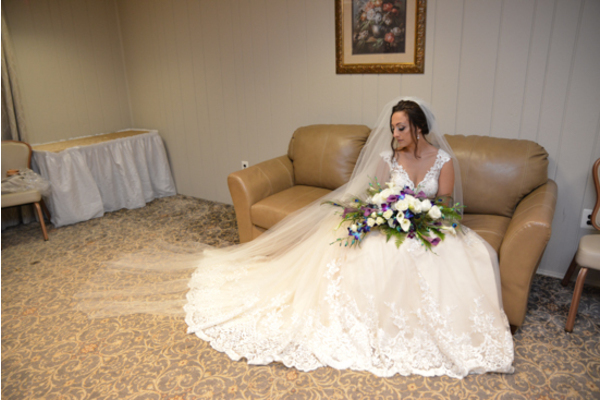 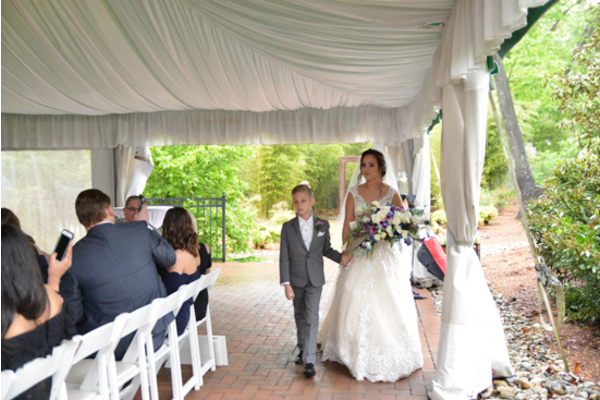 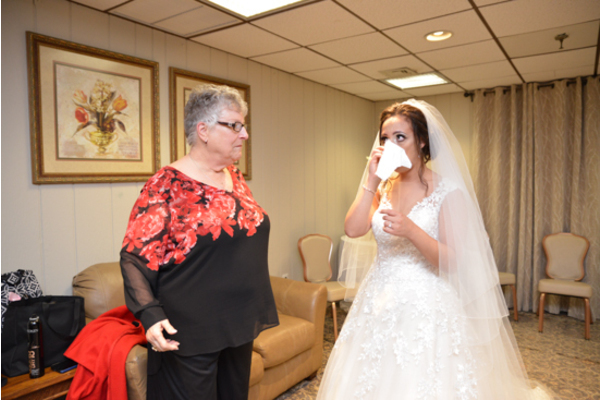 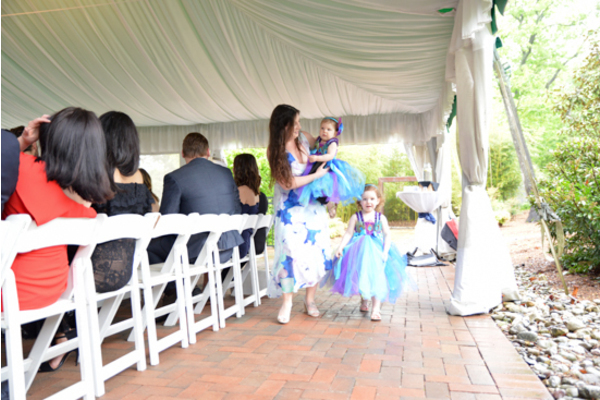 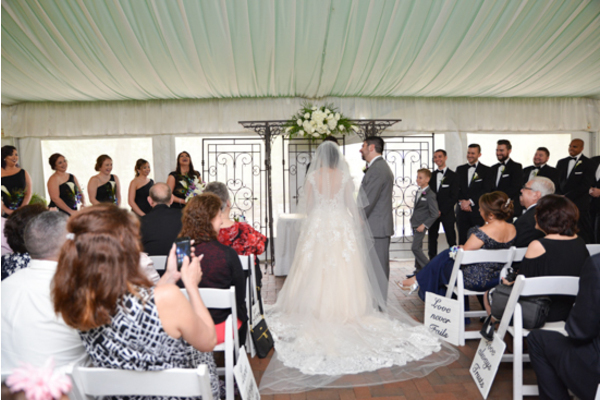 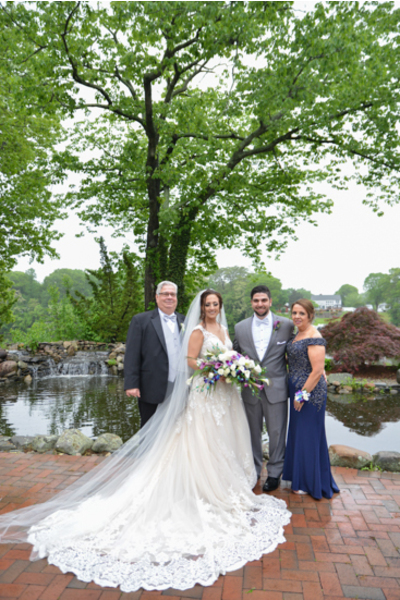 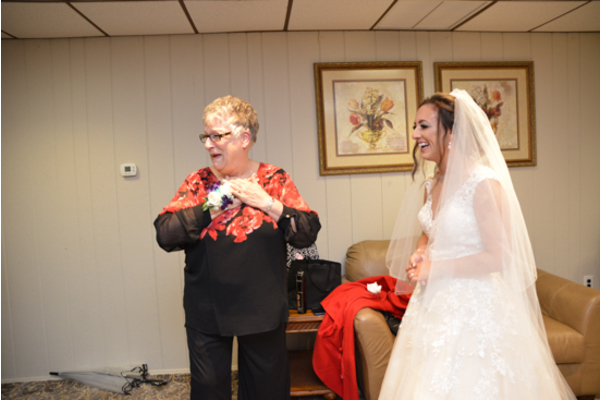 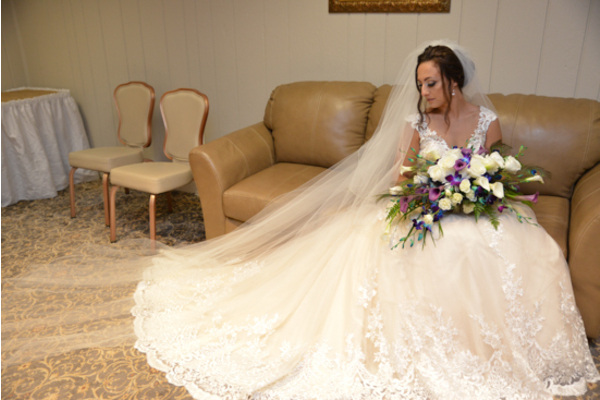 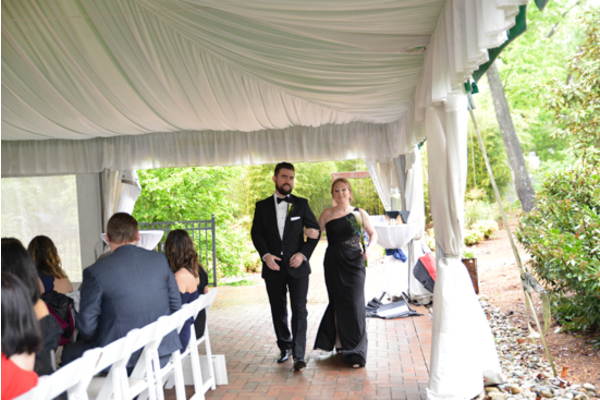 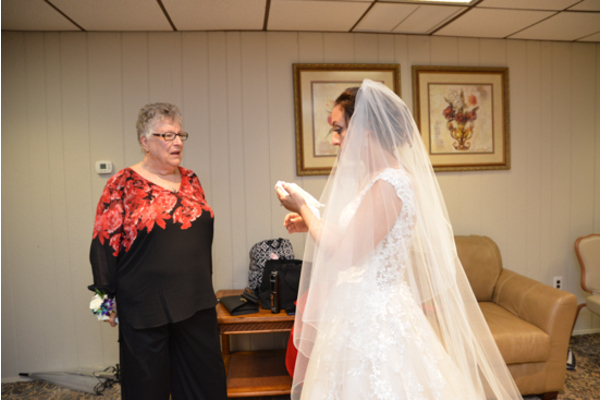 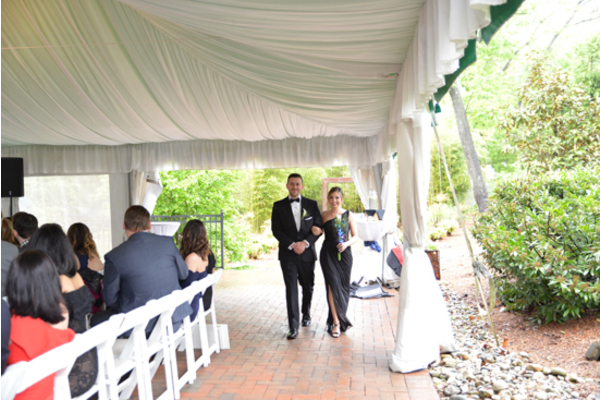 This lovely couple tied the knot at Auletto Caterers located in Deptford Township, NJ. 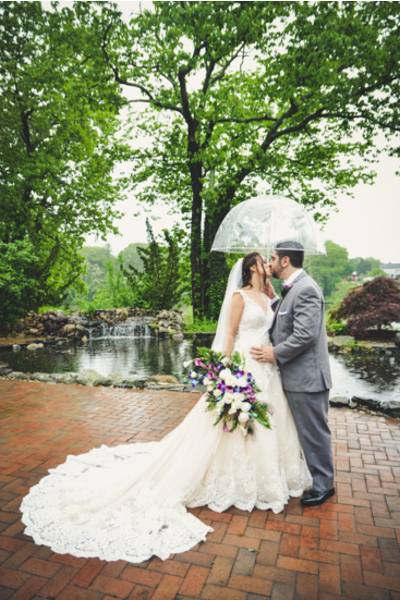 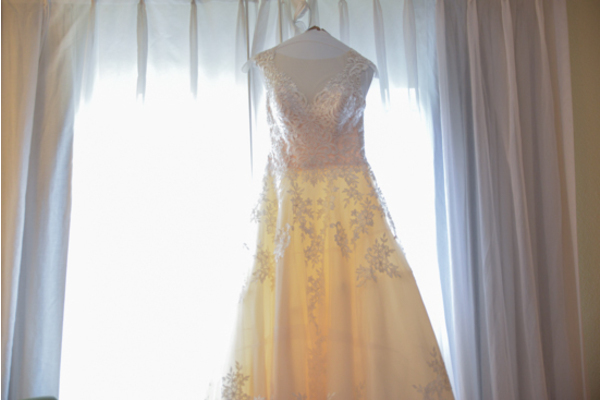 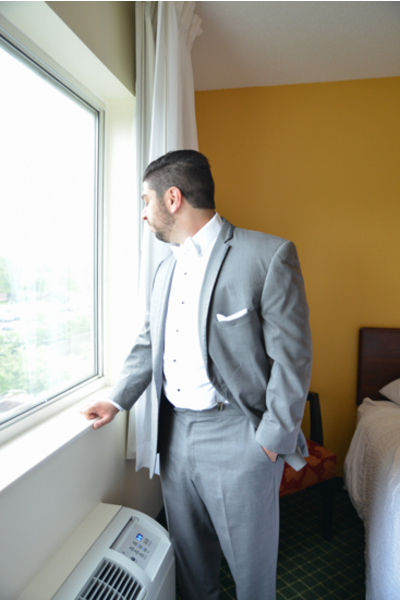 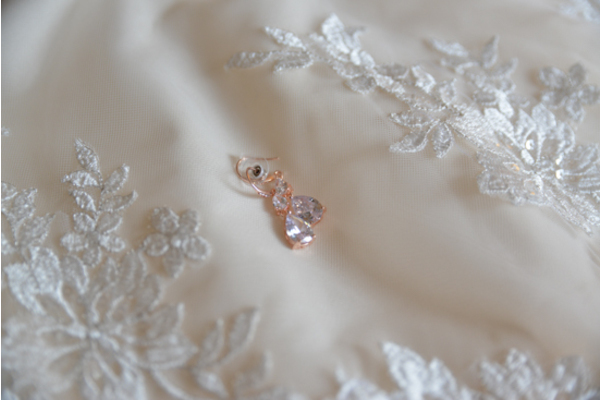 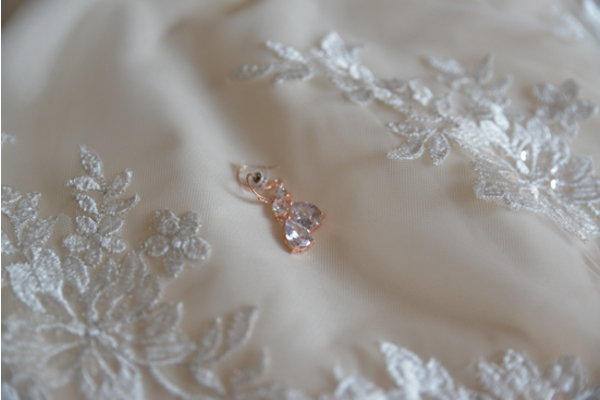 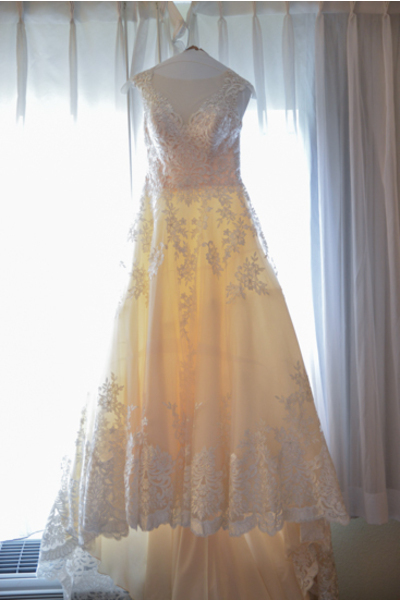 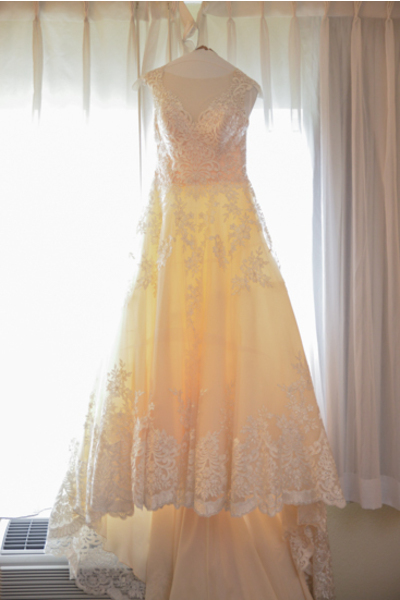 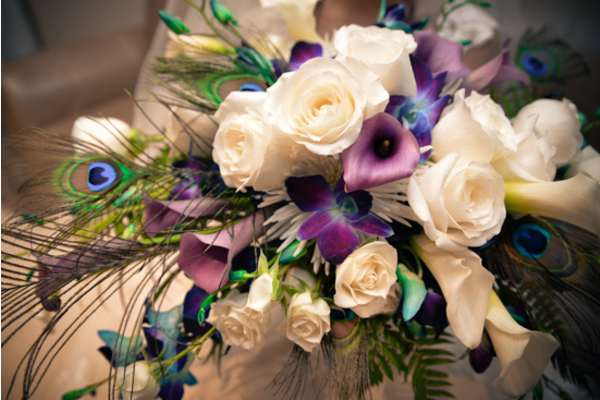 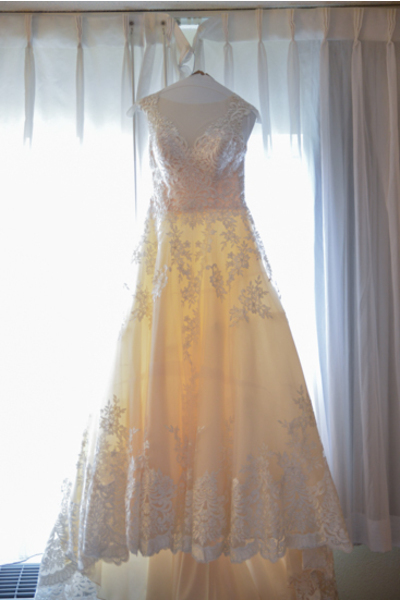 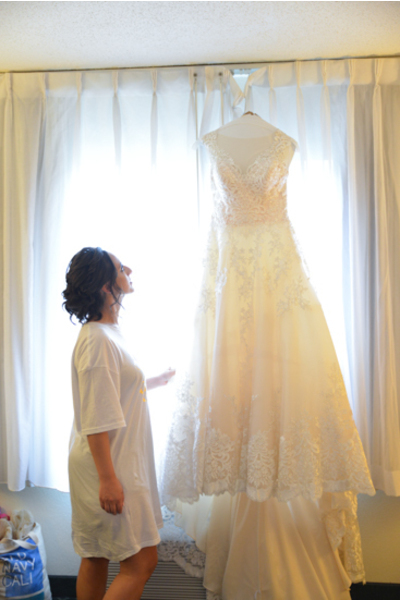 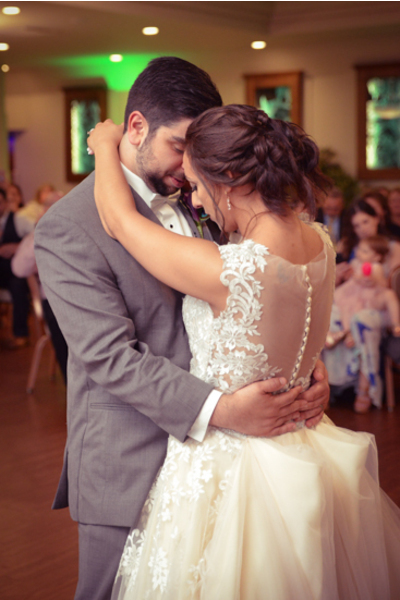 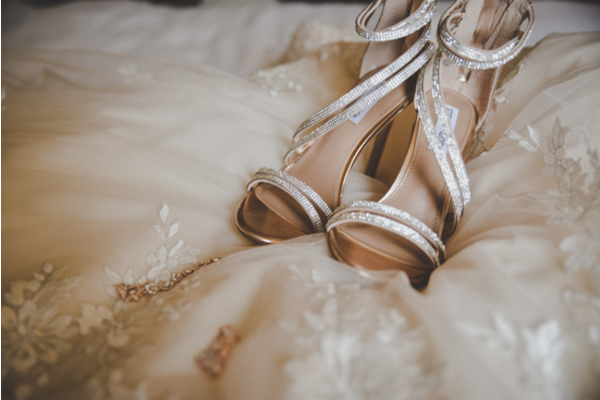 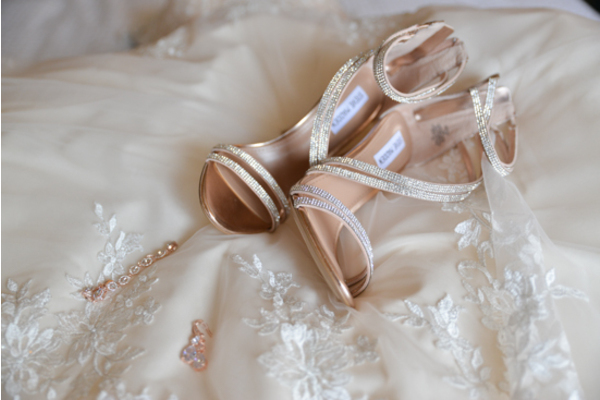 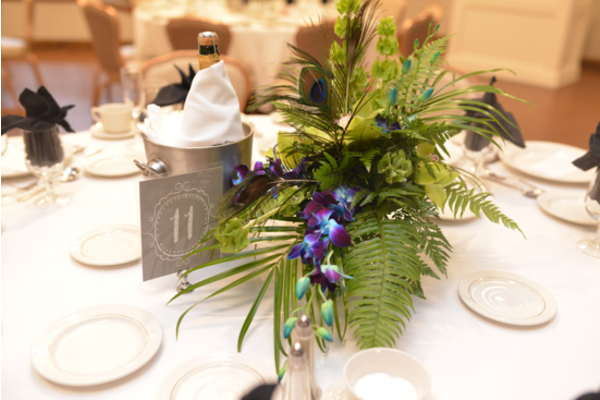 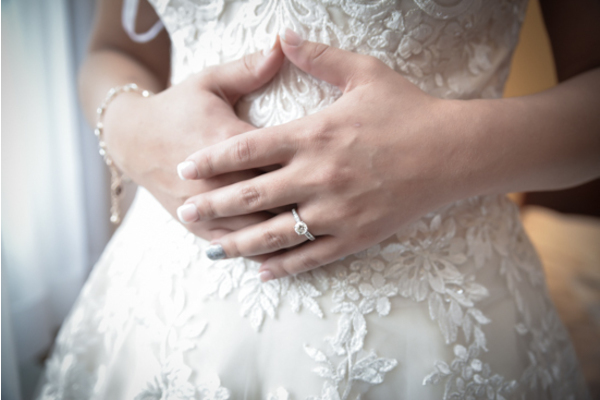 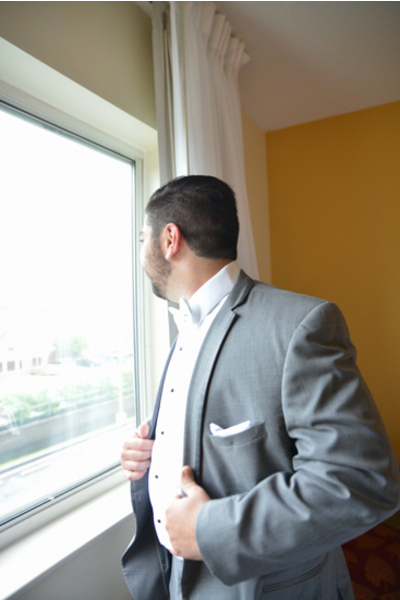 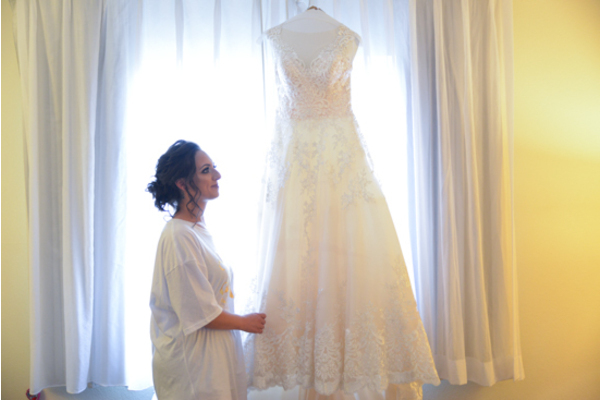 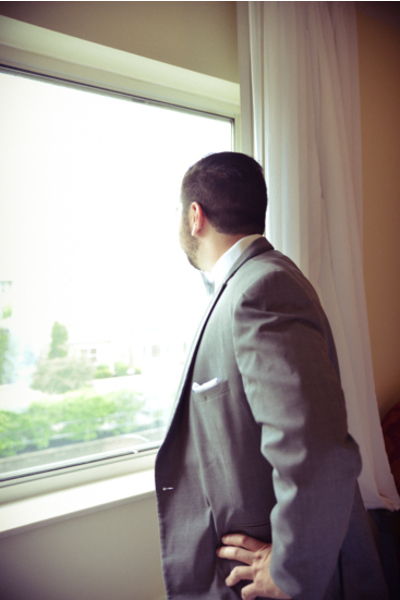 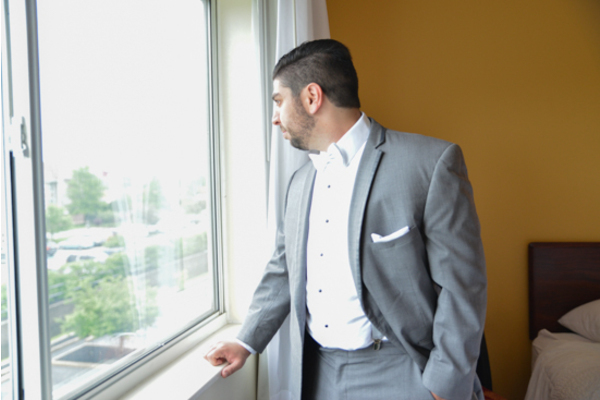 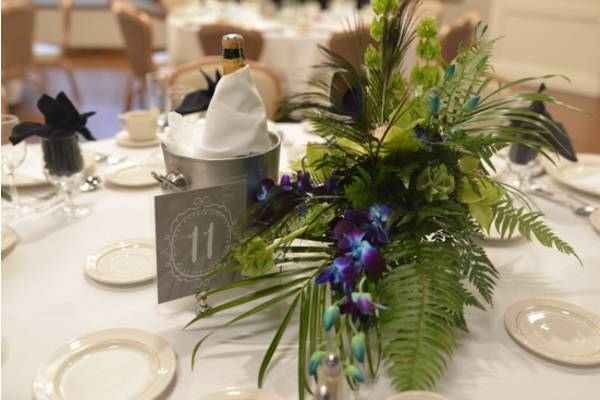 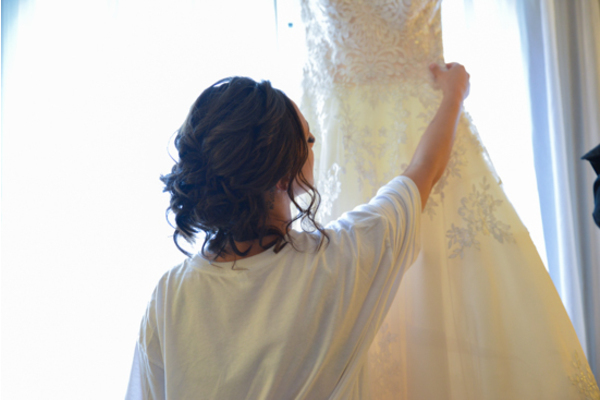 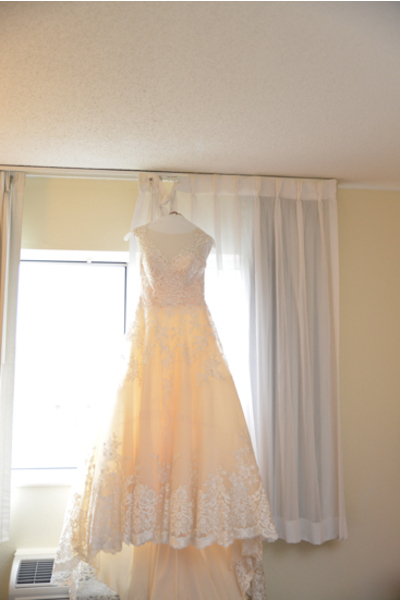 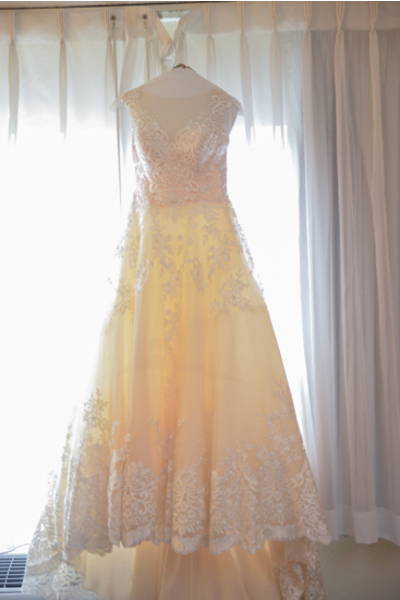 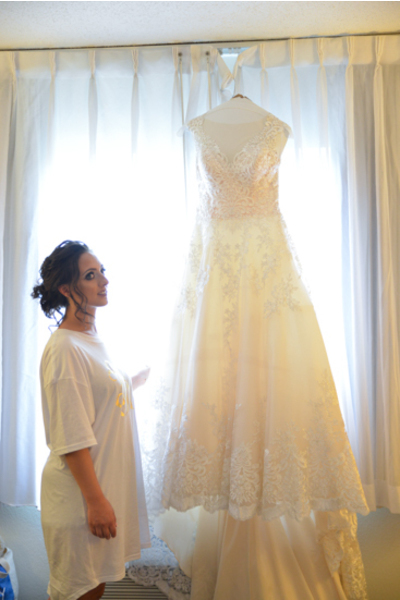 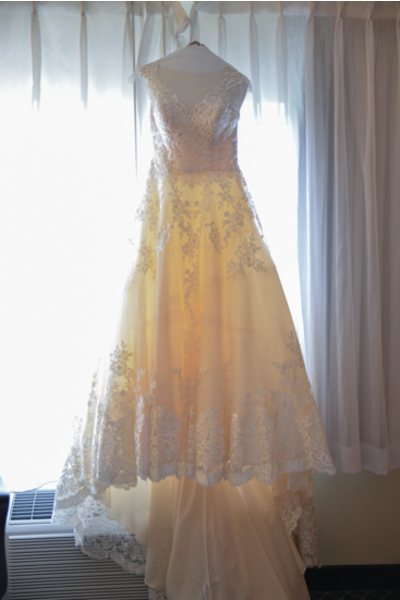 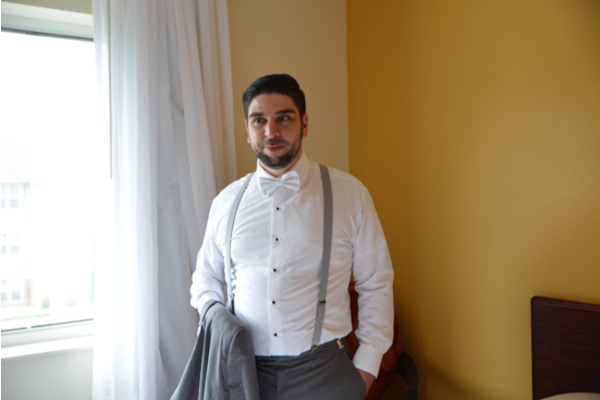 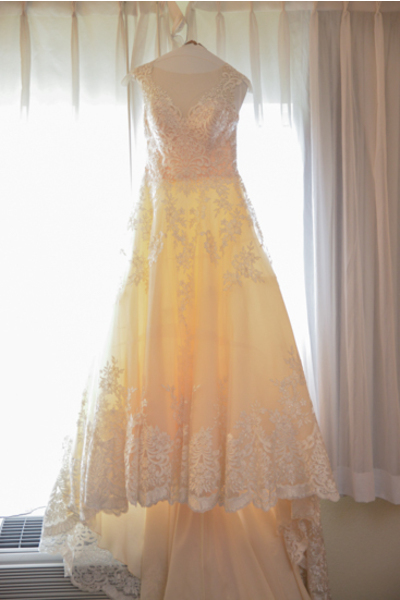 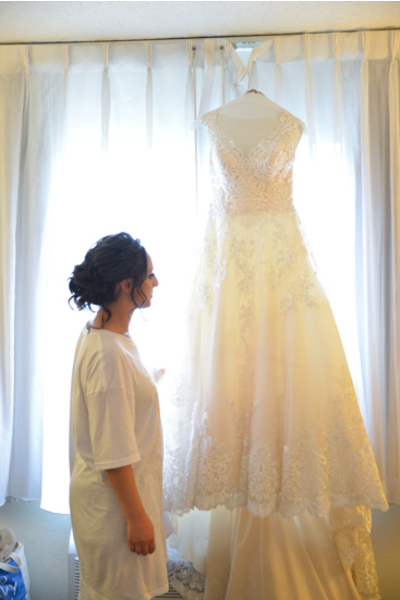 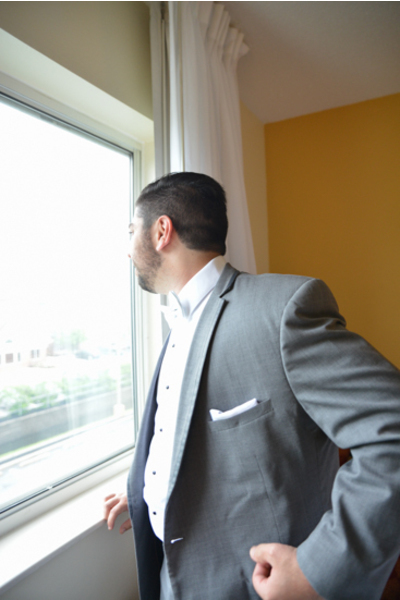 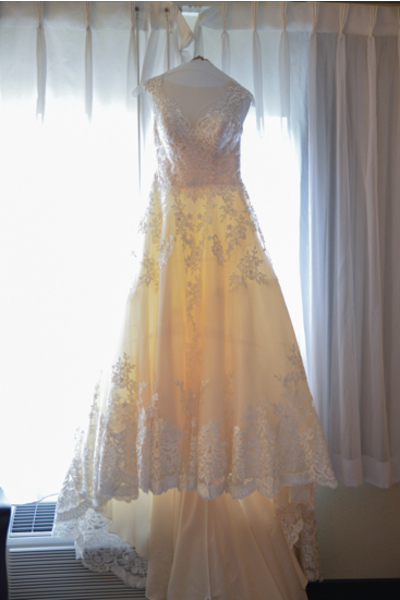 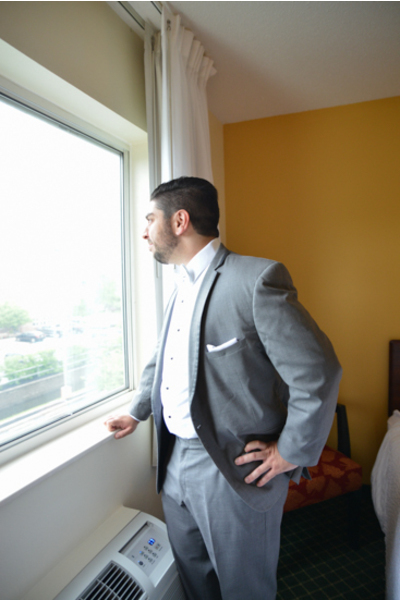 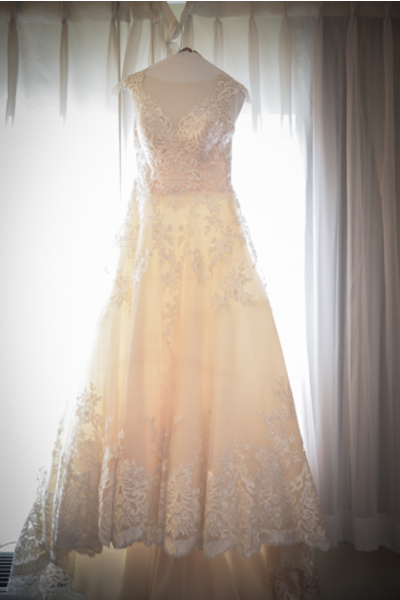 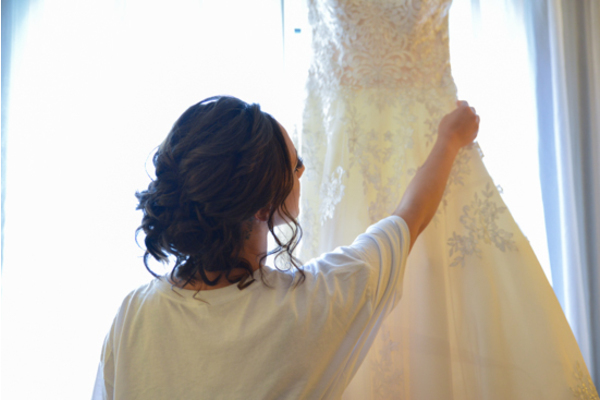 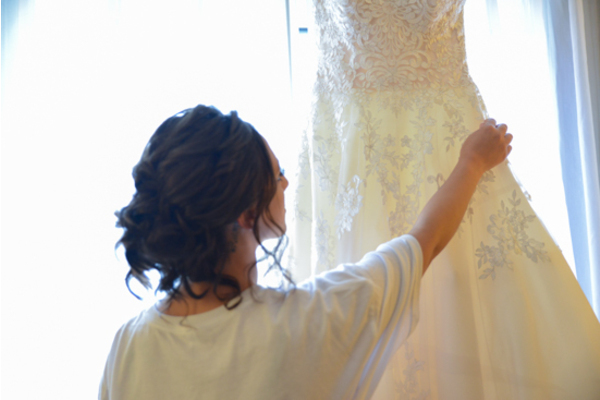 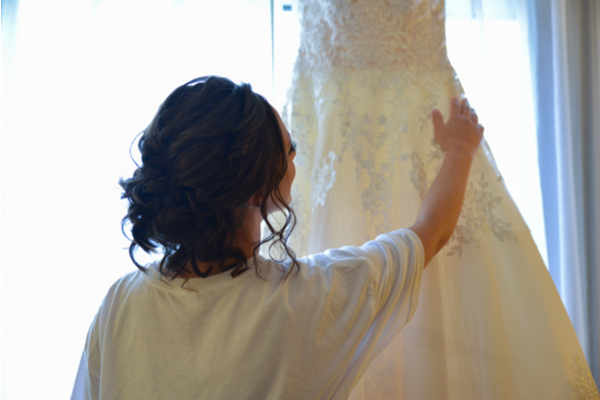 This spring wedding was absolutely astonishing! 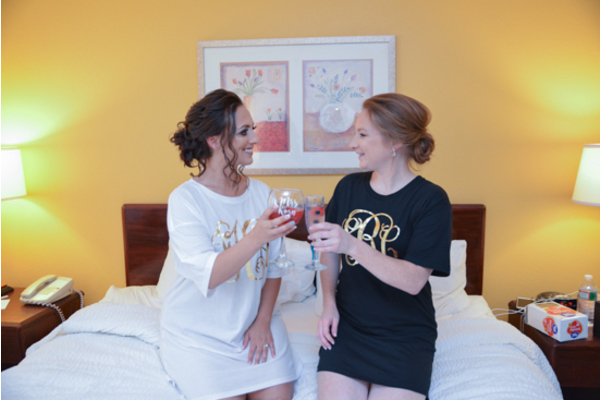 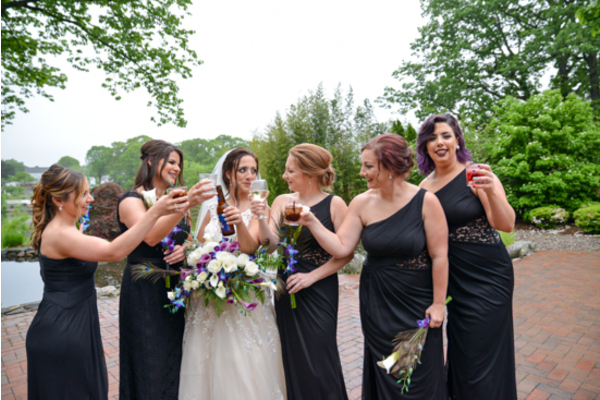 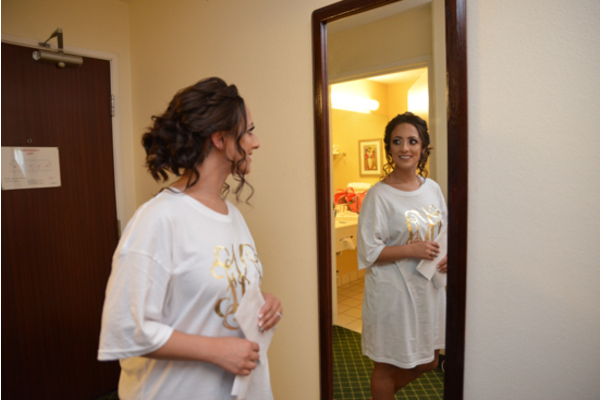 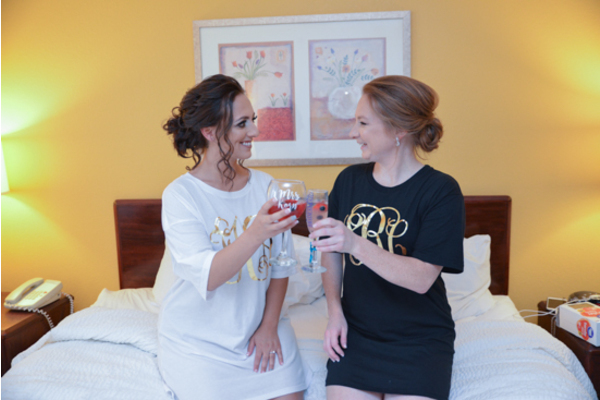 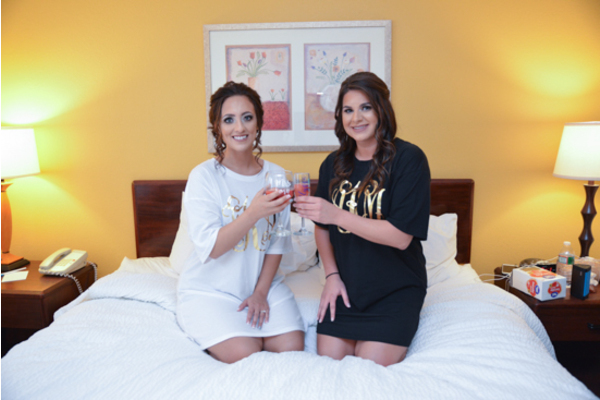 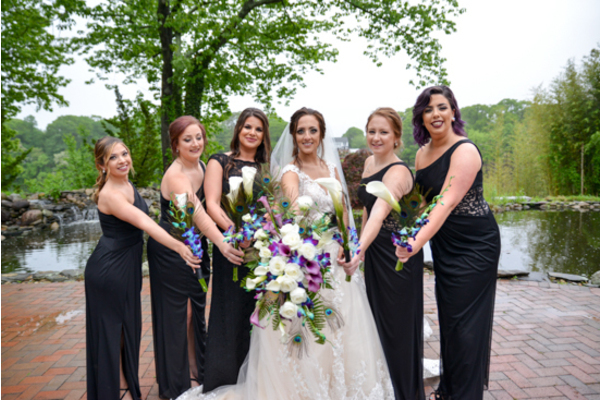 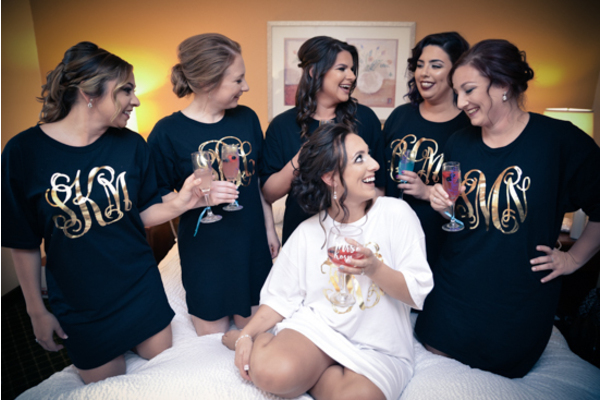 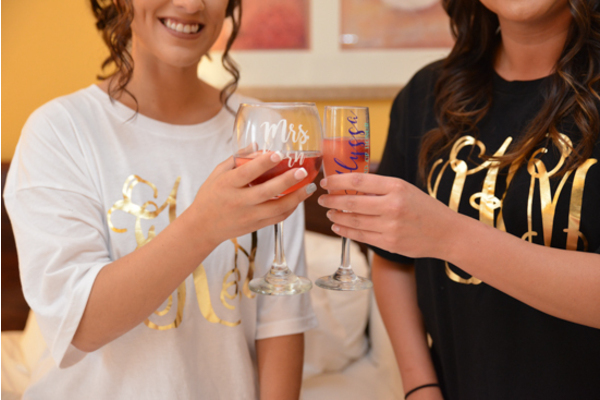 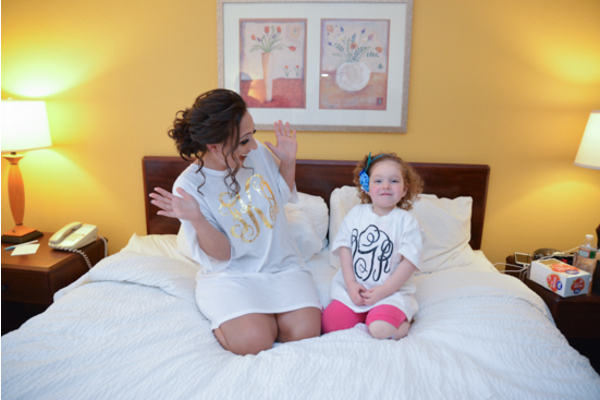 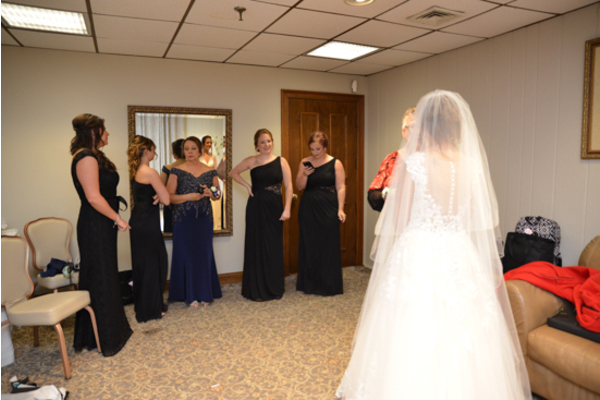 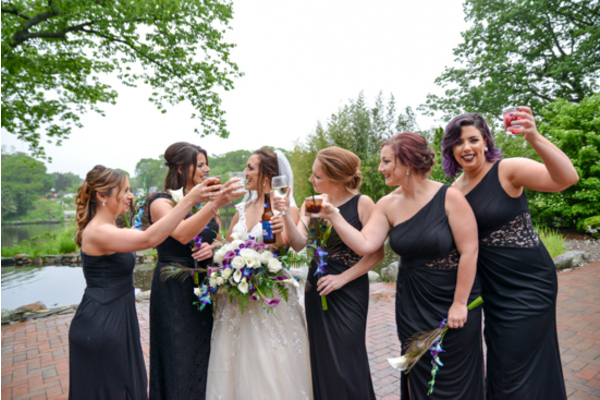 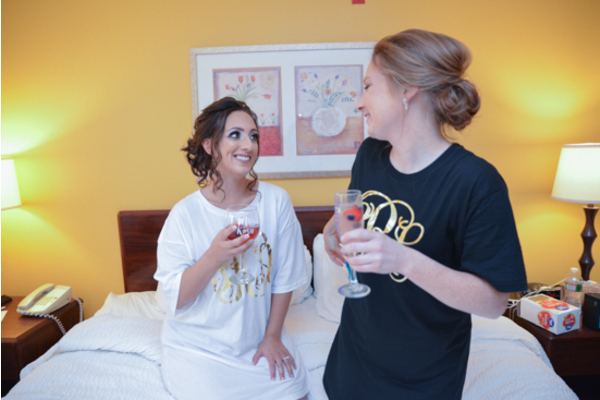 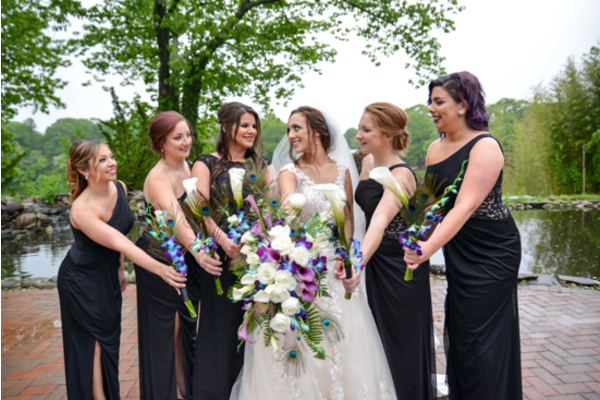 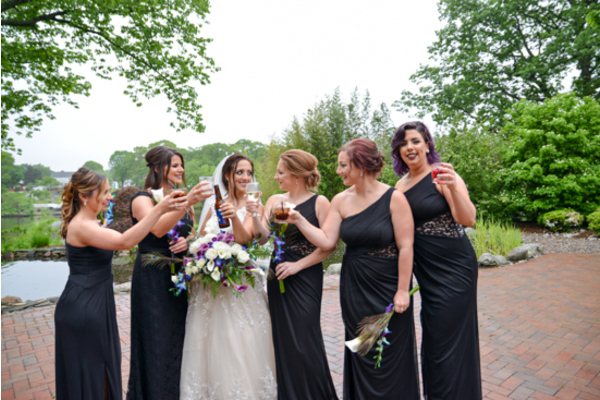 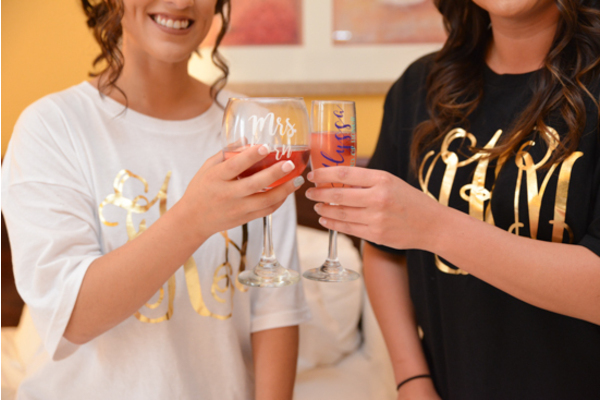 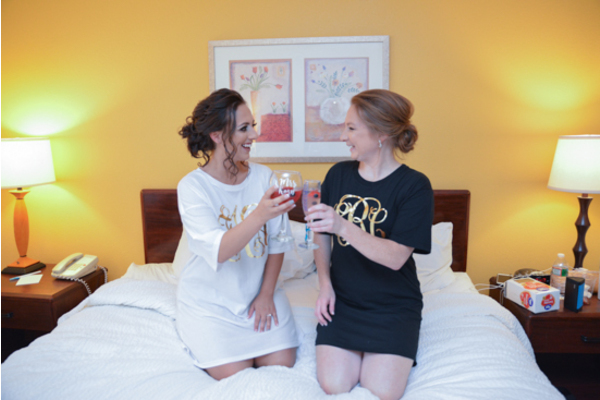 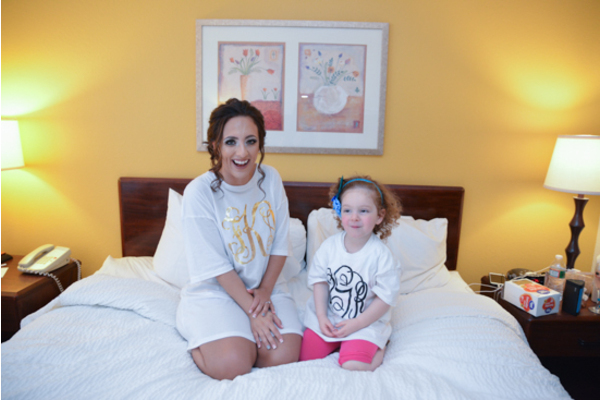 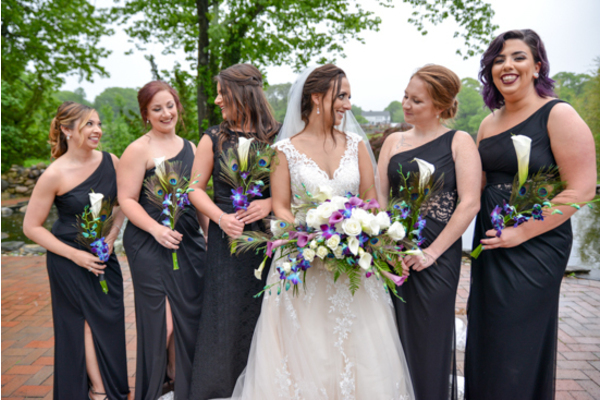 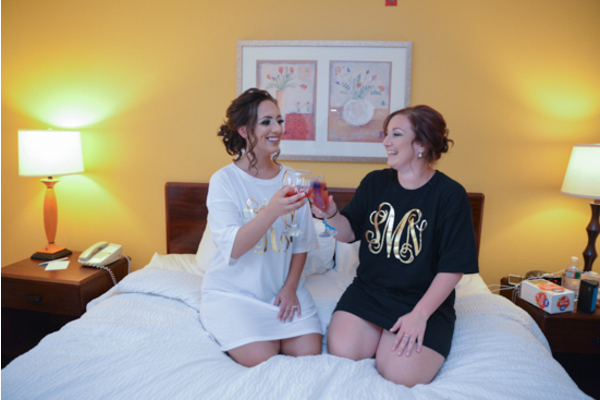 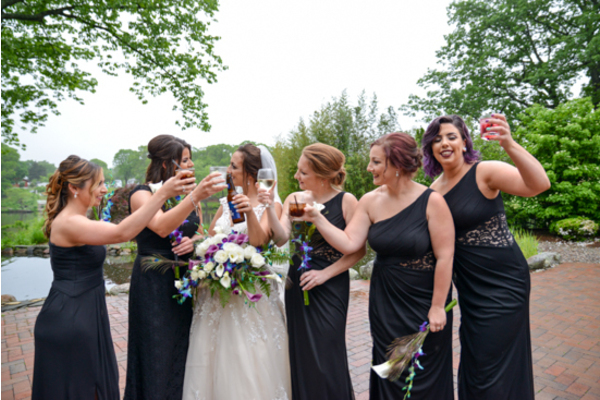 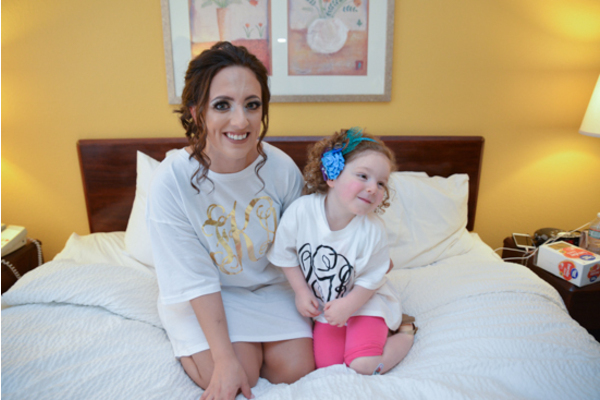 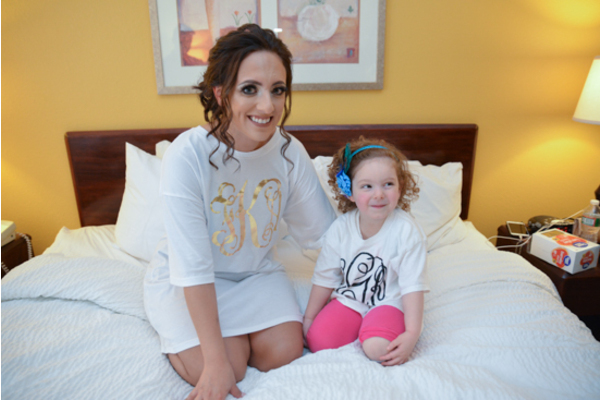 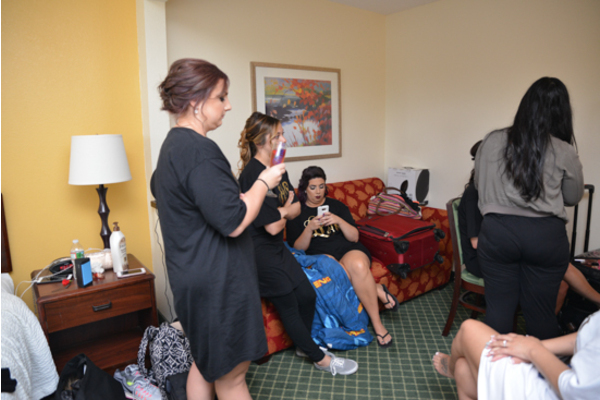 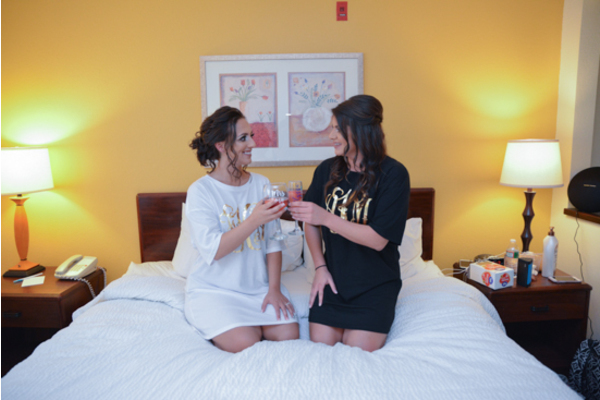 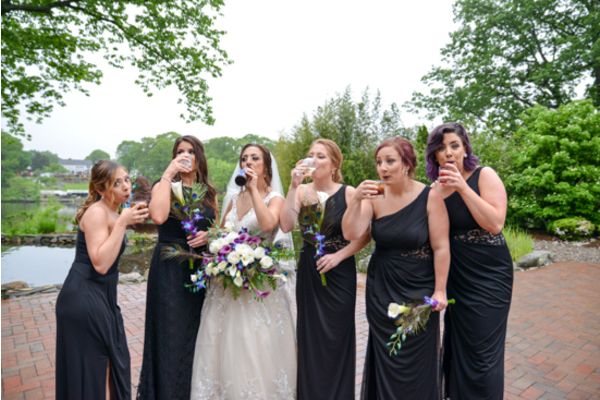 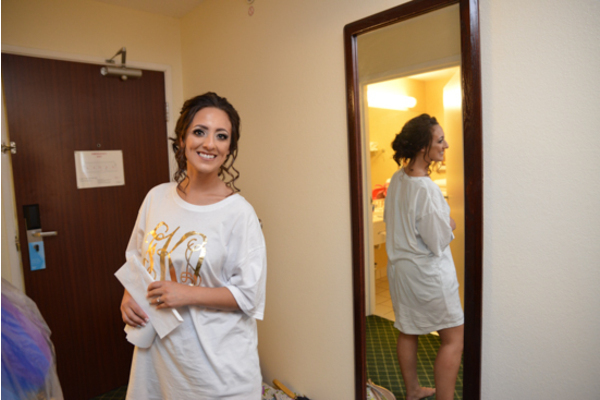 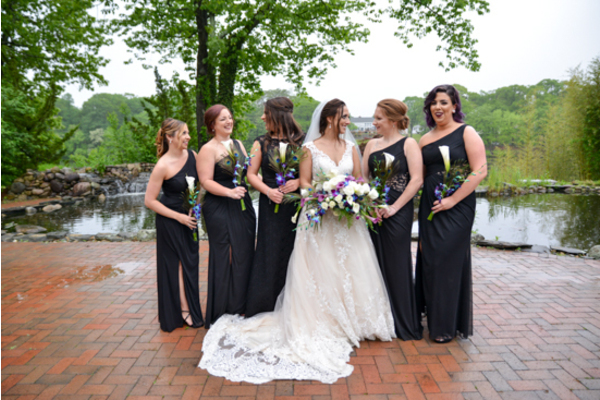 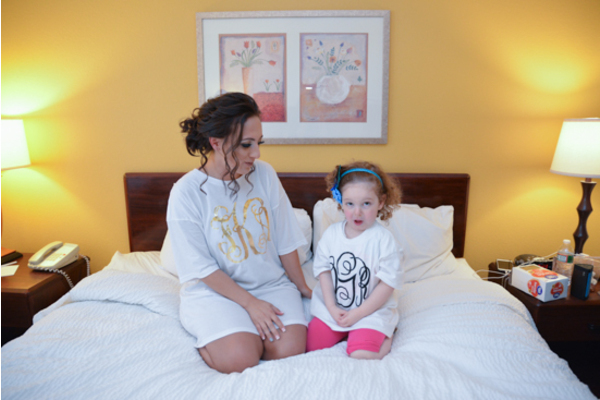 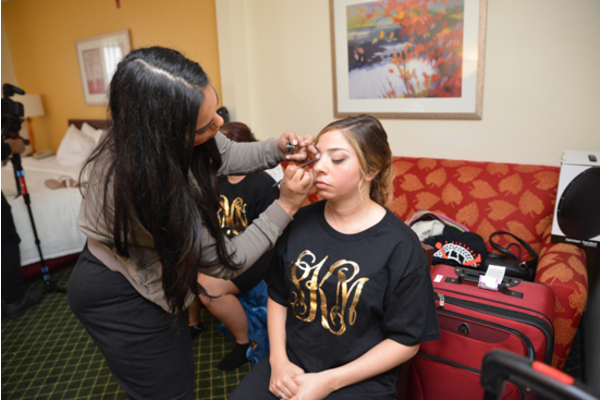 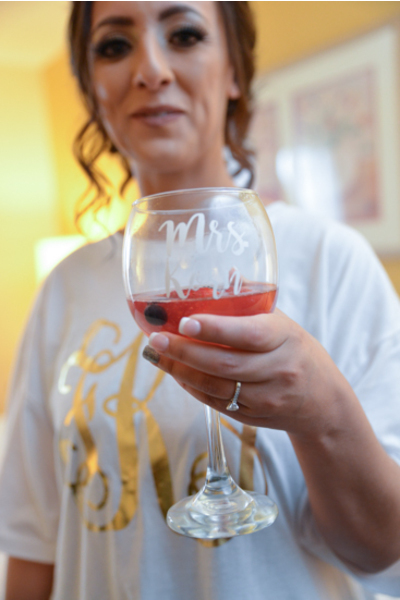 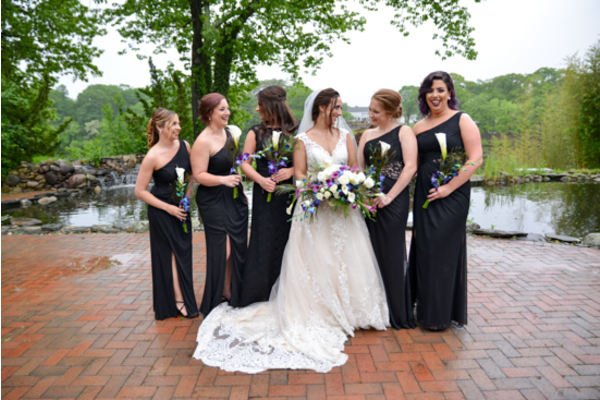 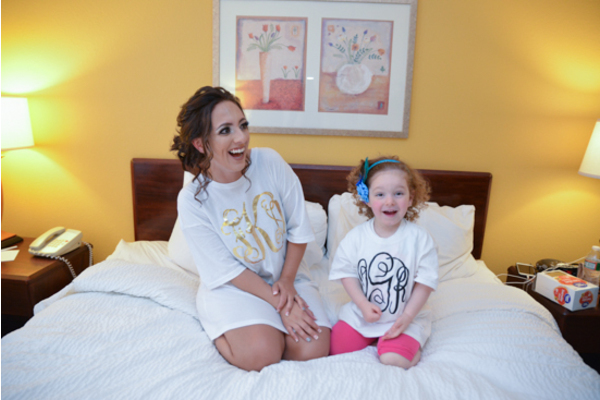 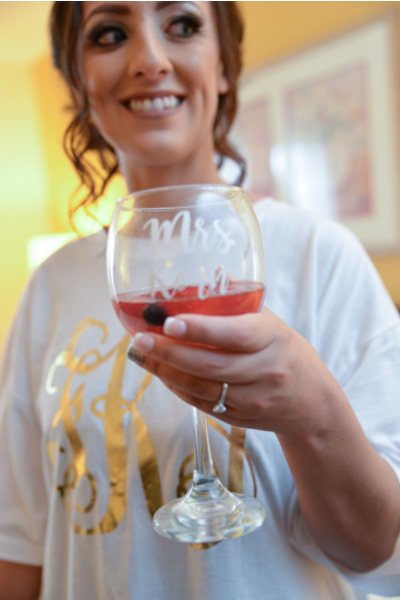 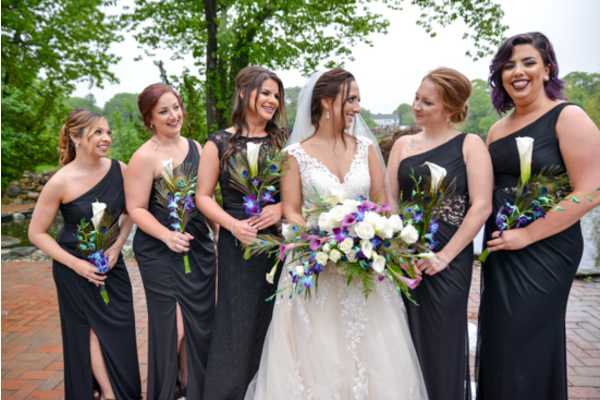 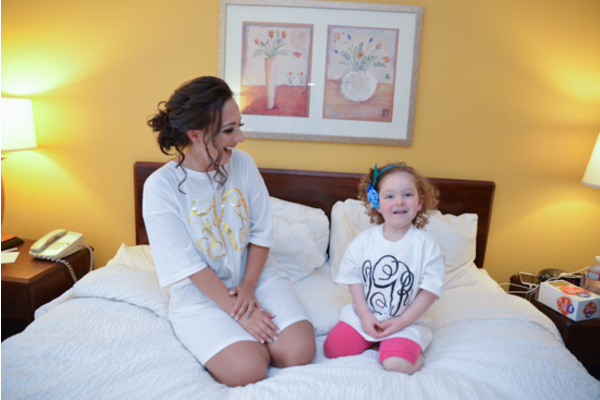 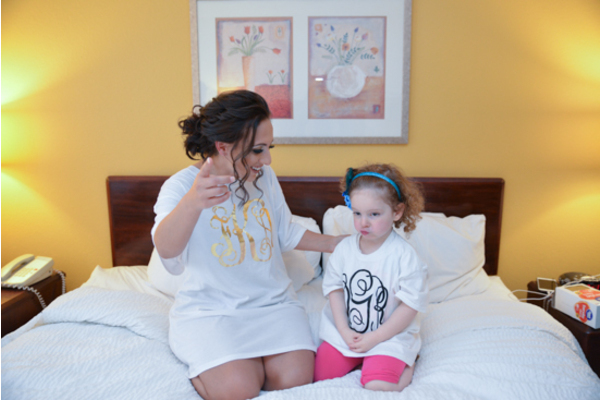 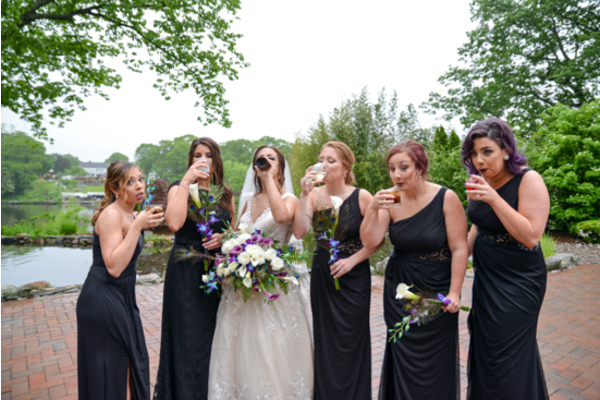 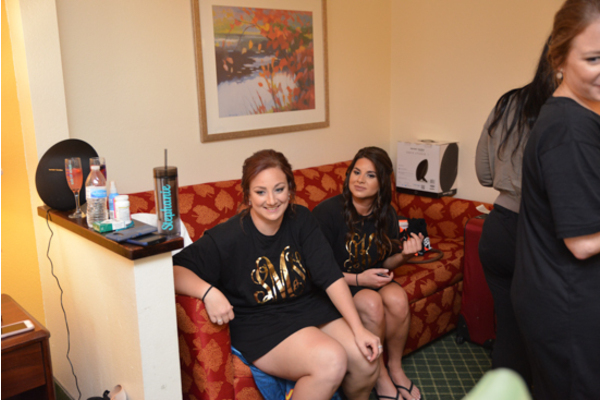 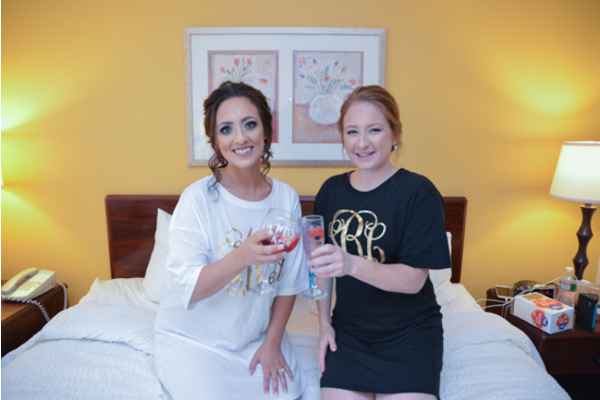 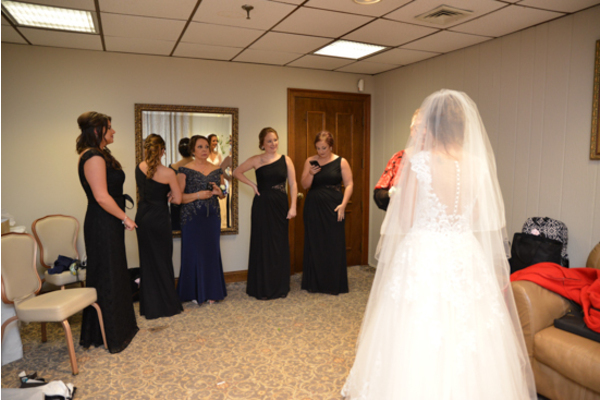 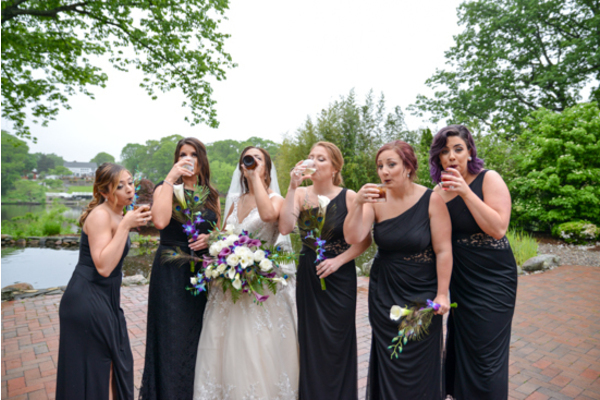 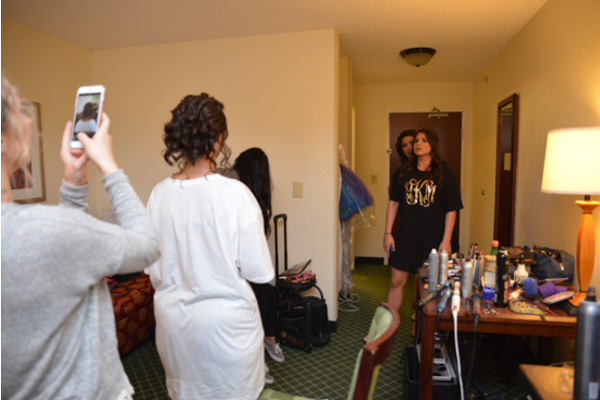 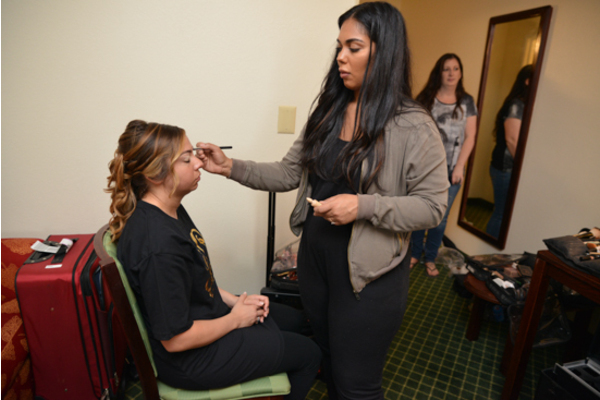 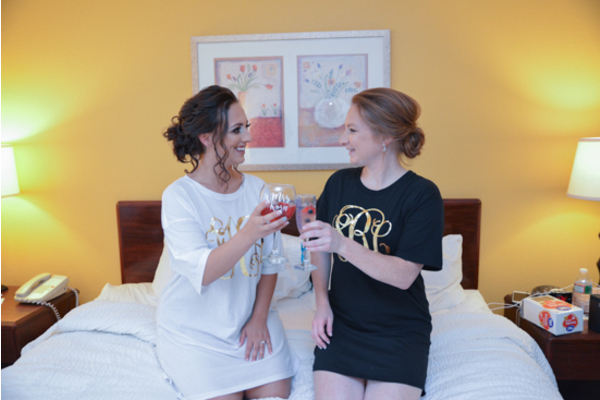 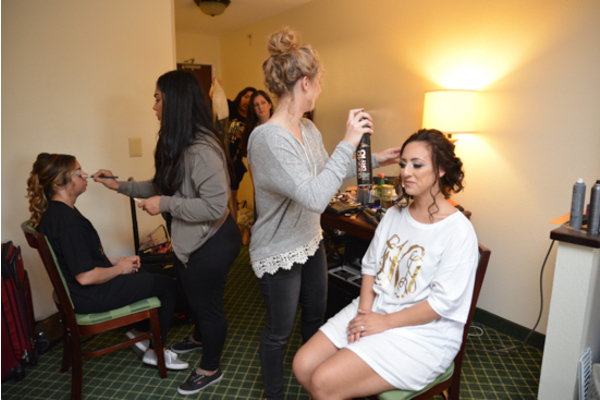 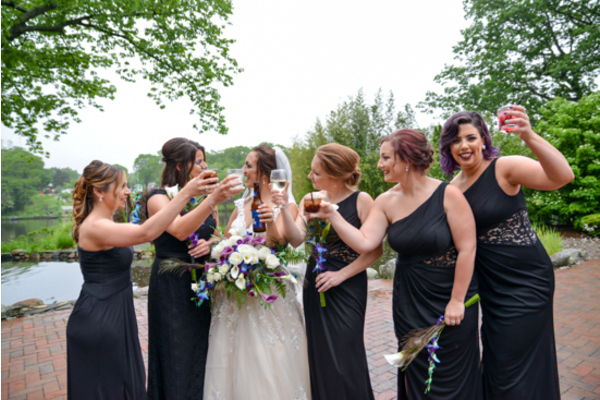 First, our NJ Wedding Photographer captured photos of Fawn and her bridesmaids wearing matching shirts and getting ready for the ceremony. 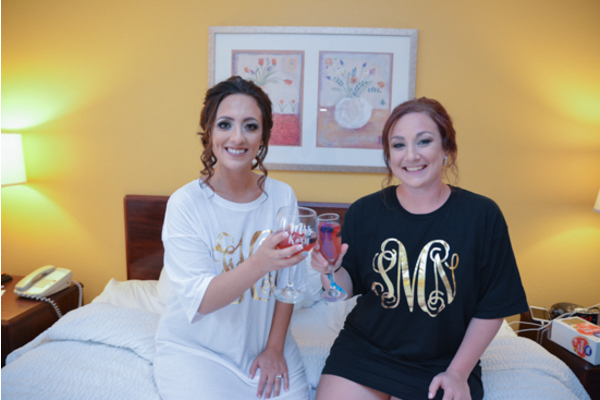 Fawn relaxed while getting her hair done by sipping on some wine! 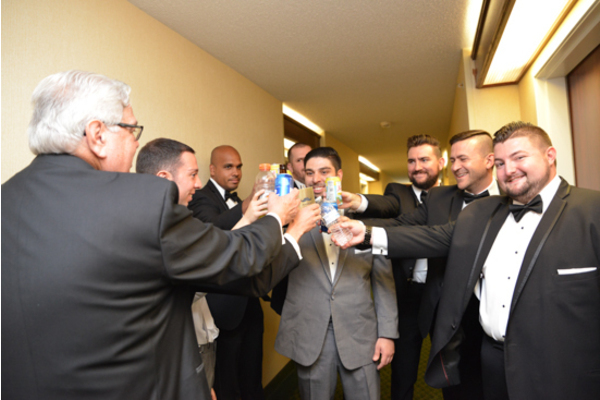 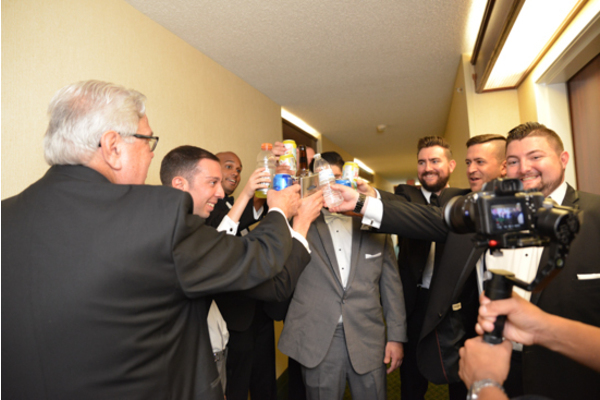 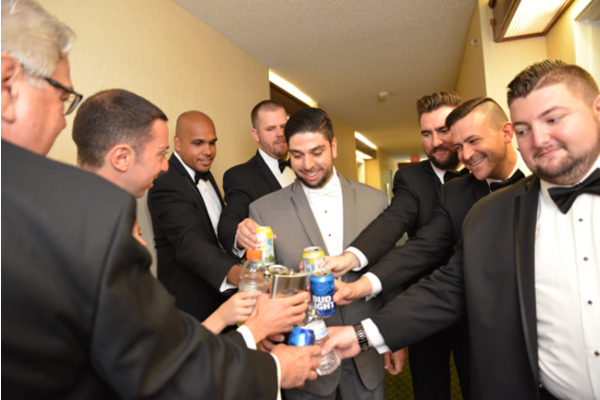 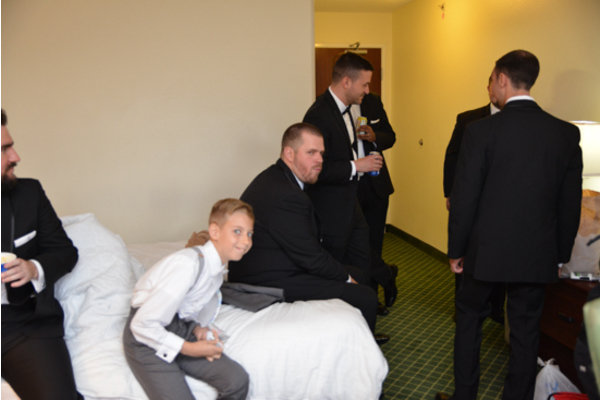 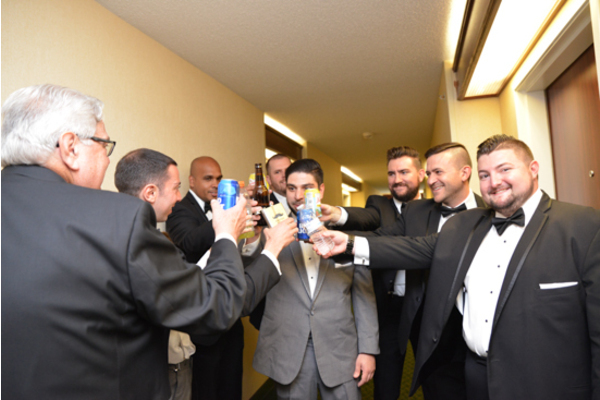 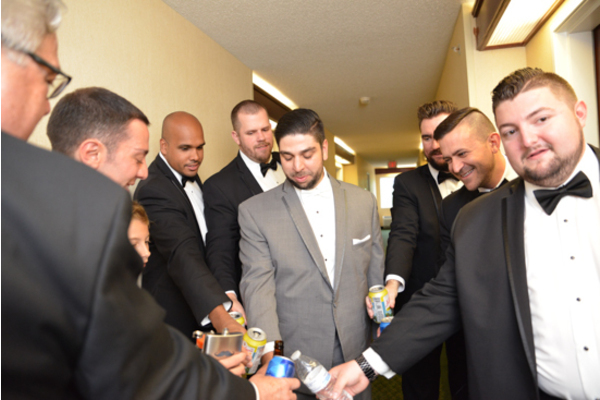 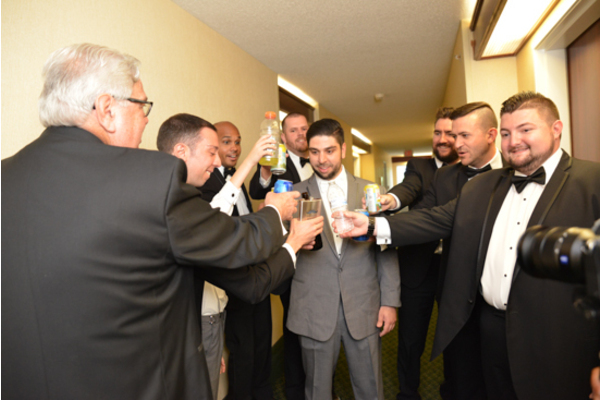 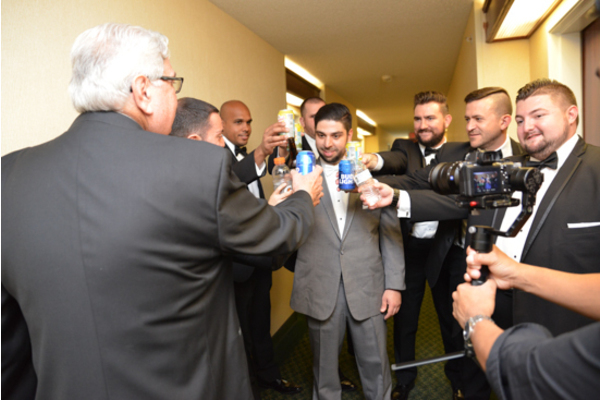 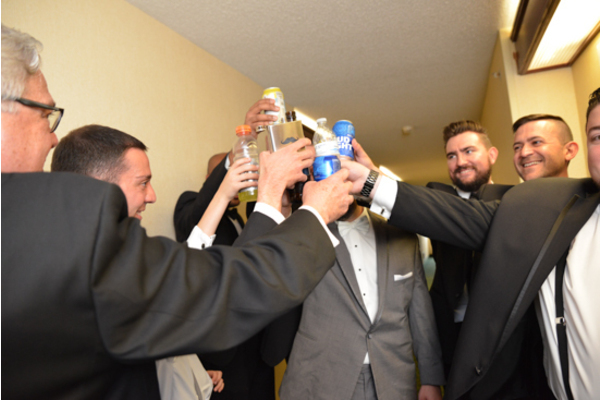 Matt also posed for the camera with his groomsmen, and they all shared a few laughs while toasting to his new life. 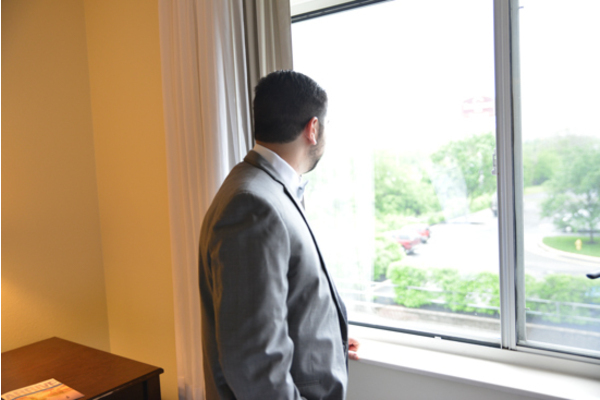 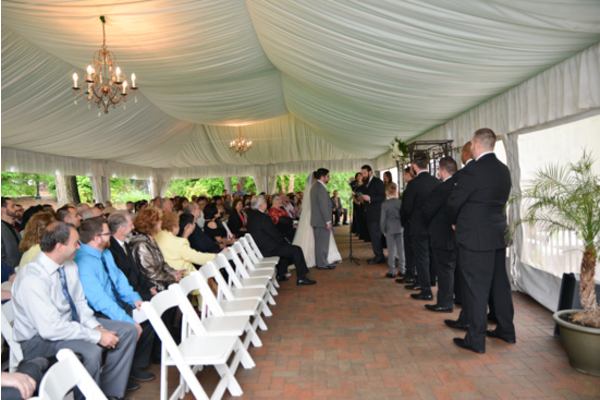 Next, the wedding party headed outside to watch the beautiful couple tie the knot. 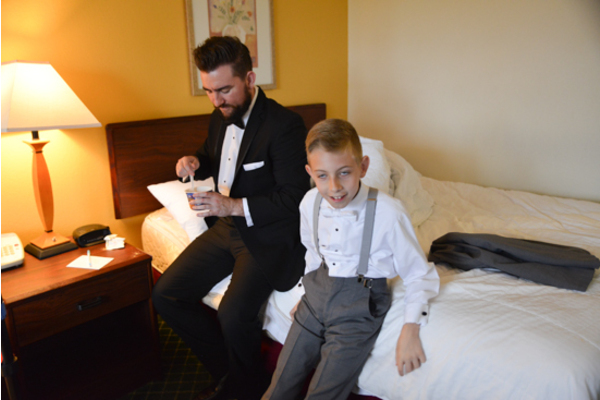 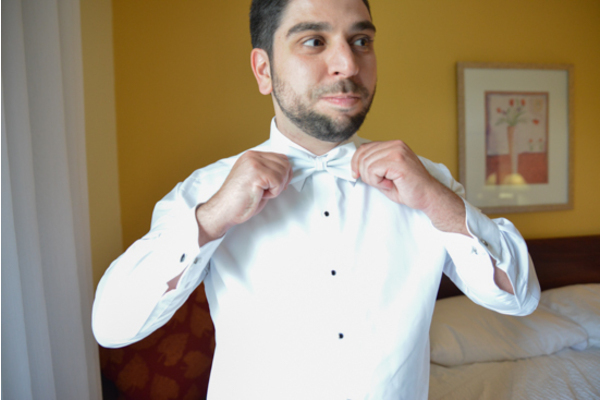 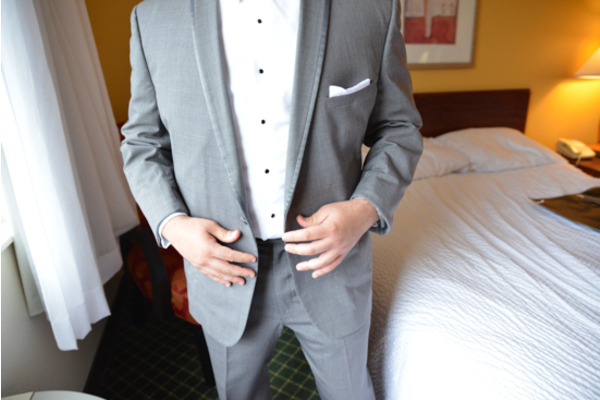 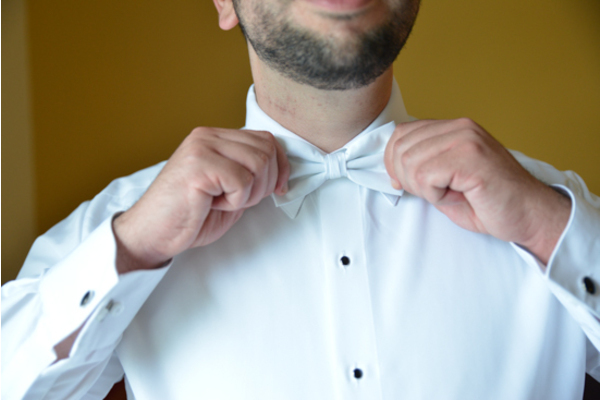 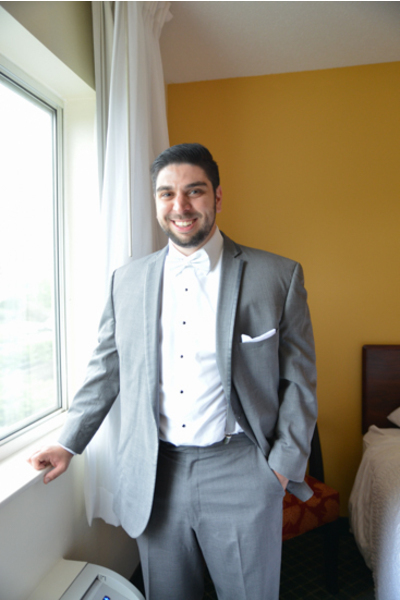 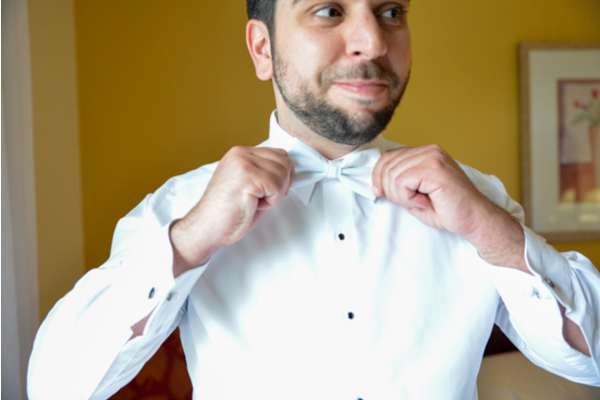 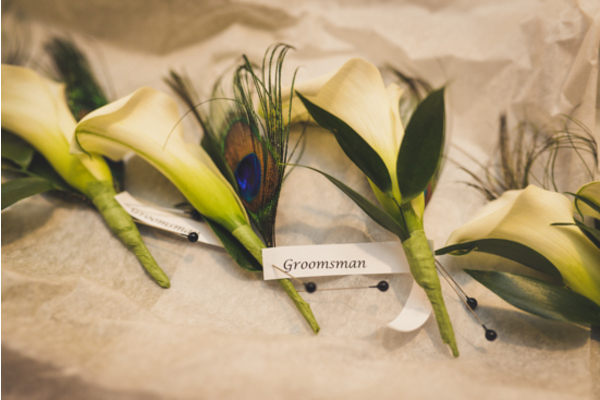 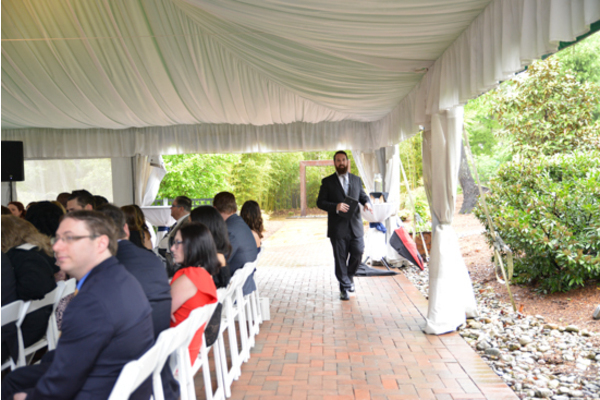 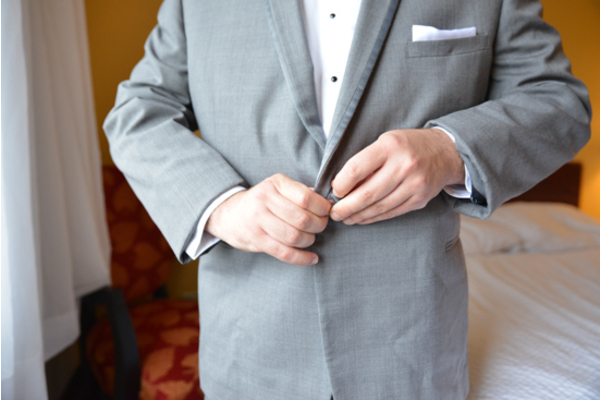 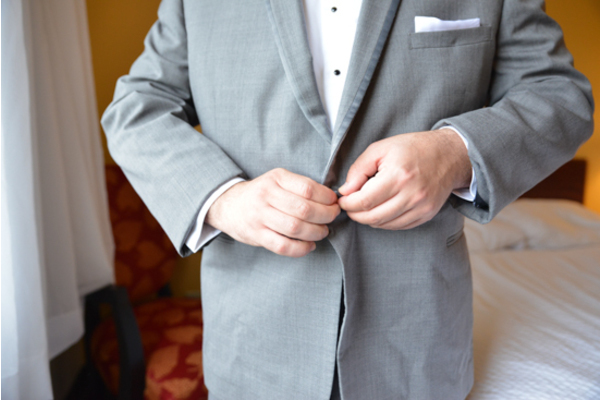 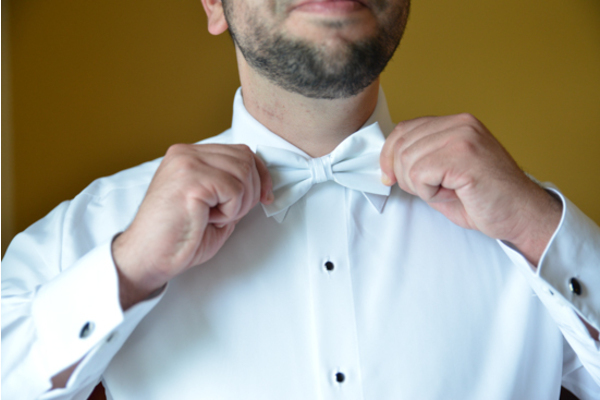 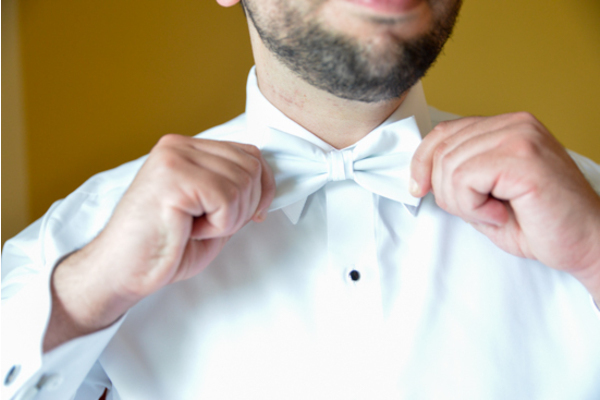 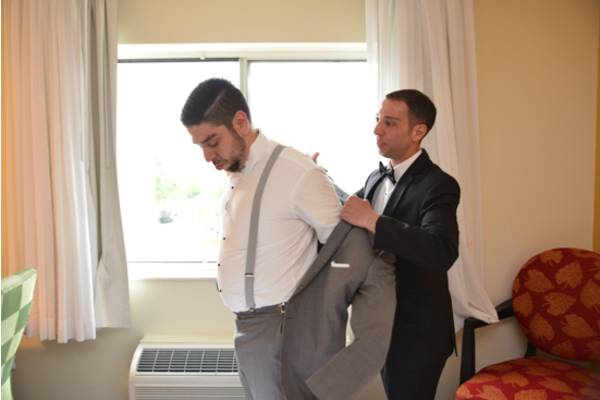 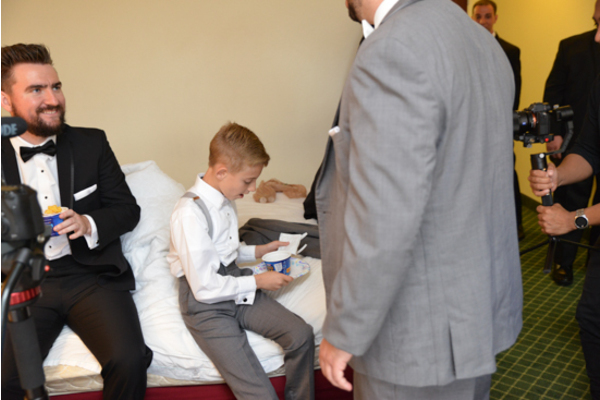 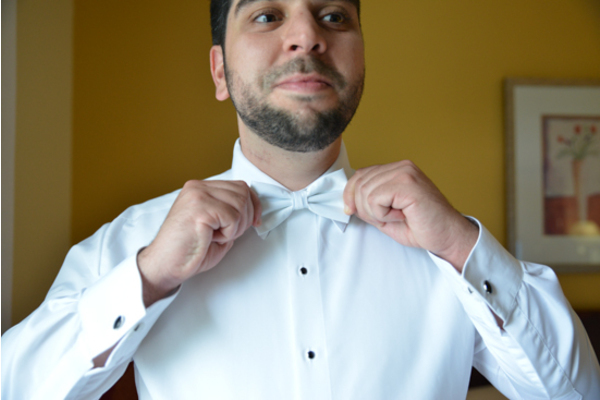 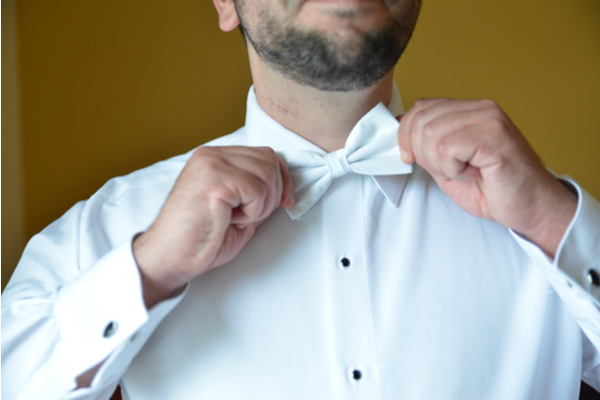 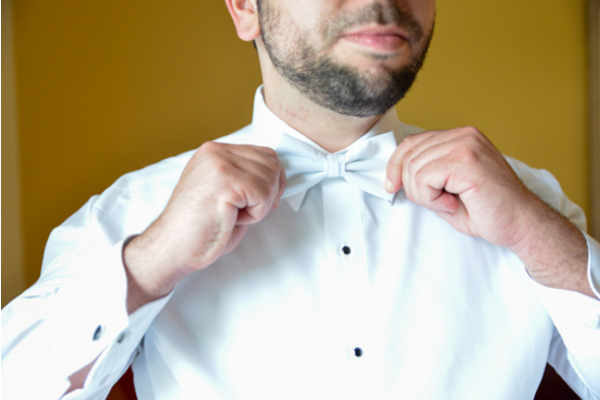 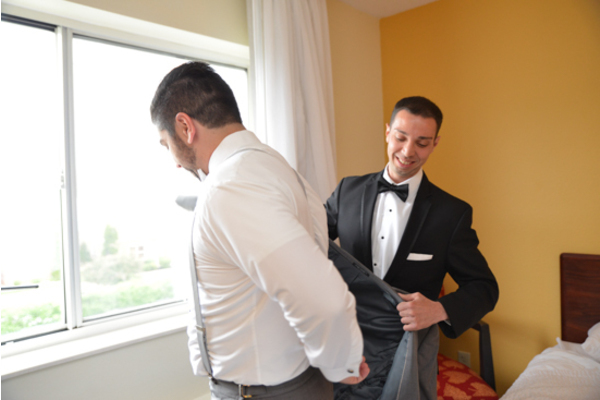 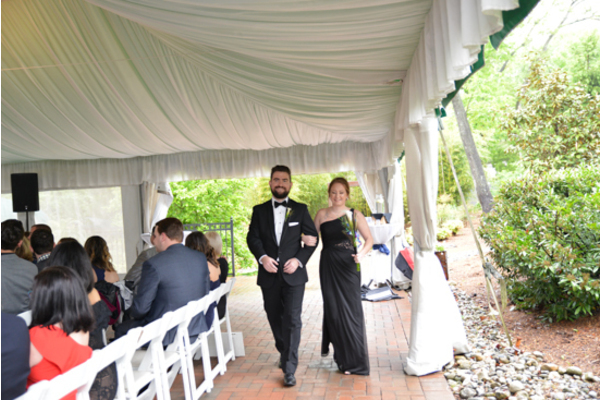 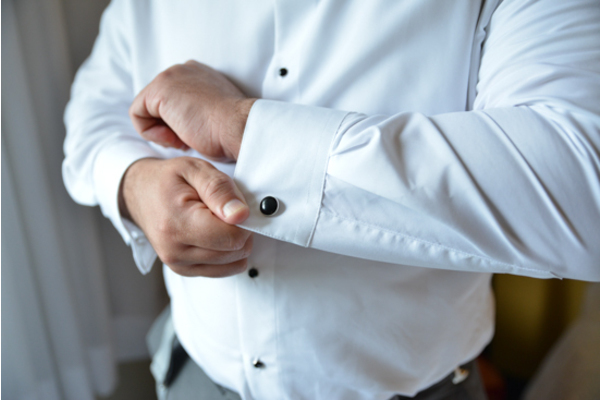 As Fawn walked down the aisle, Matt waited at the other end with a huge smile on his face. 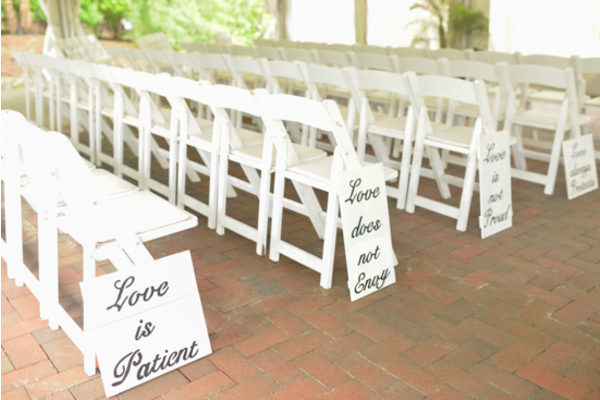 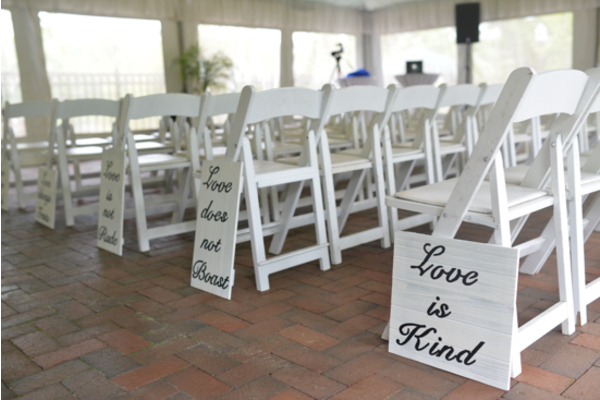 Hand-in-hand, the couple read their touching vows to each other and sealed it with a kiss! 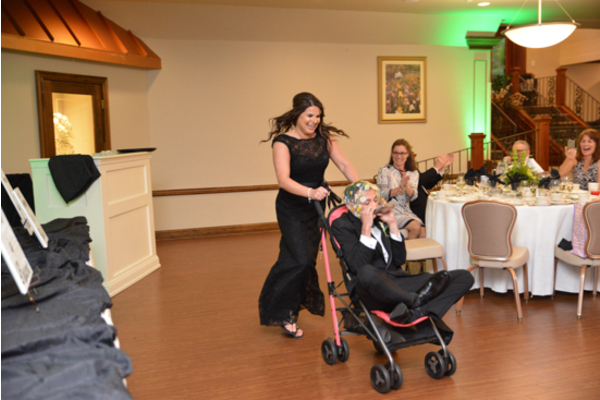 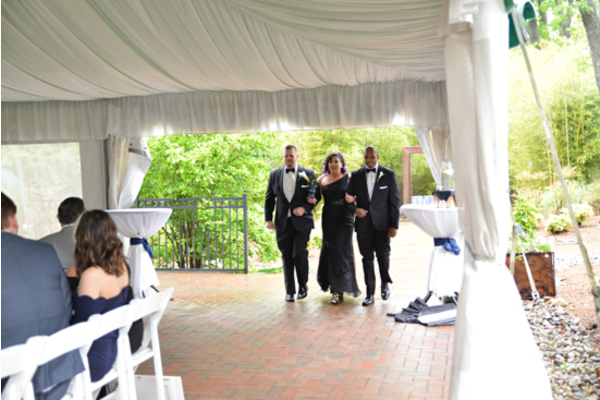 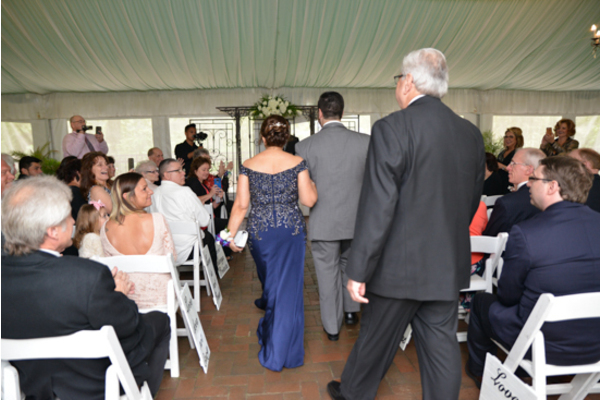 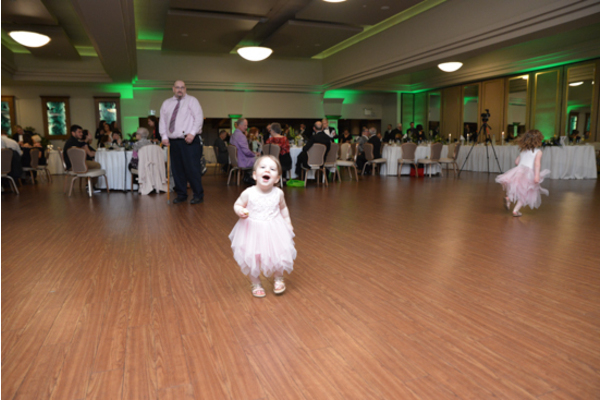 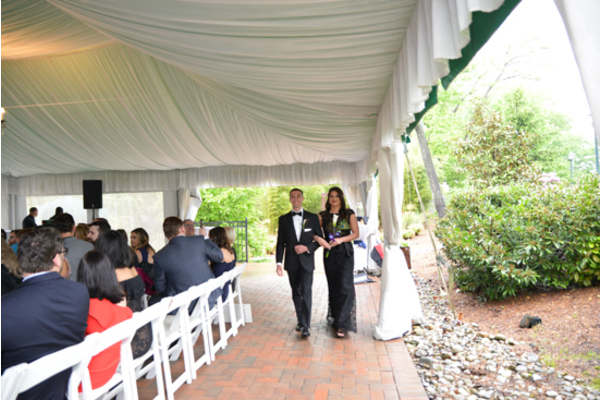 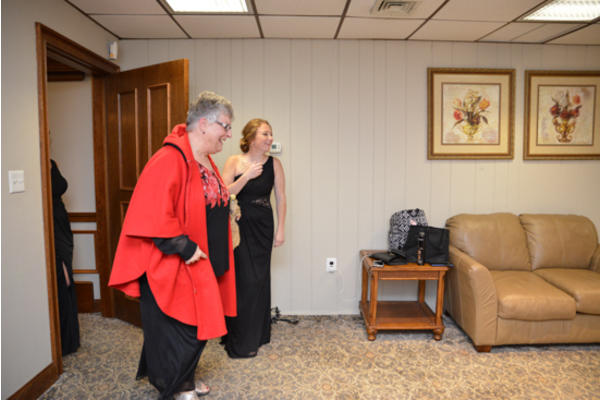 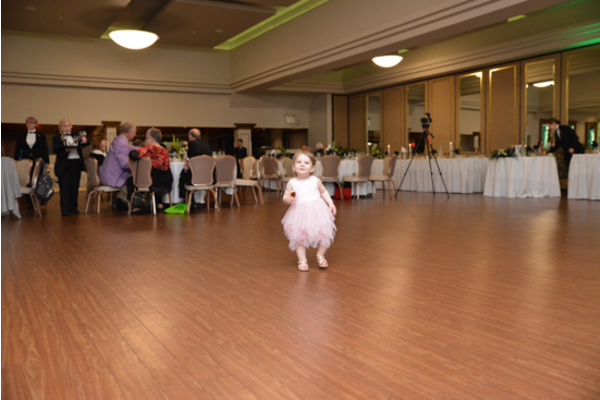 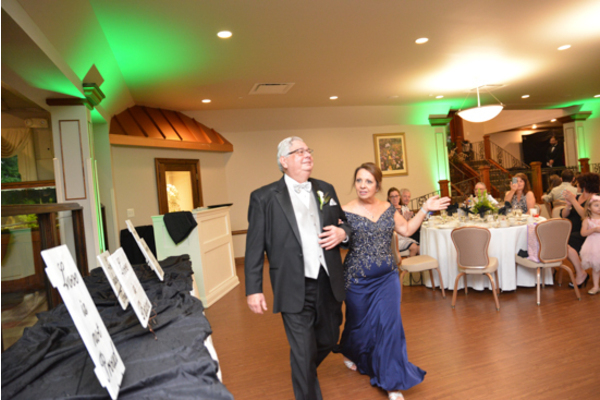 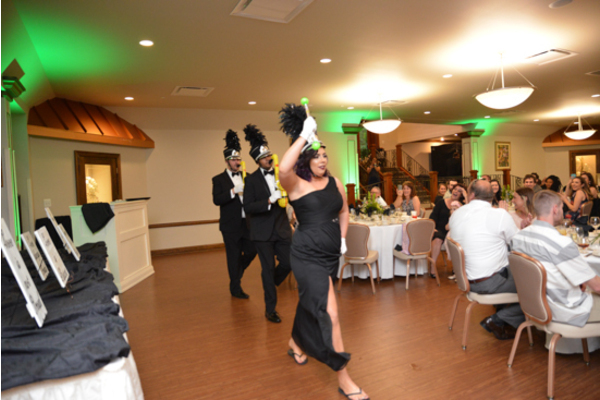 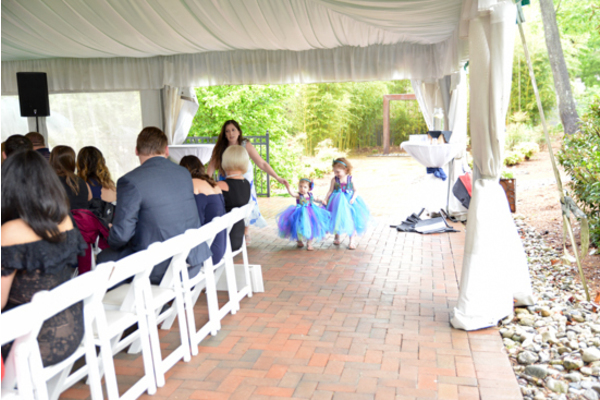 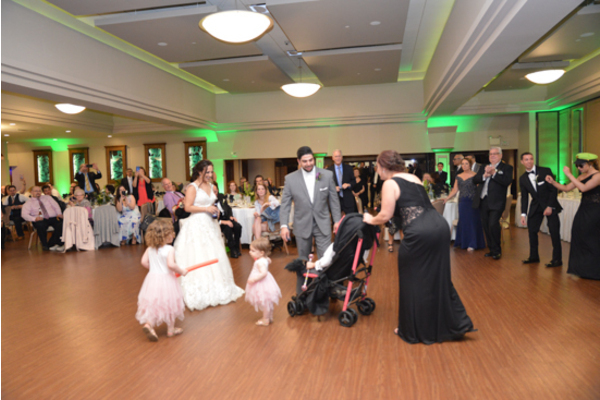 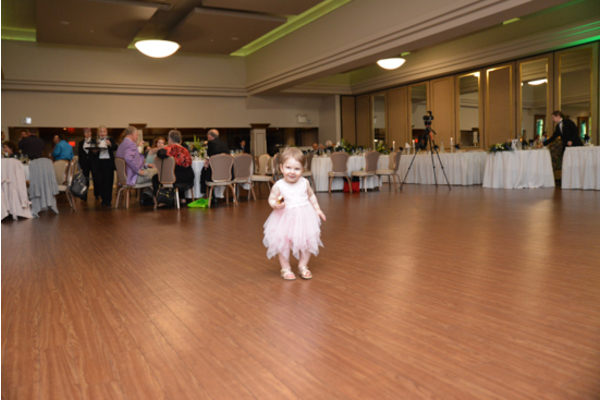 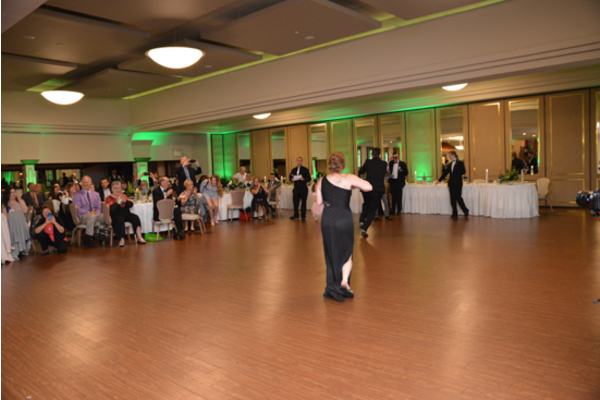 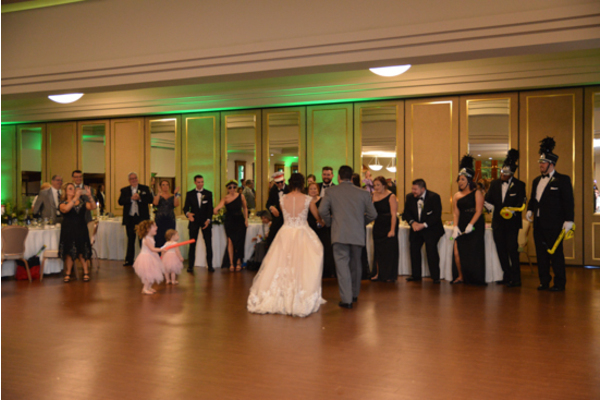 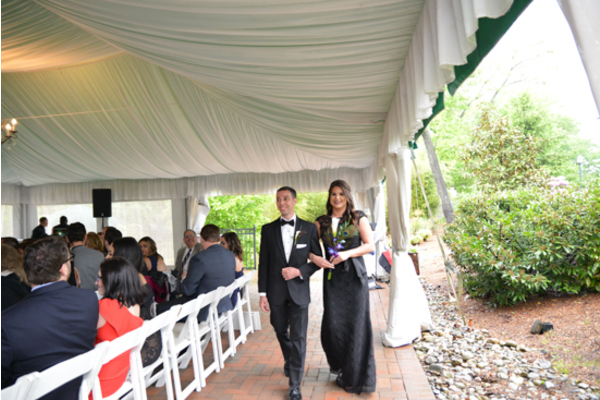 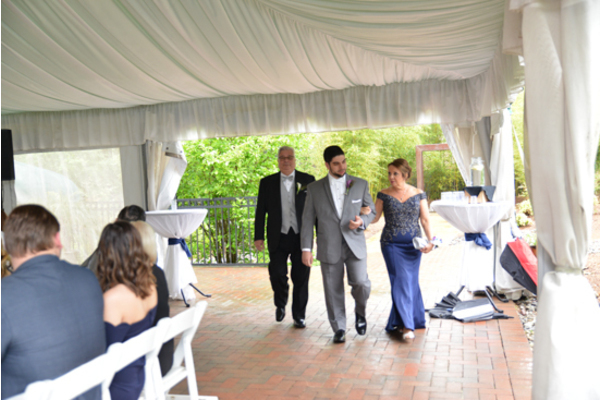 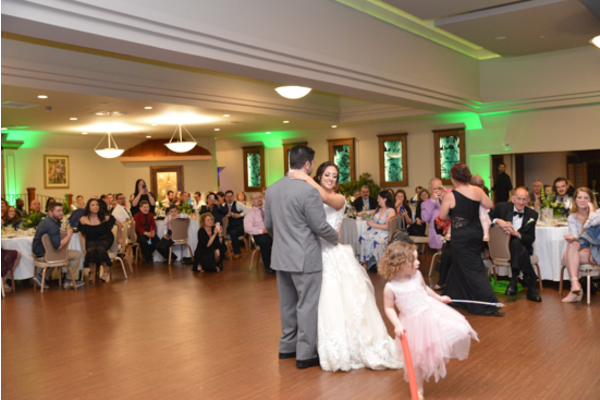 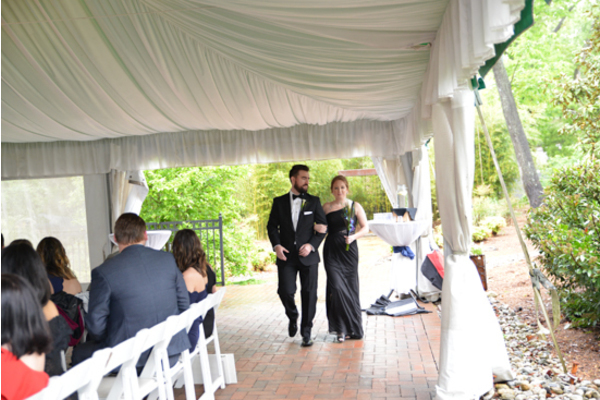 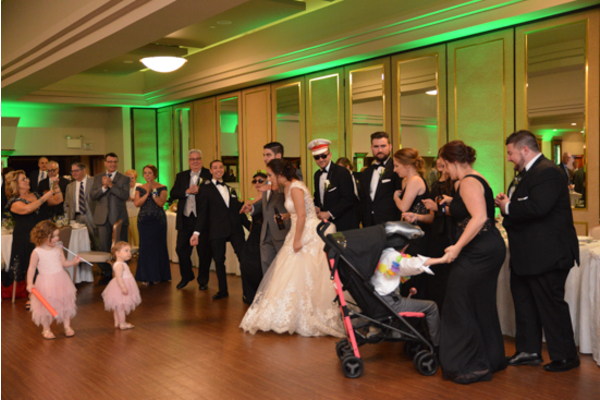 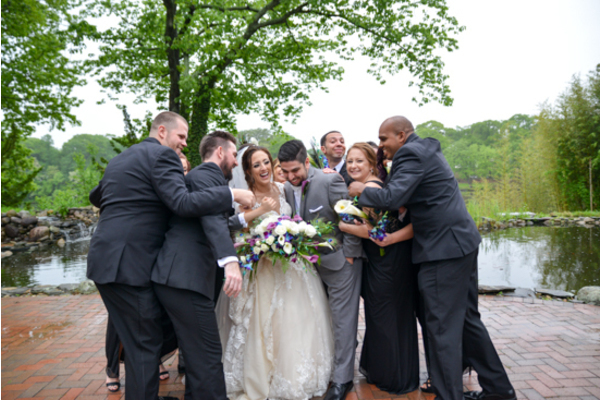 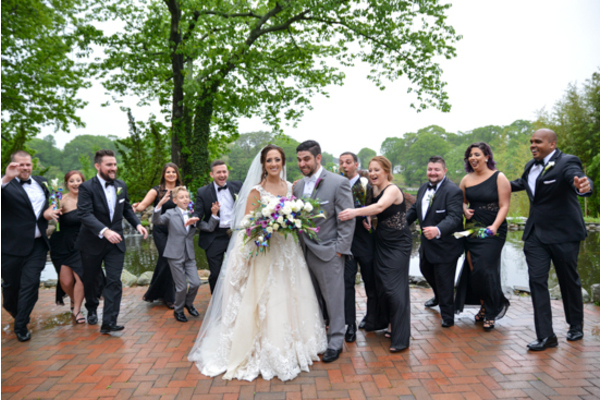 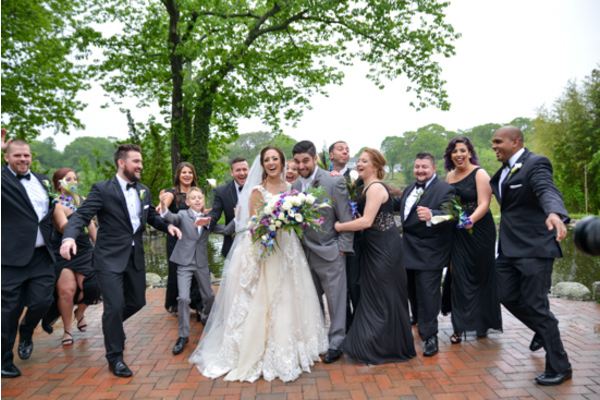 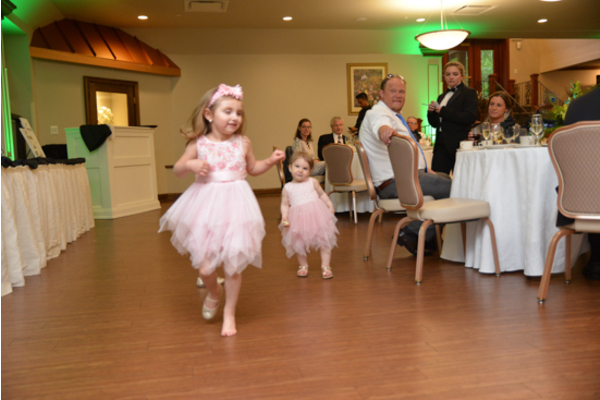 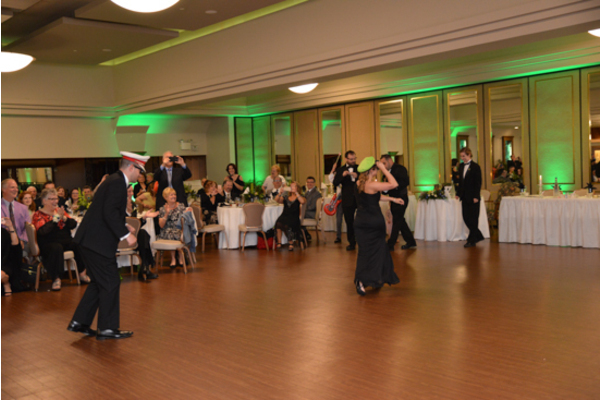 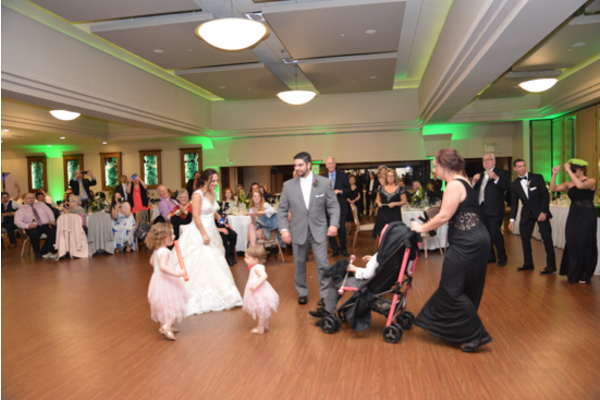 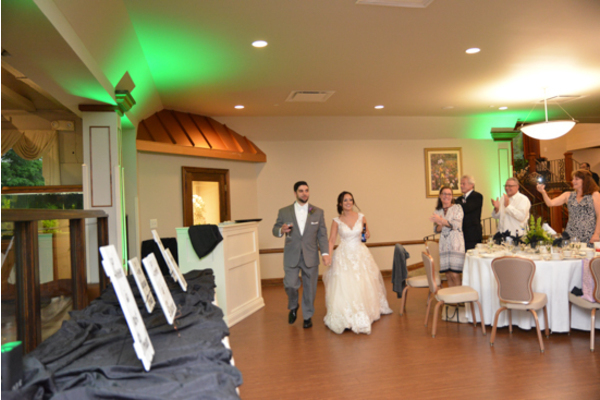 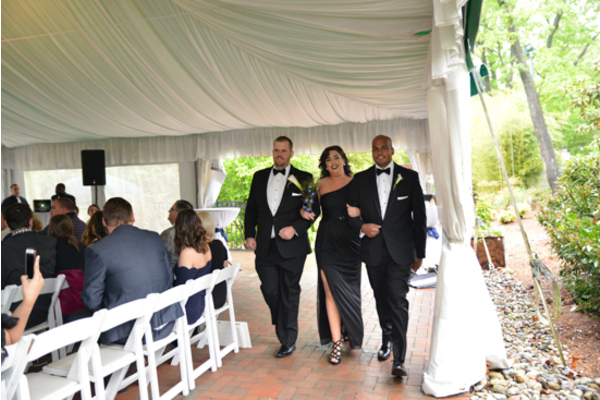 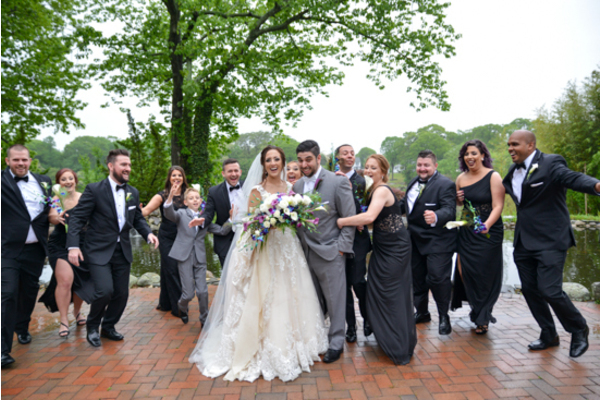 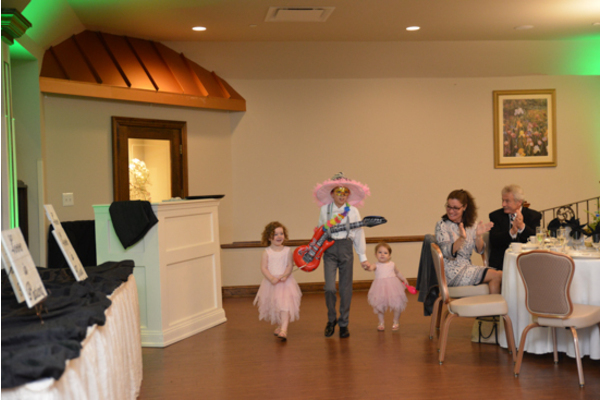 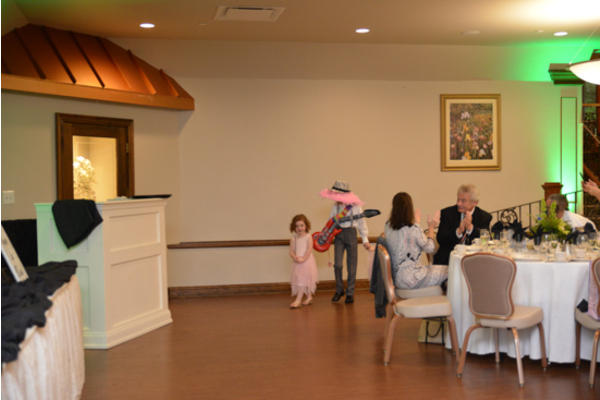 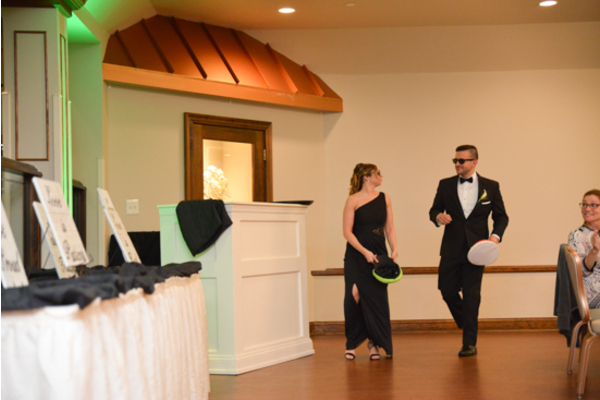 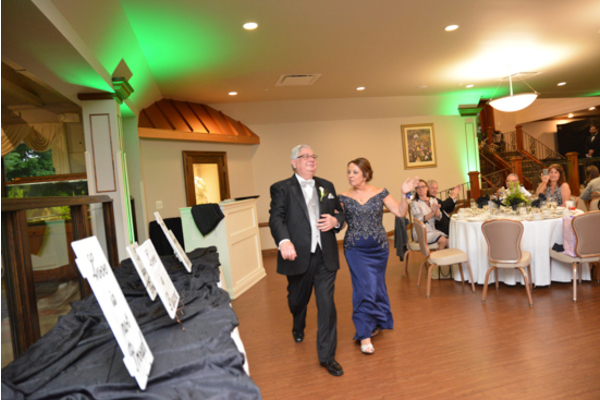 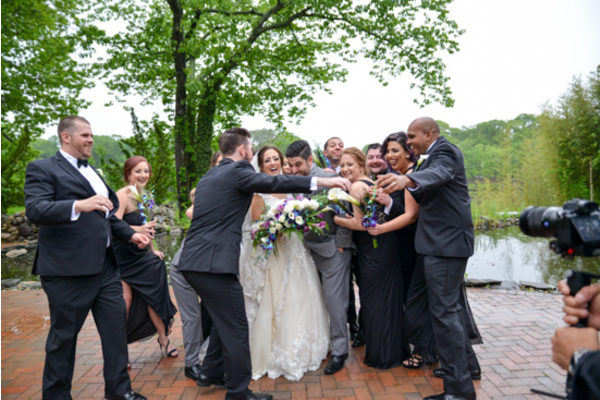 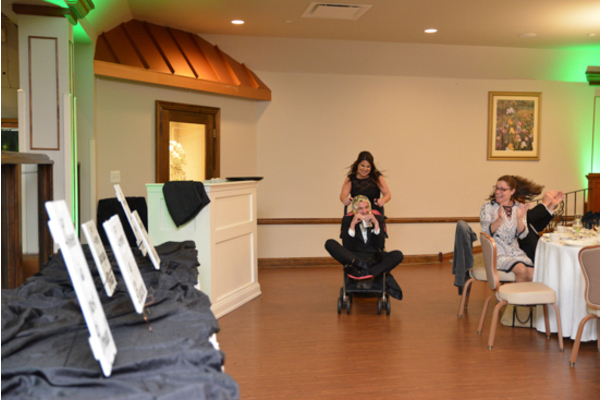 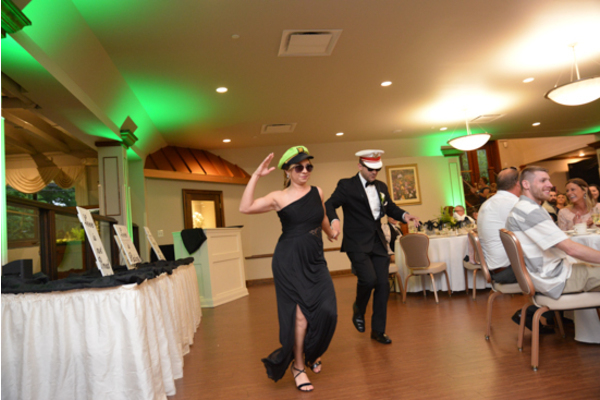 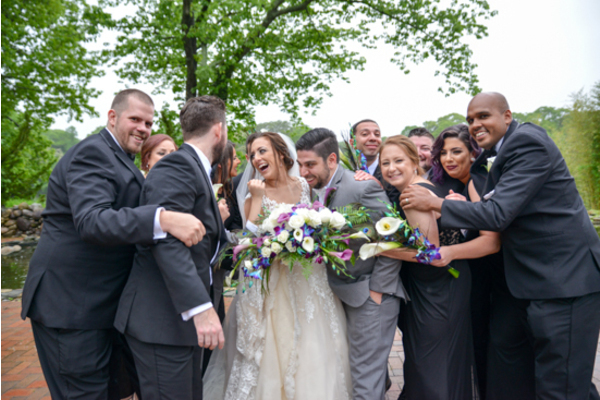 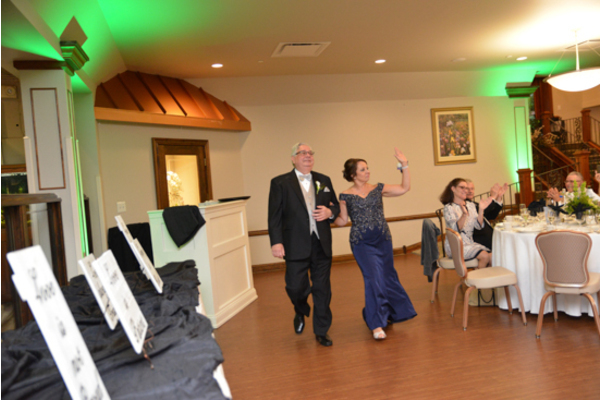 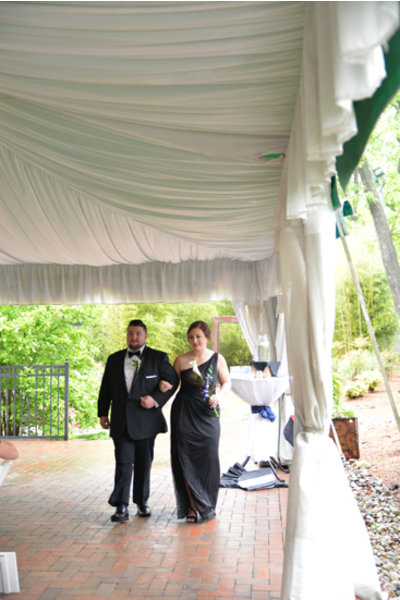 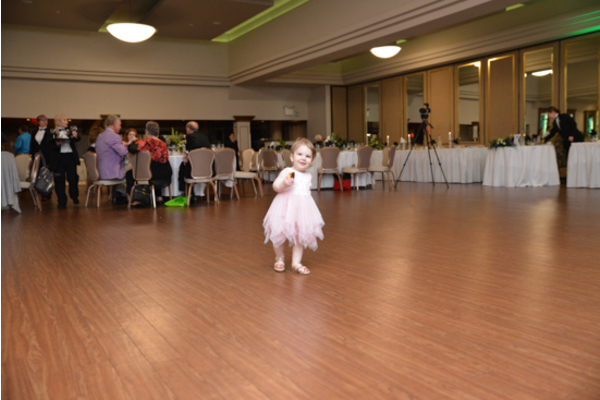 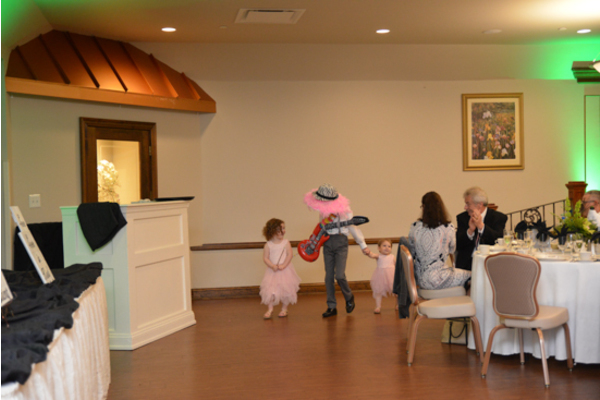 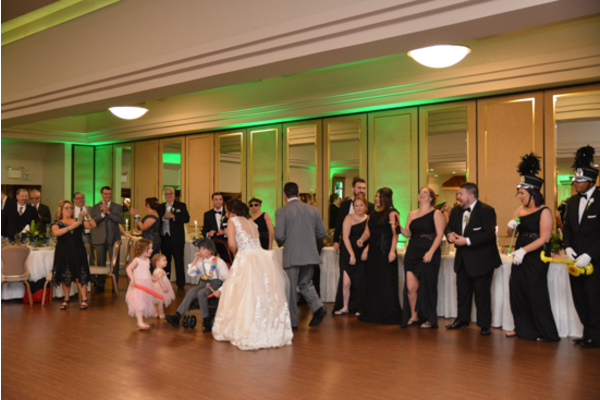 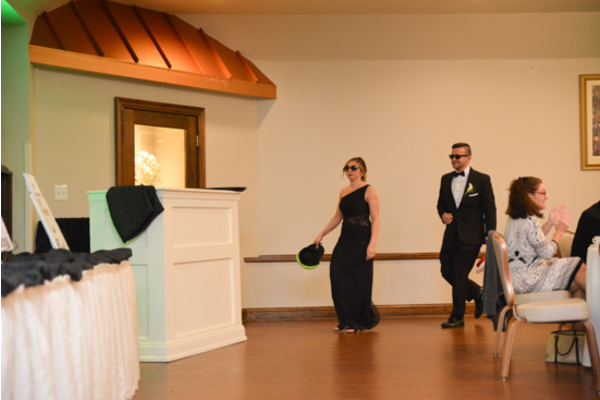 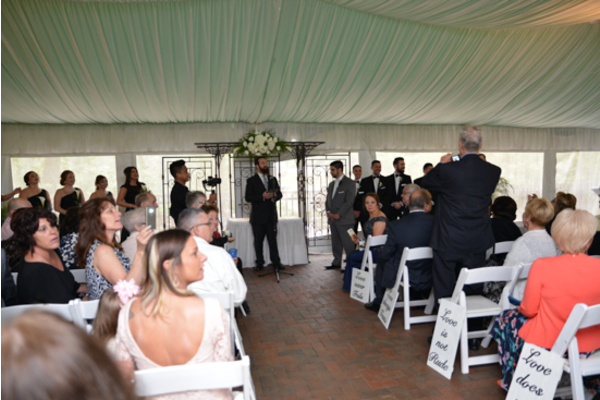 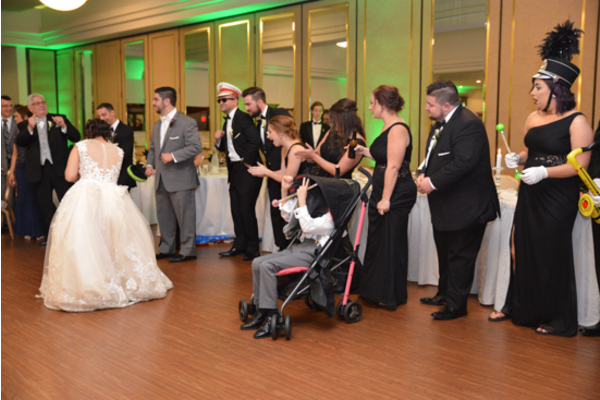 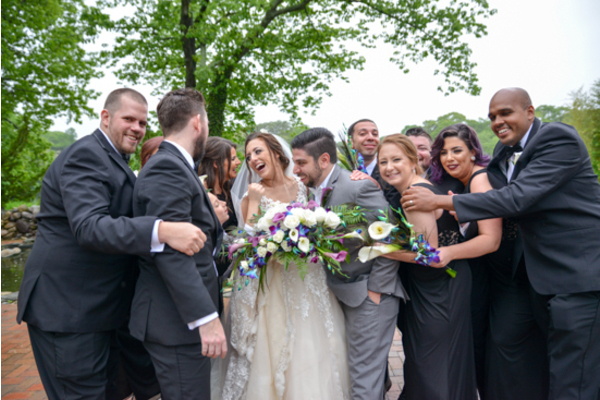 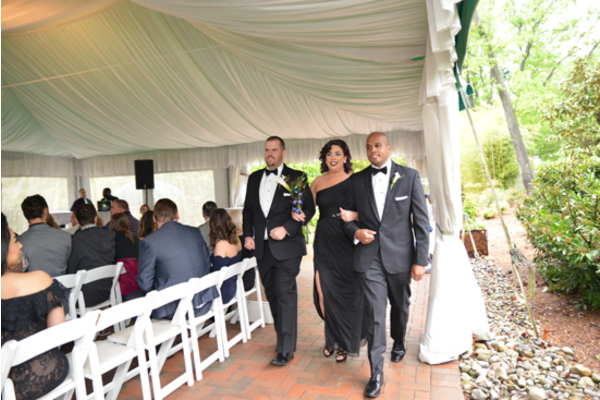 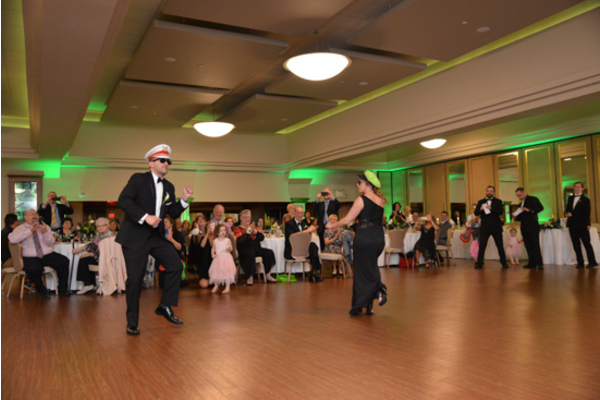 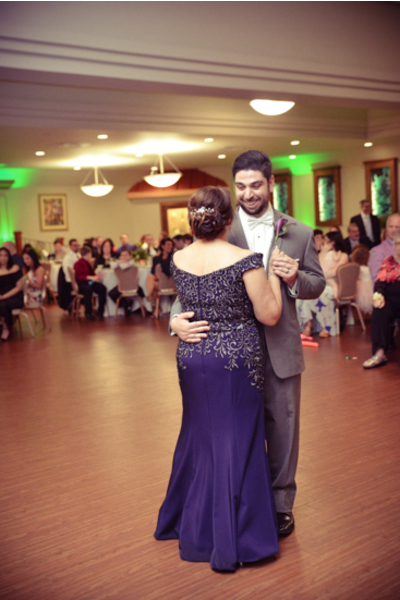 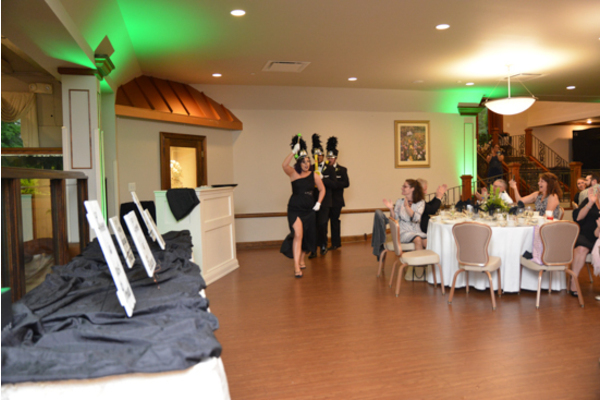 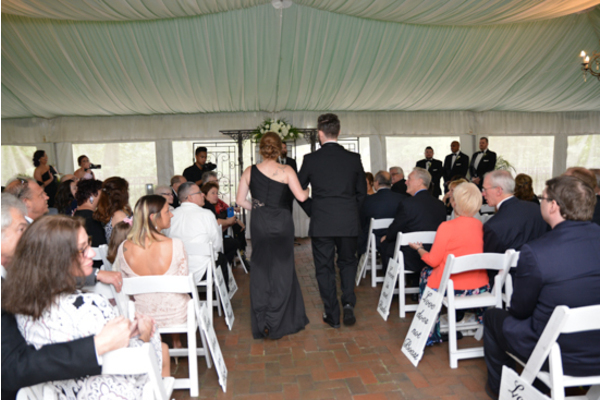 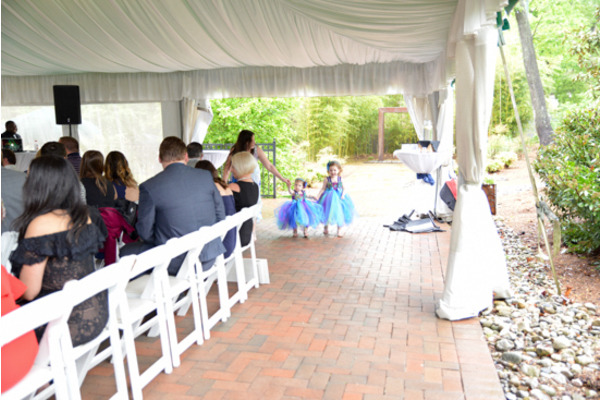 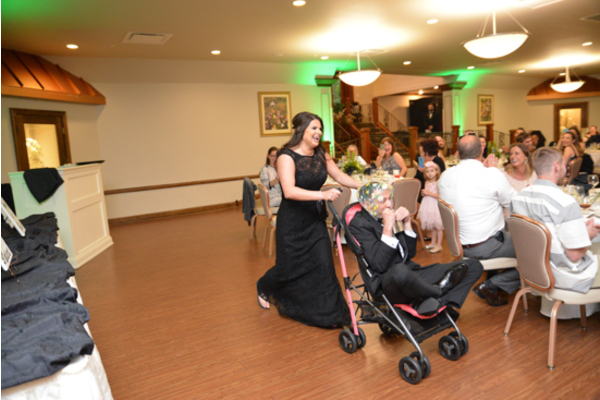 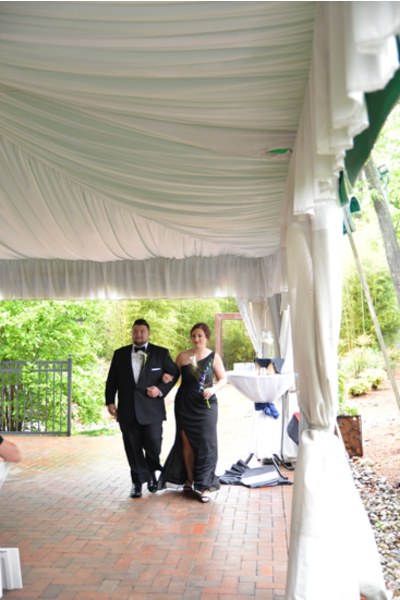 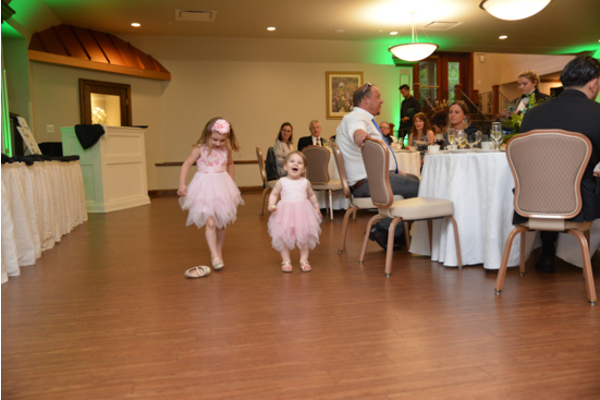 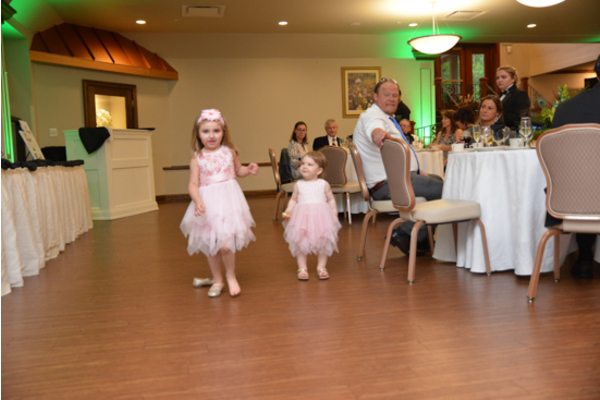 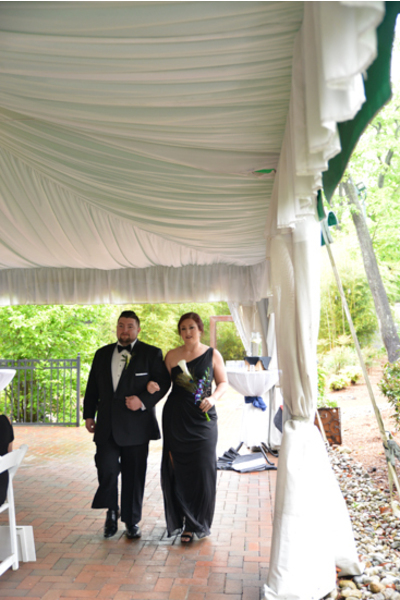 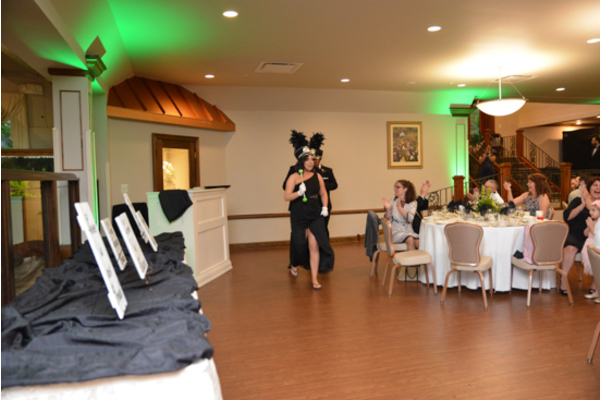 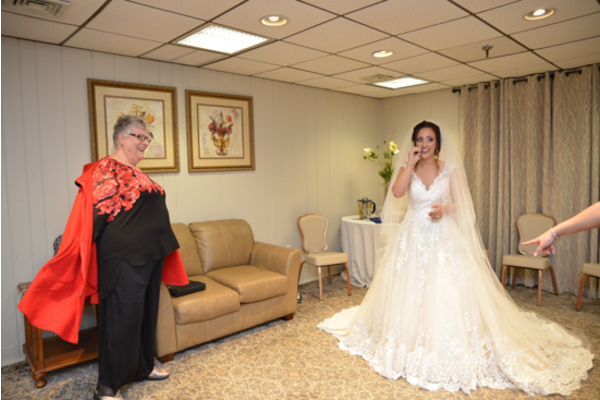 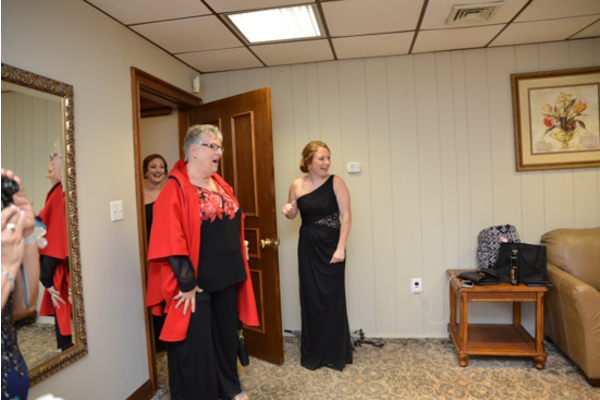 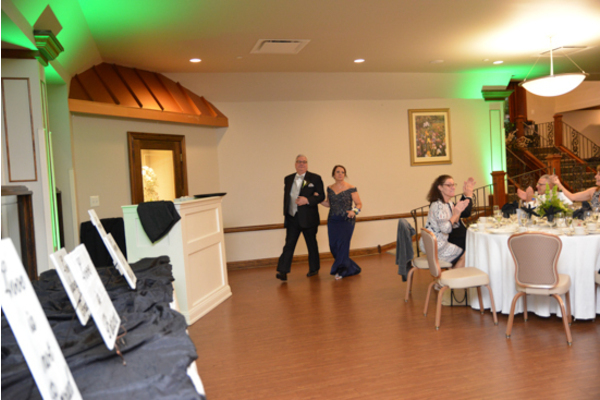 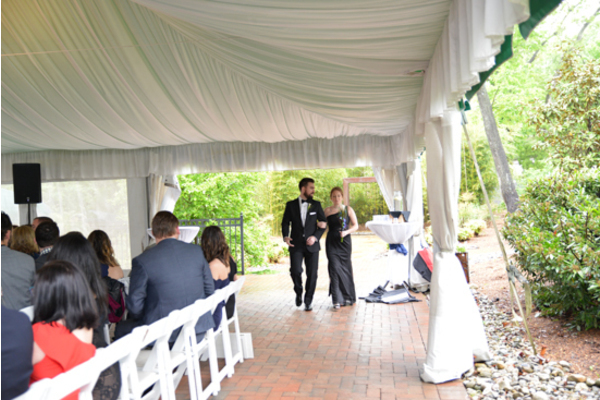 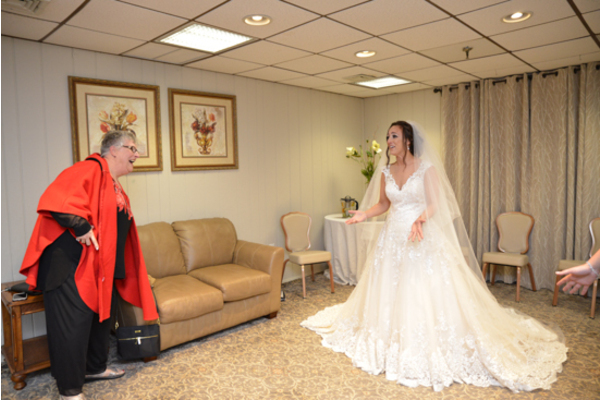 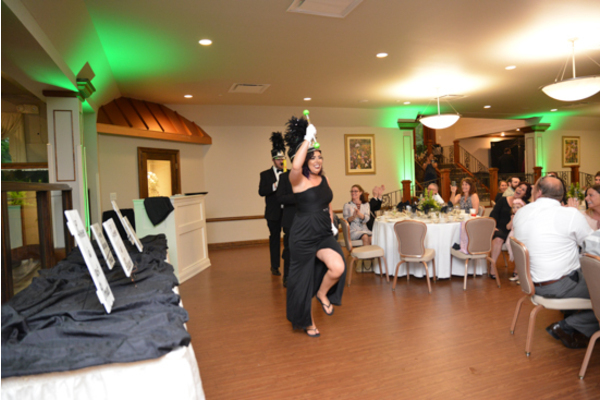 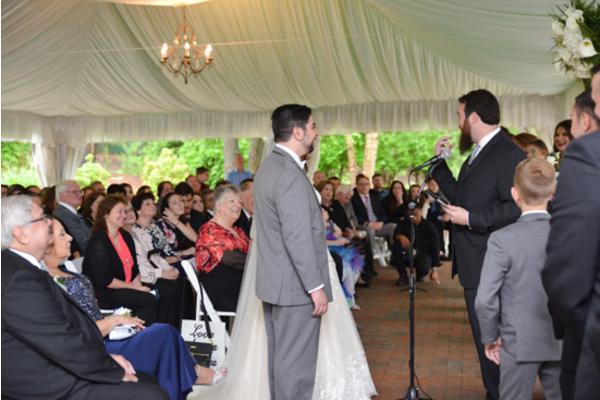 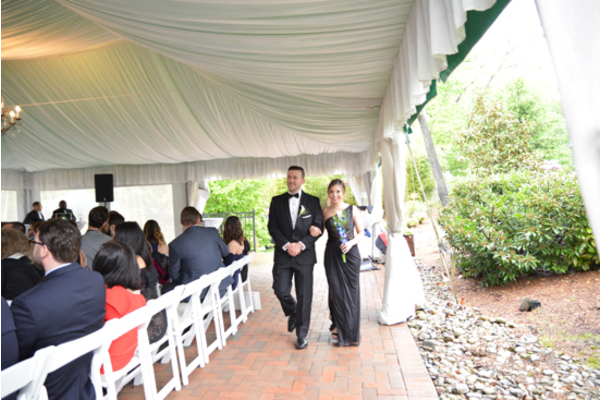 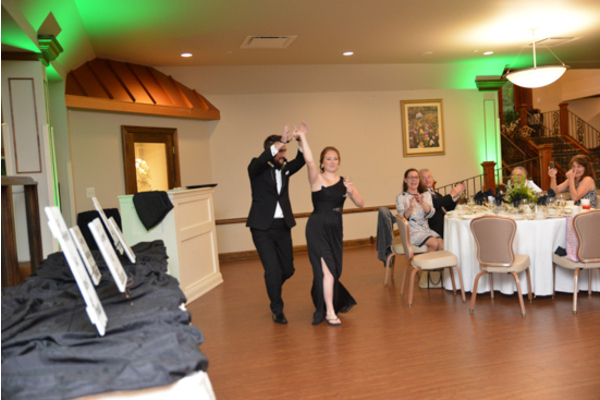 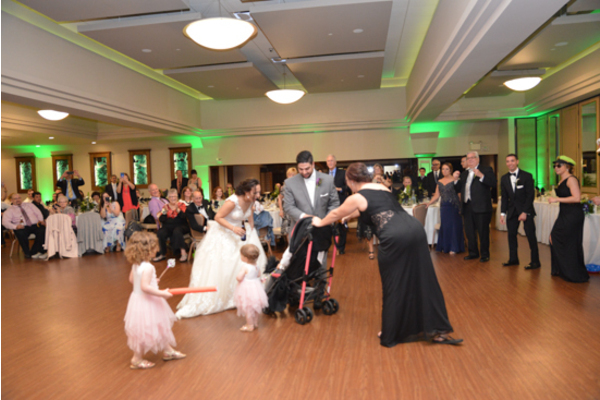 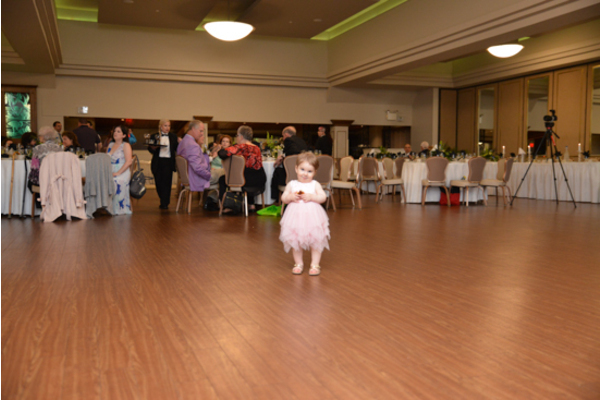 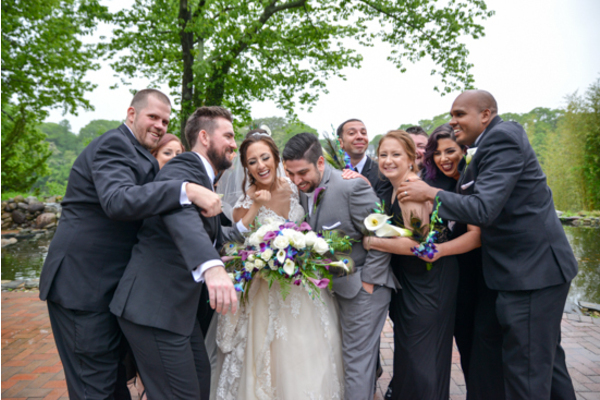 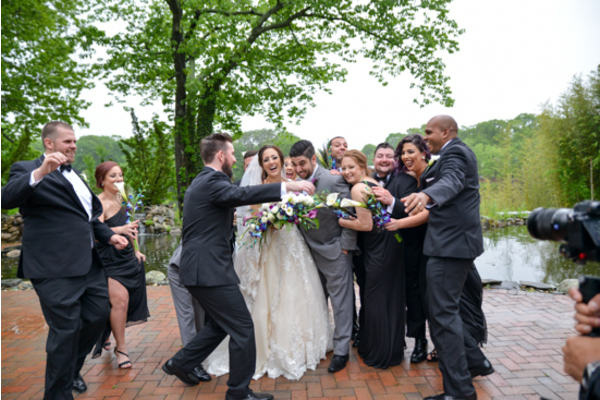 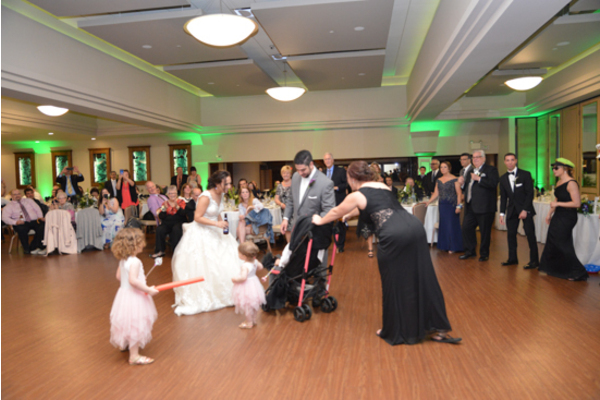 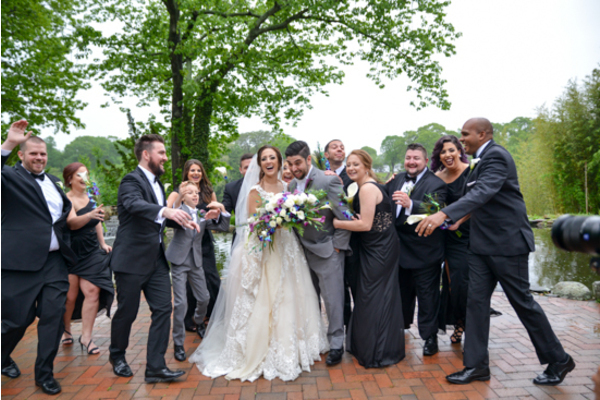 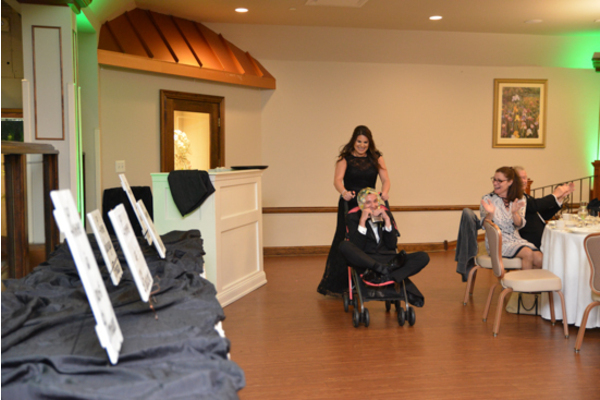 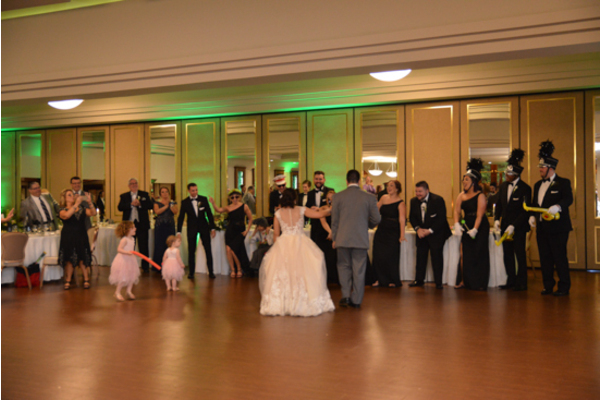 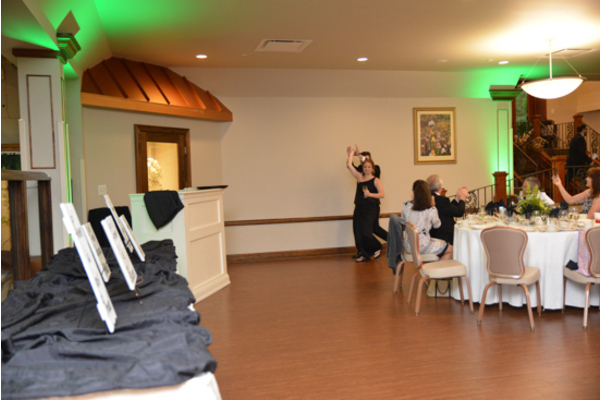 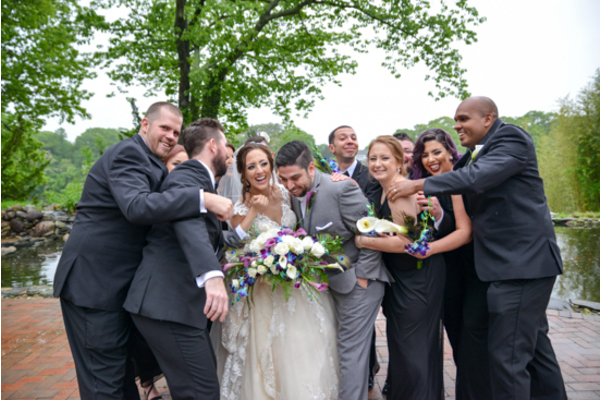 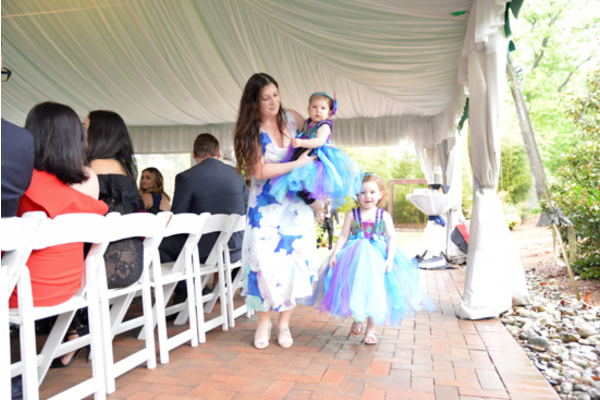 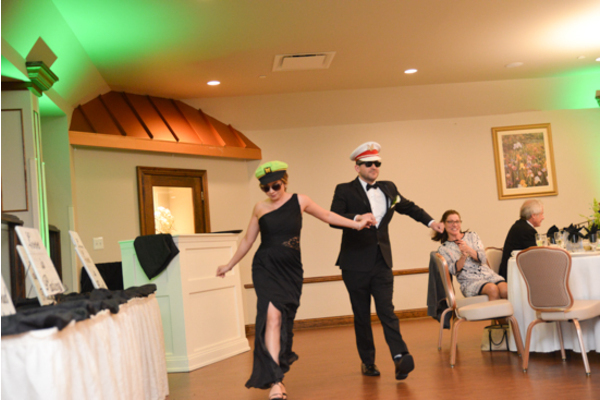 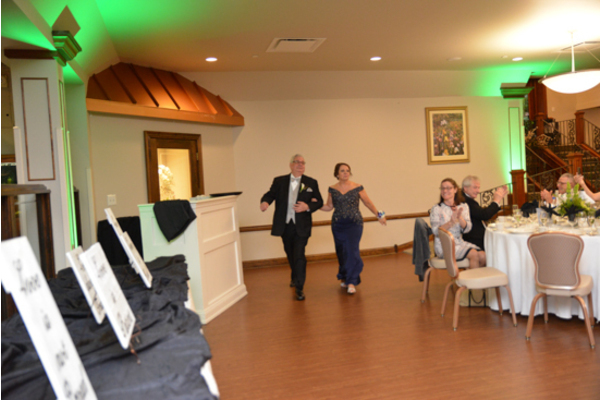 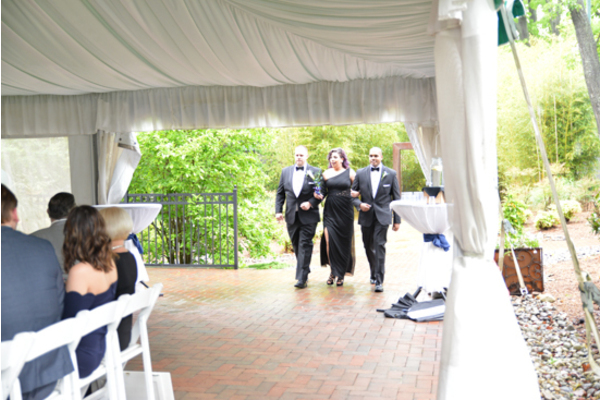 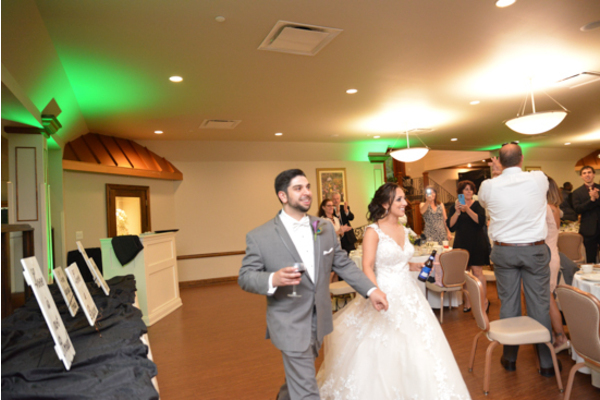 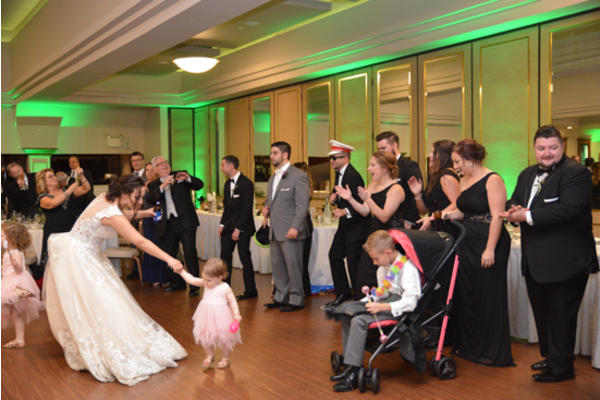 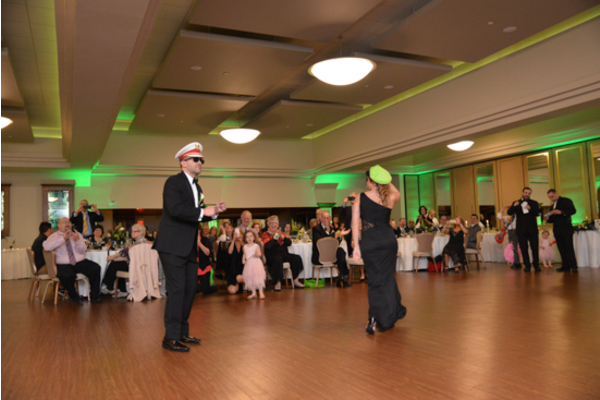 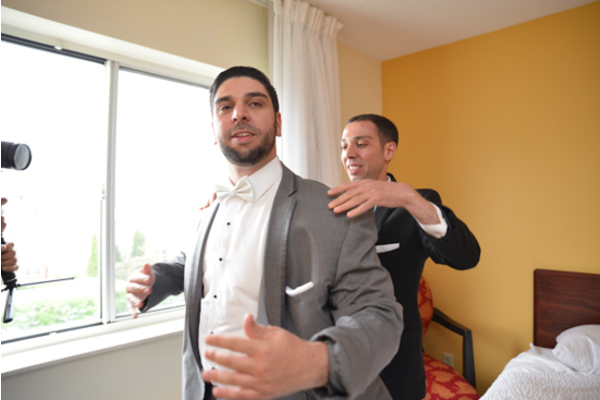 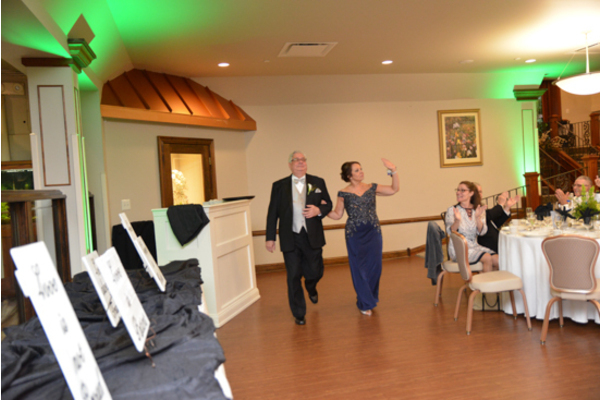 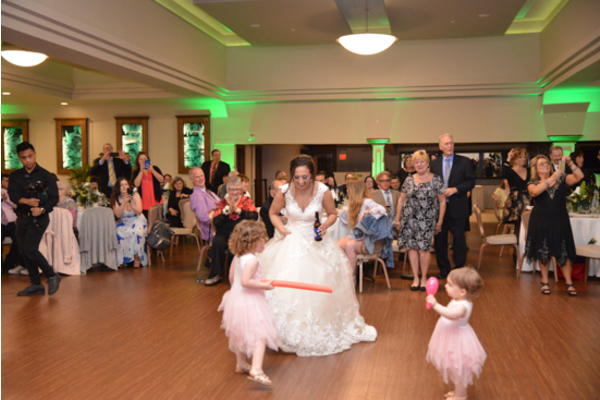 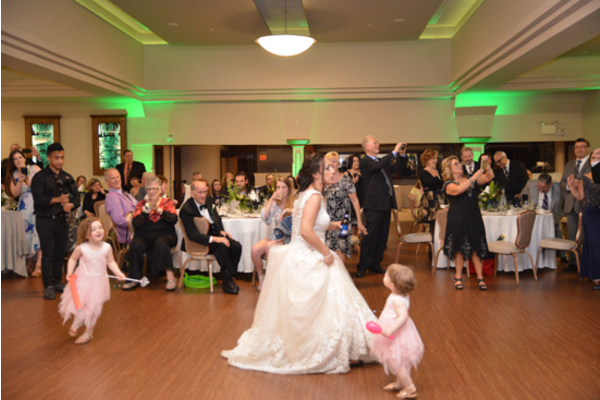 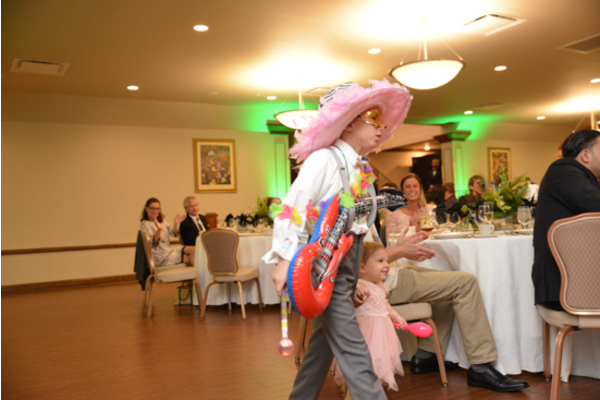 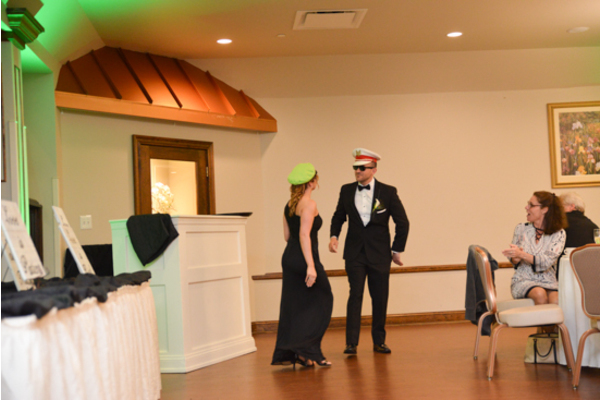 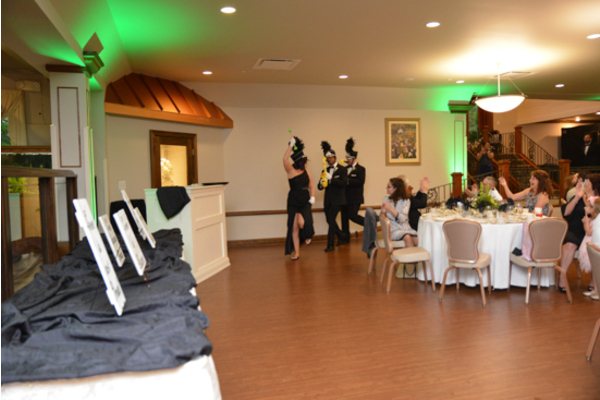 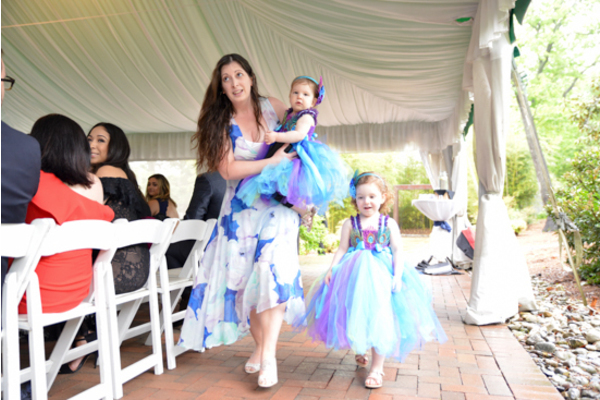 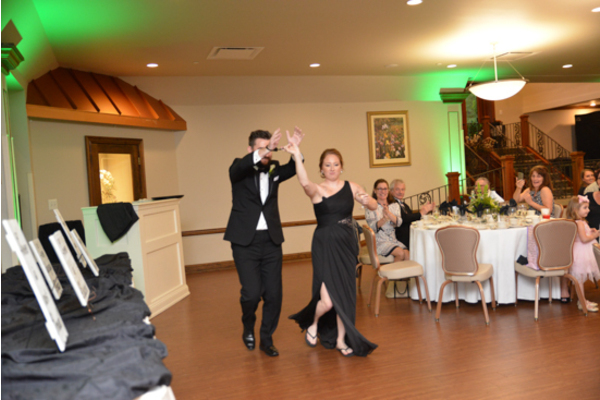 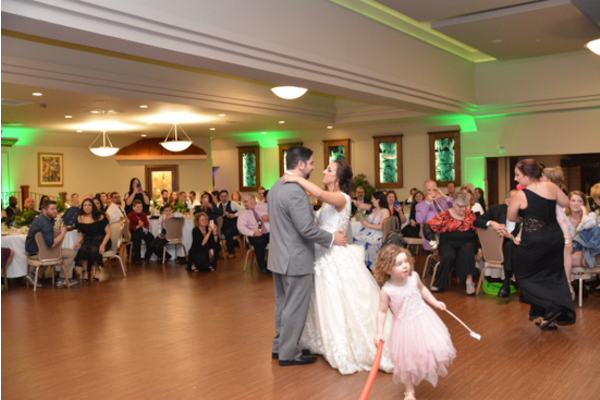 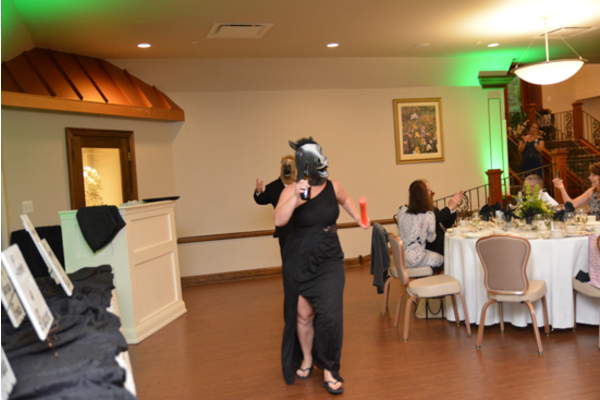 Finally, guests headed to the reception dance floor where our NJ Wedding Photographer captured singing and laughter. 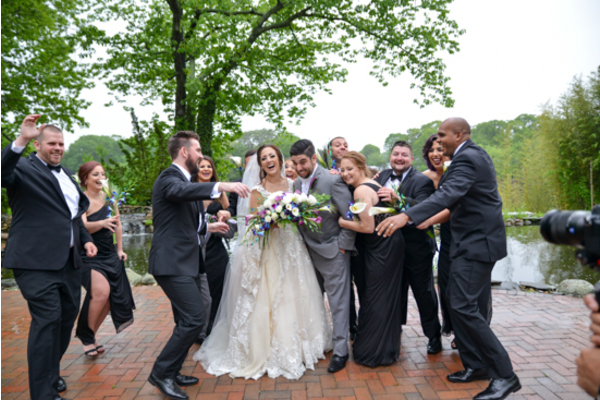 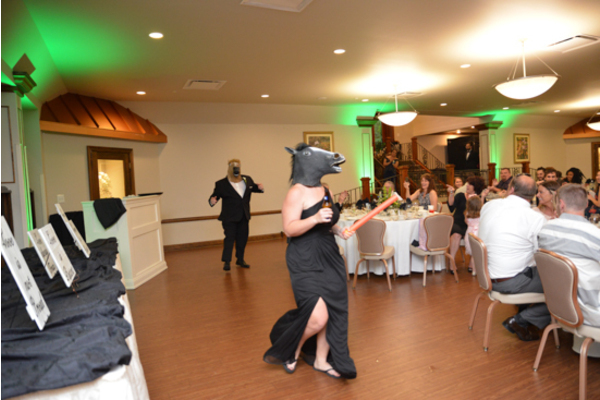 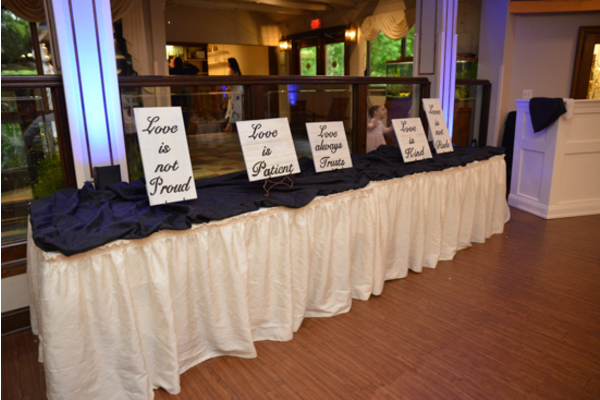 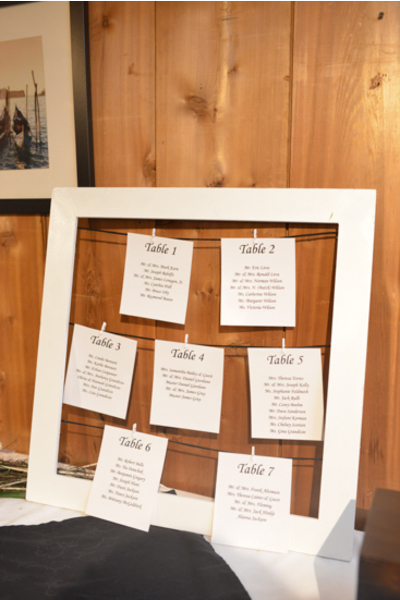 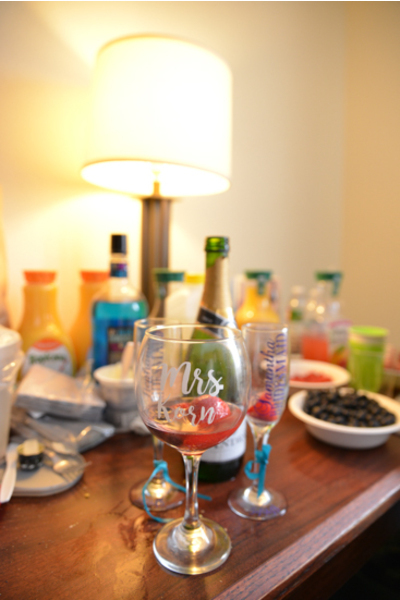 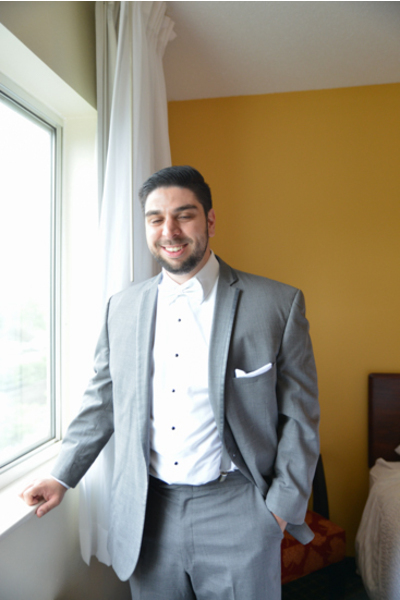 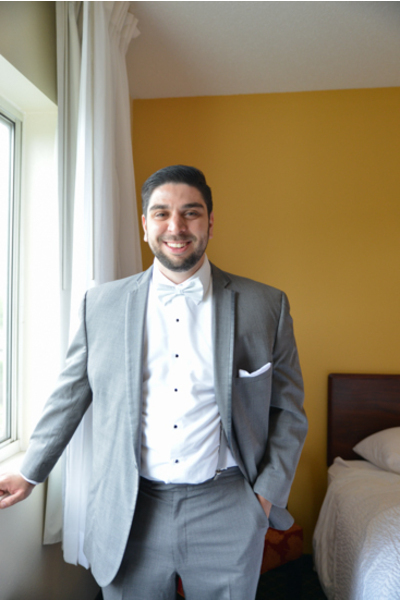 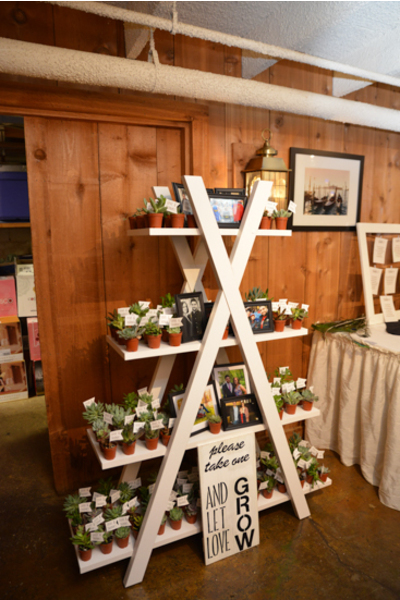 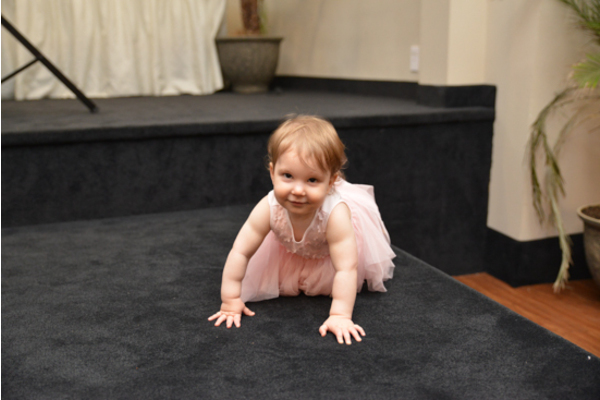 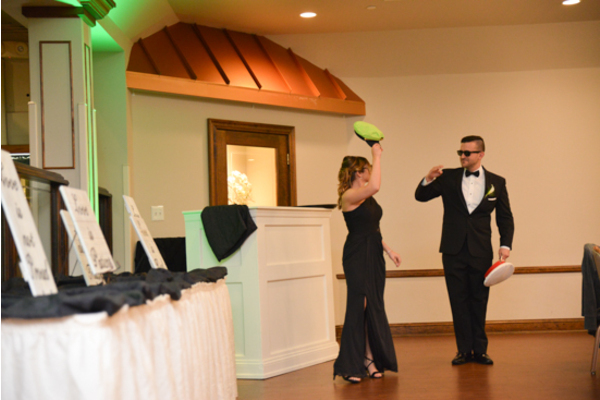 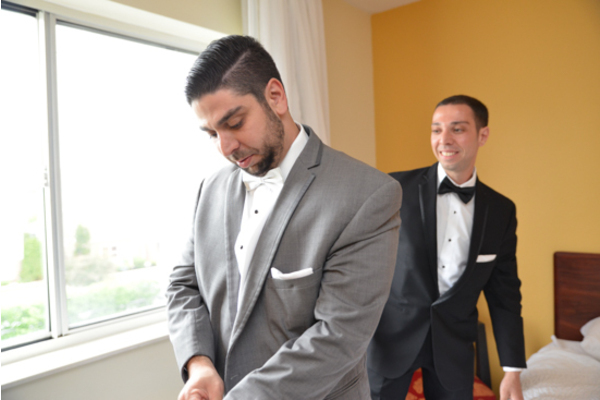 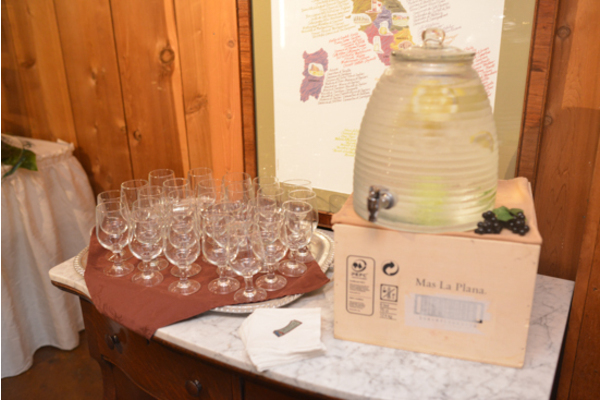 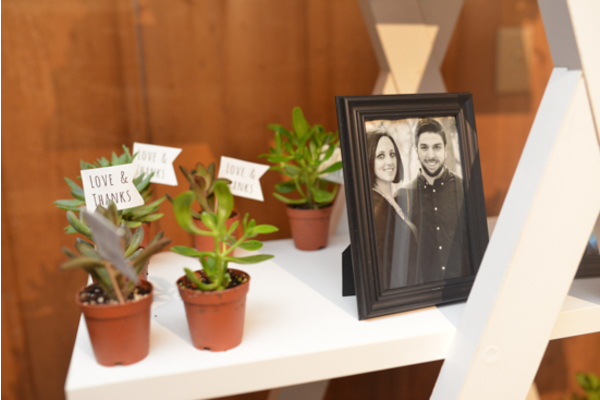 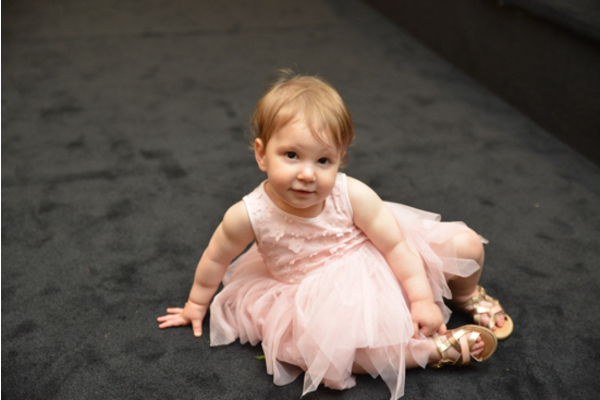 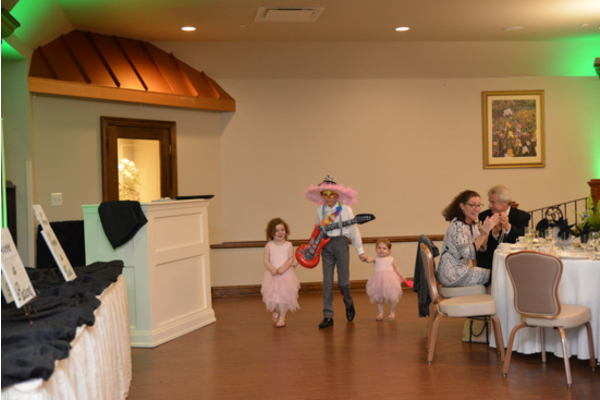 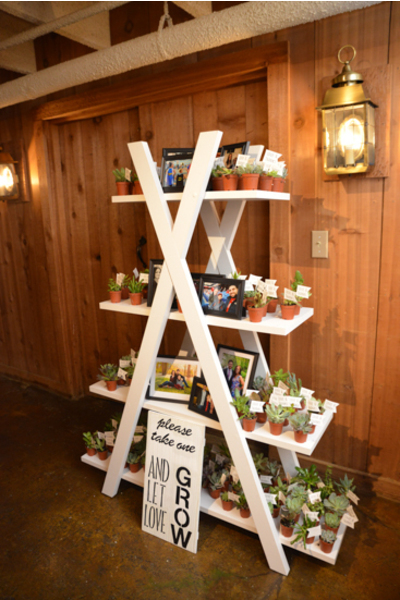 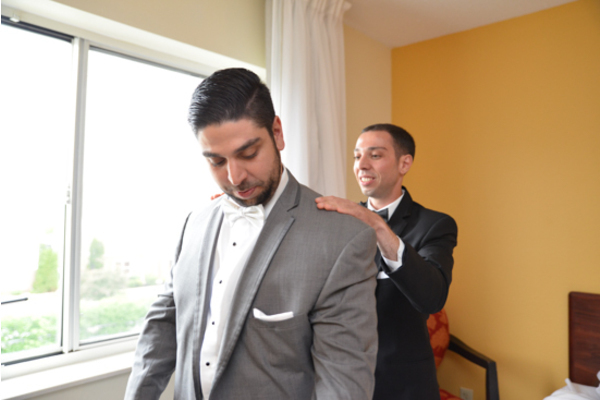 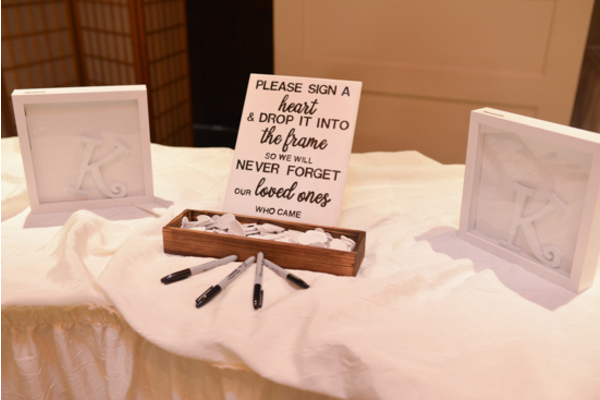 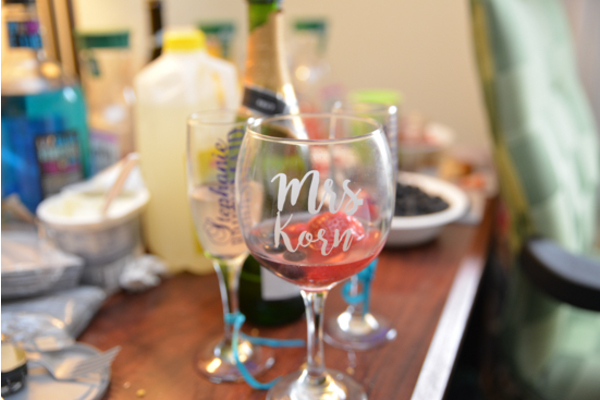 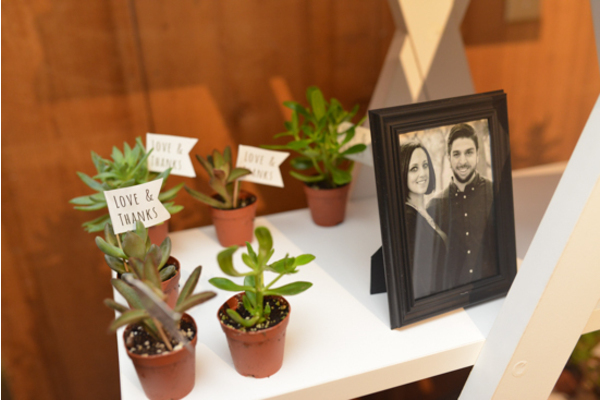 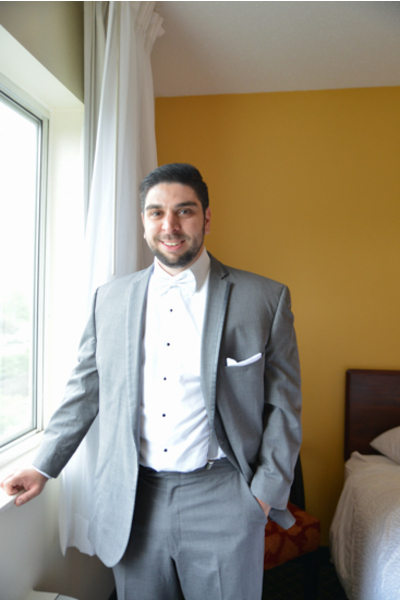 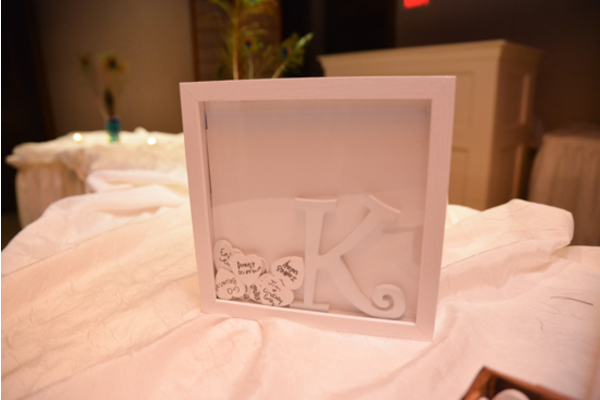 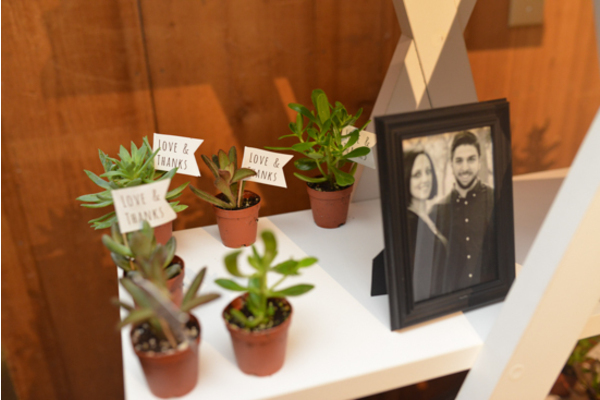 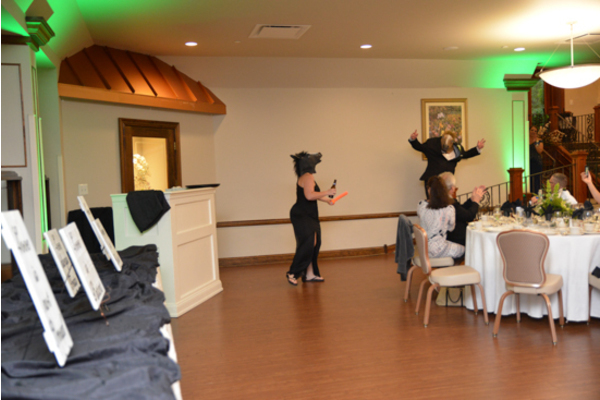 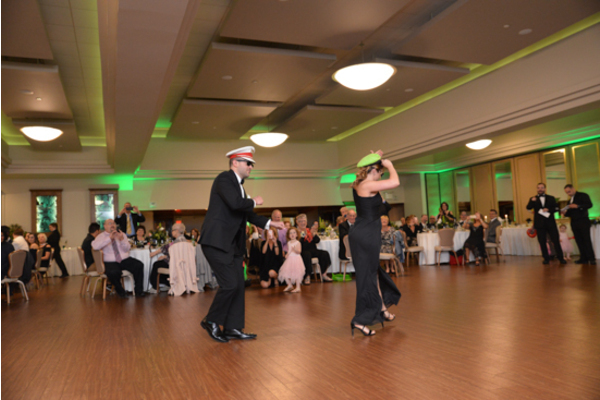 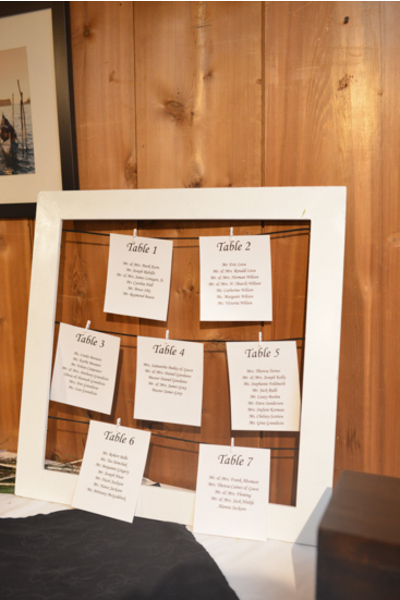 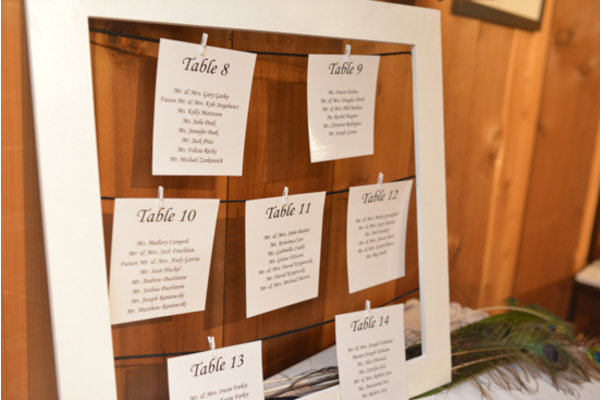 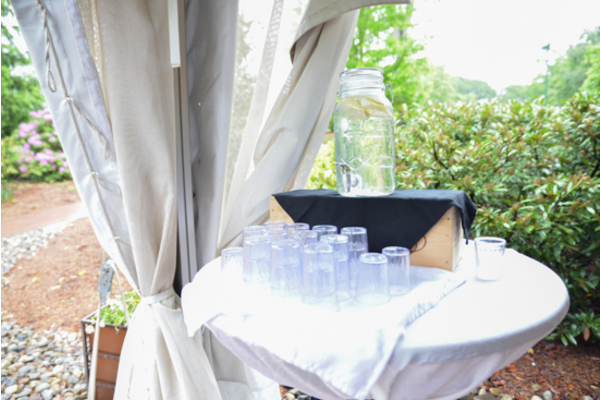 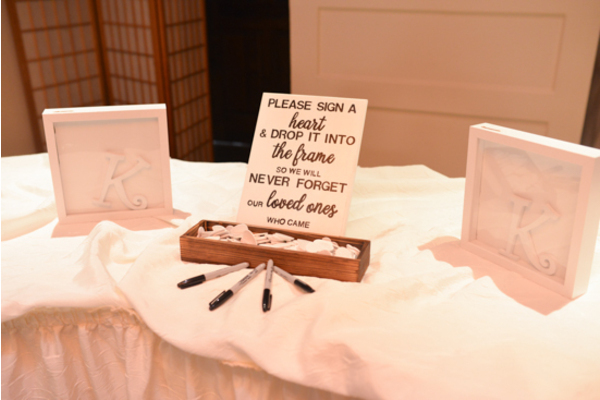 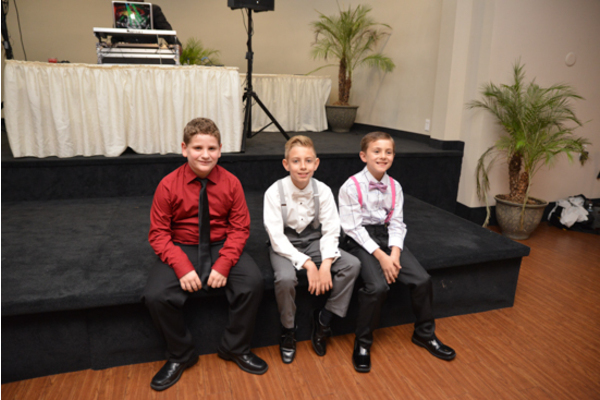 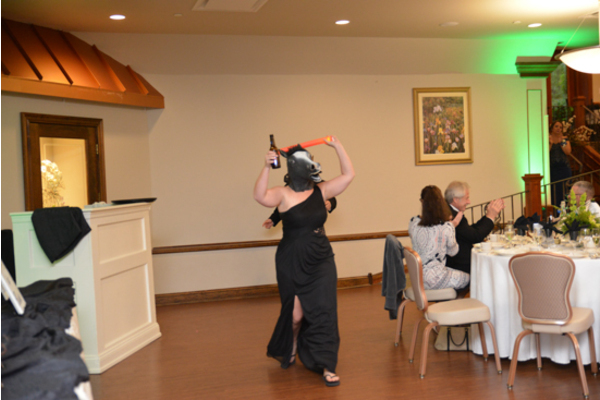 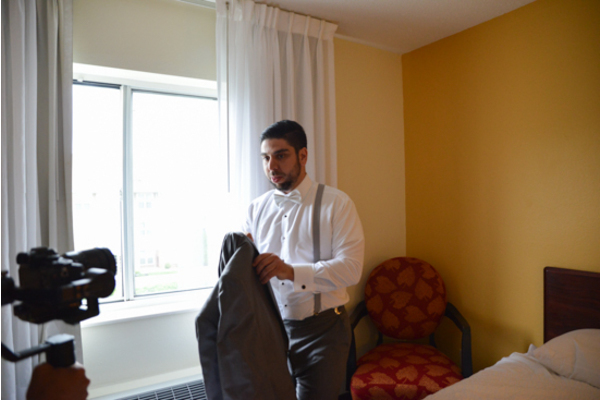 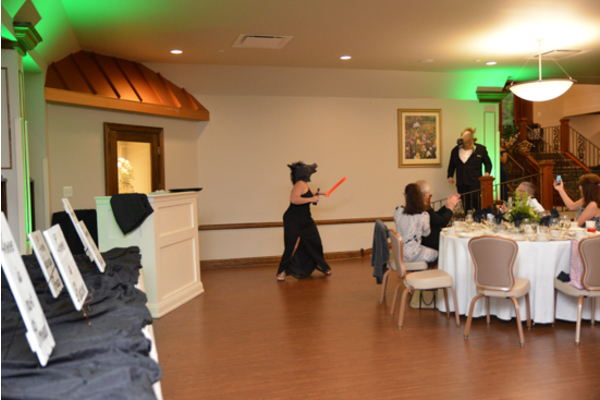 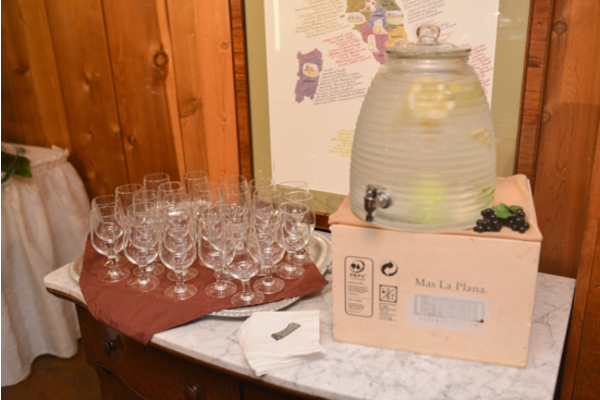 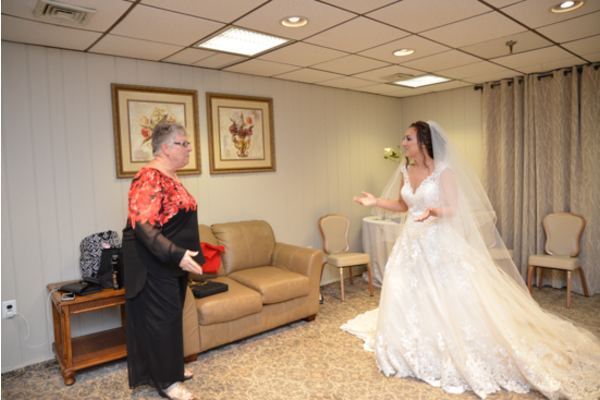 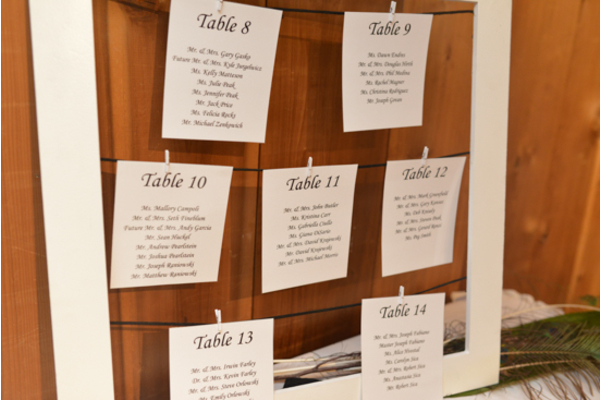 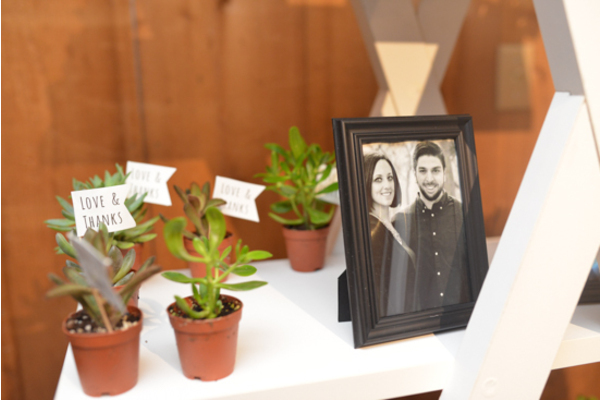 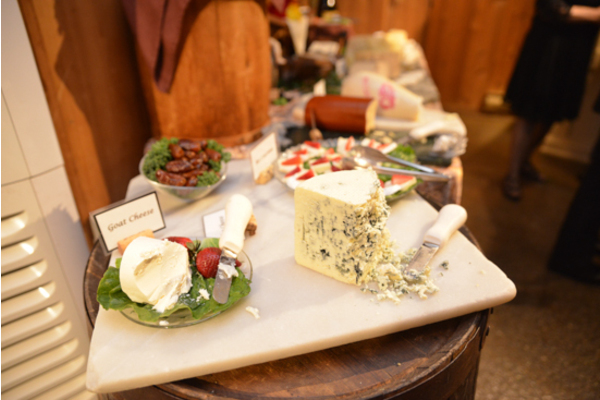 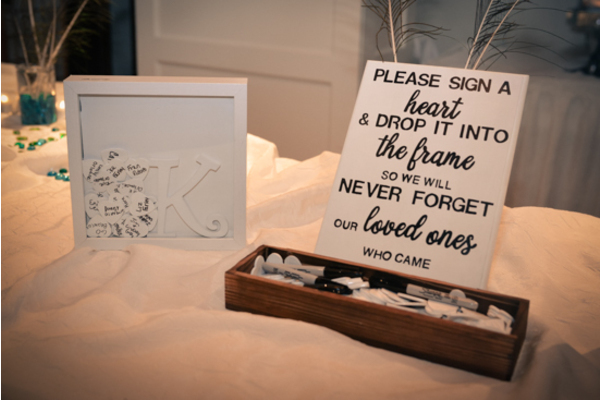 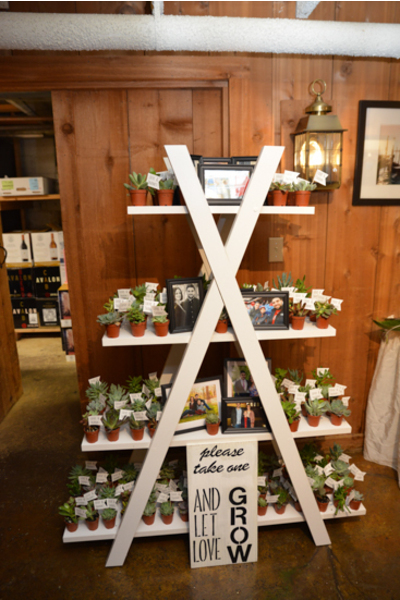 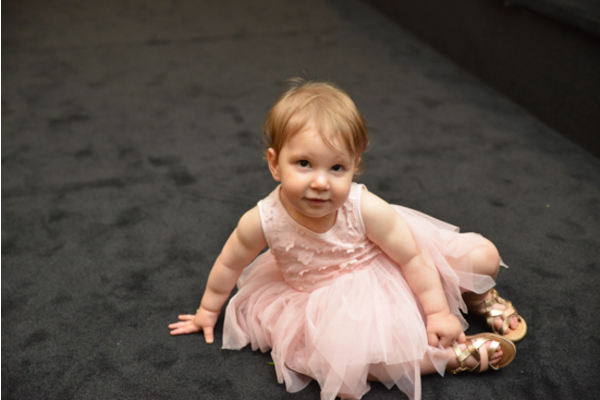 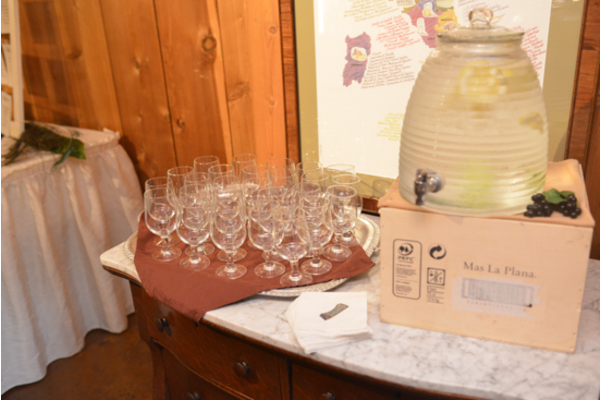 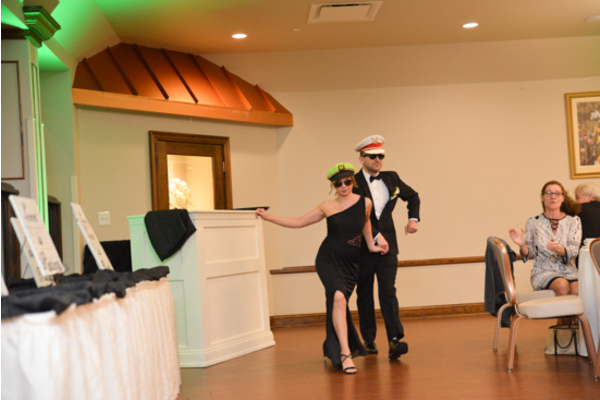 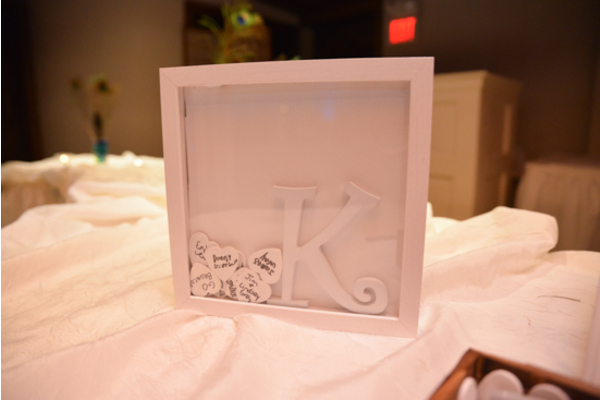 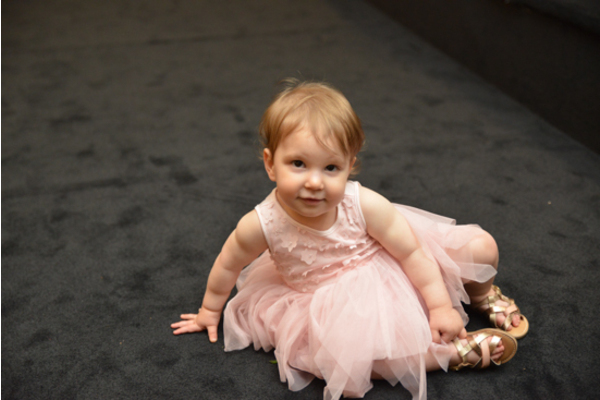 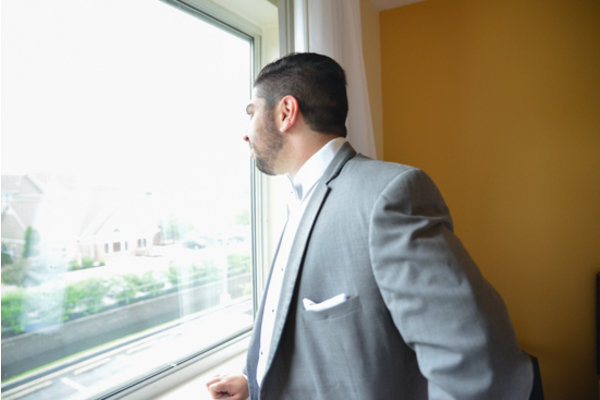 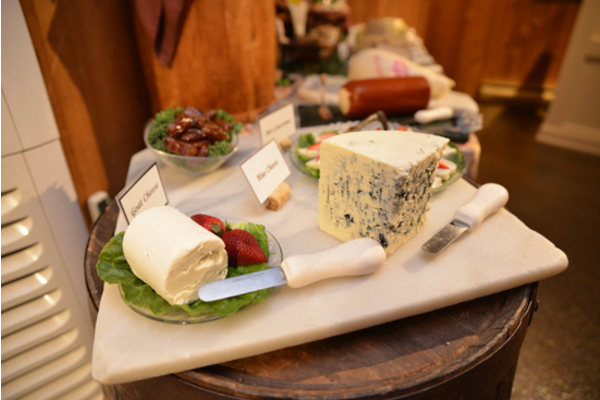 When guests needed a break from the dancing, our NJ Wedding Photo Booth was there for some fun! 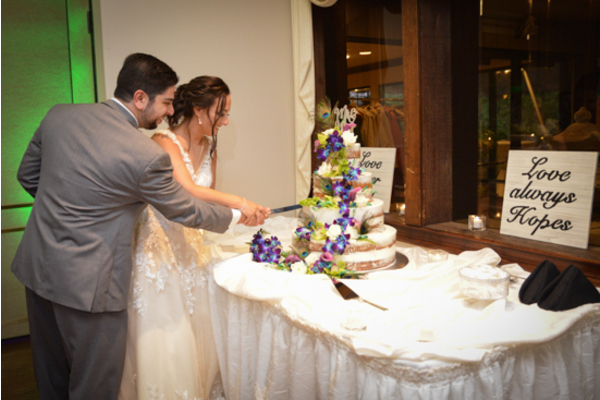 The newlyweds cut the first piece of their gorgeous cake together while guests crowded around to see who would get the first bite. 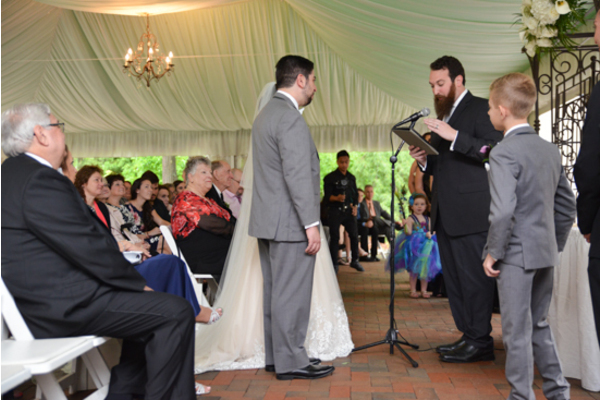 Congratulations, again, to Fawn and Matt on their marriage! 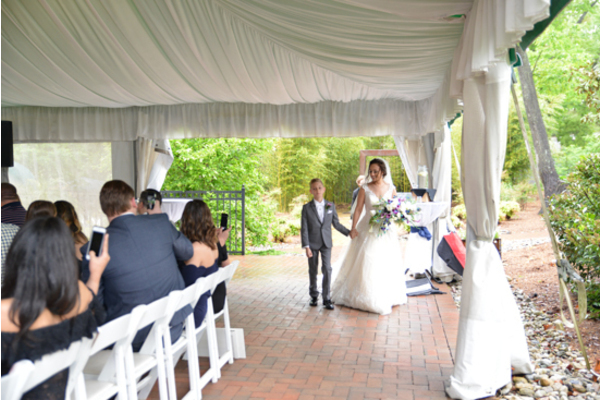 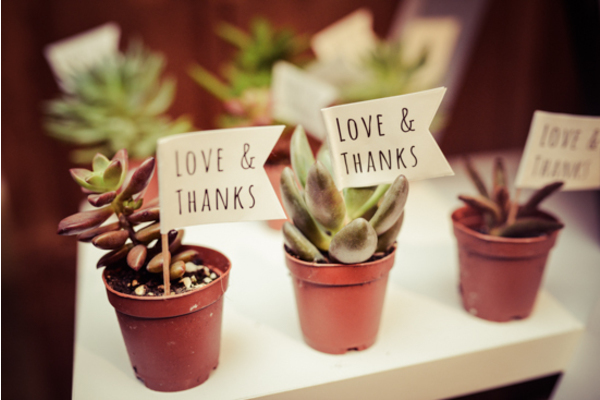 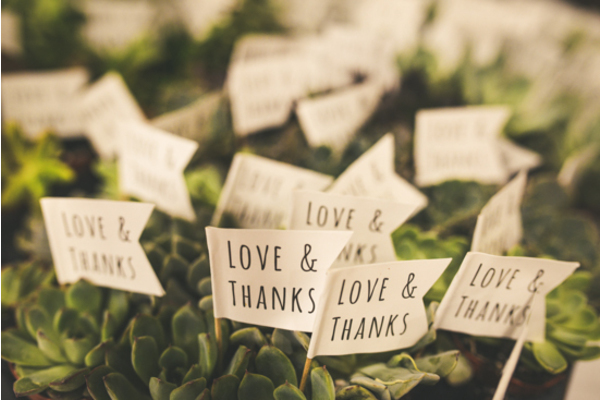 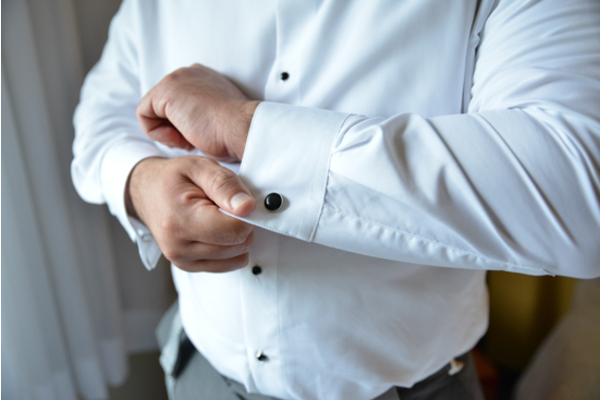 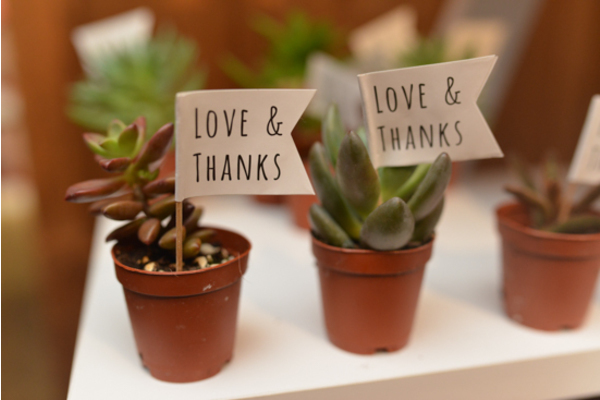 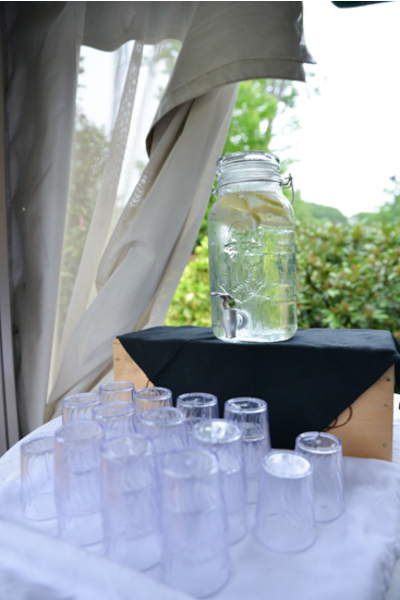 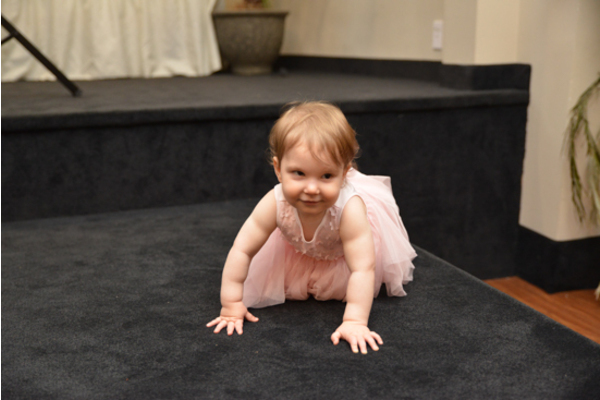 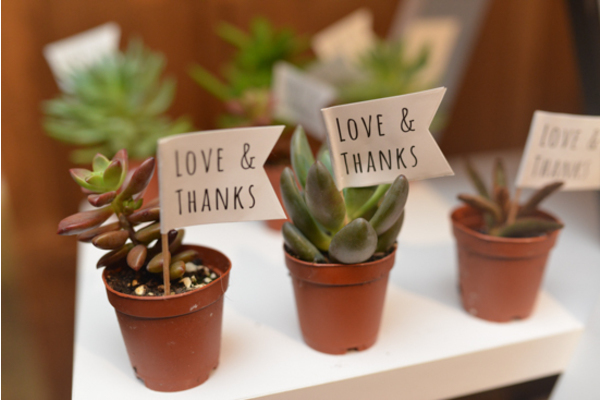 We are so happy you shared your special day with us. 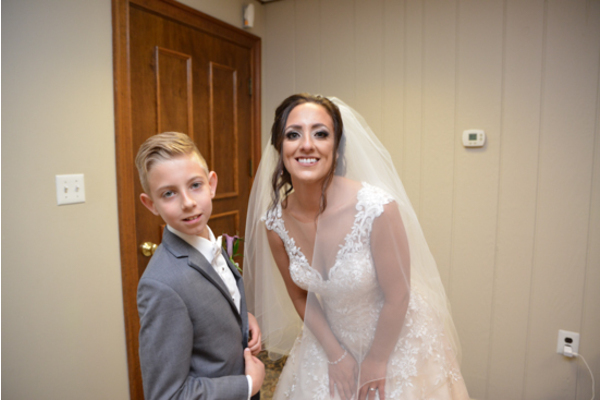 We wish you luck and happiness in your future together!